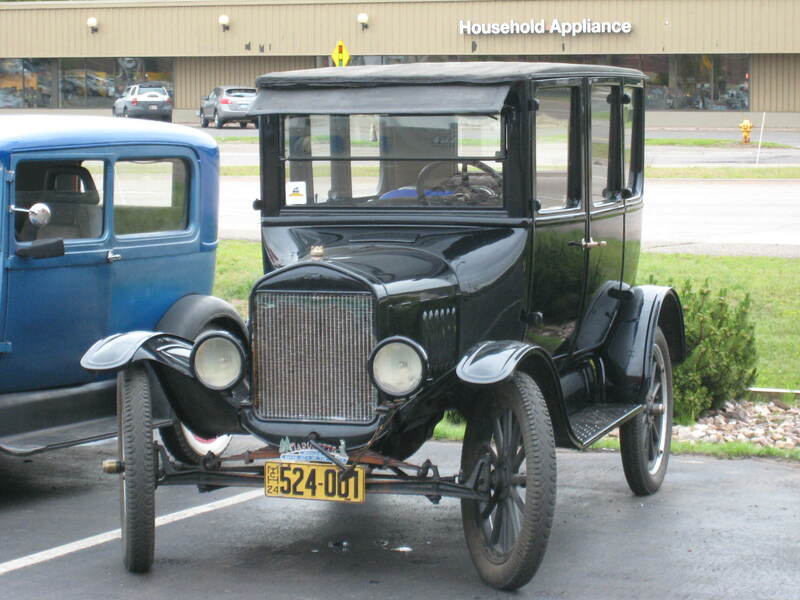 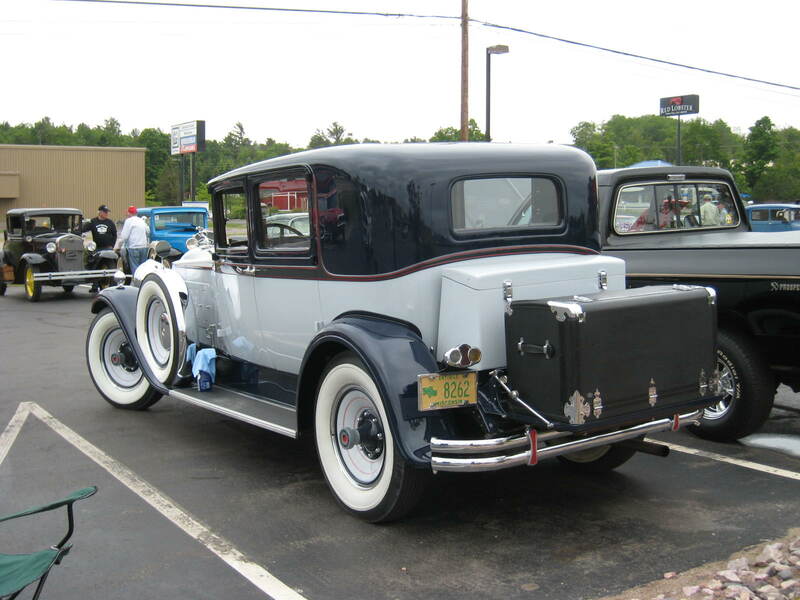 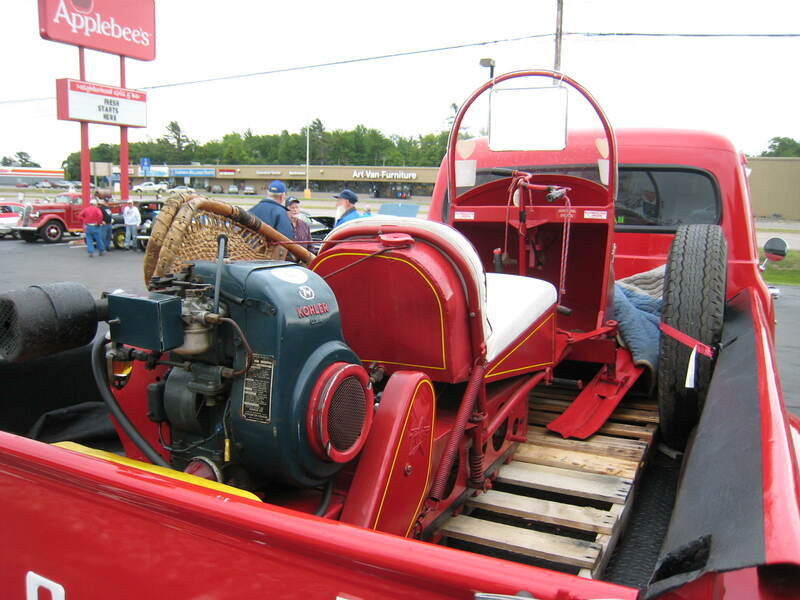 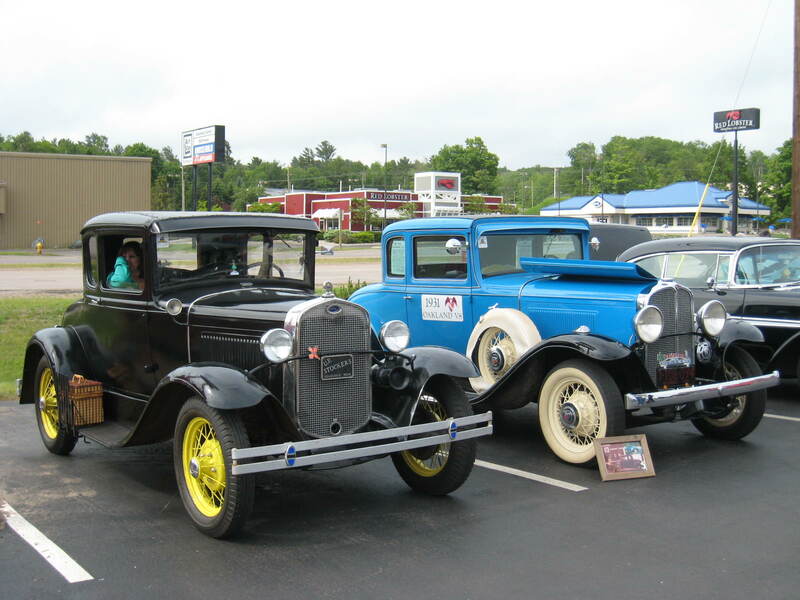 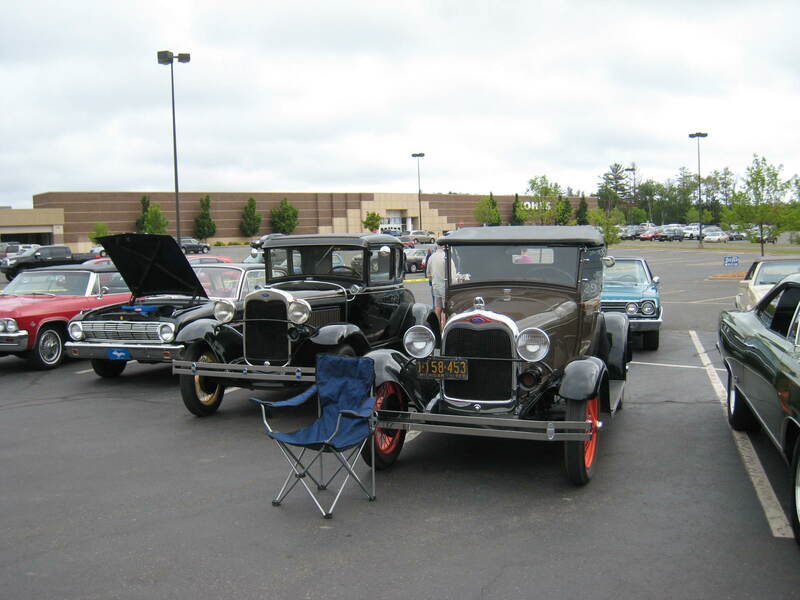 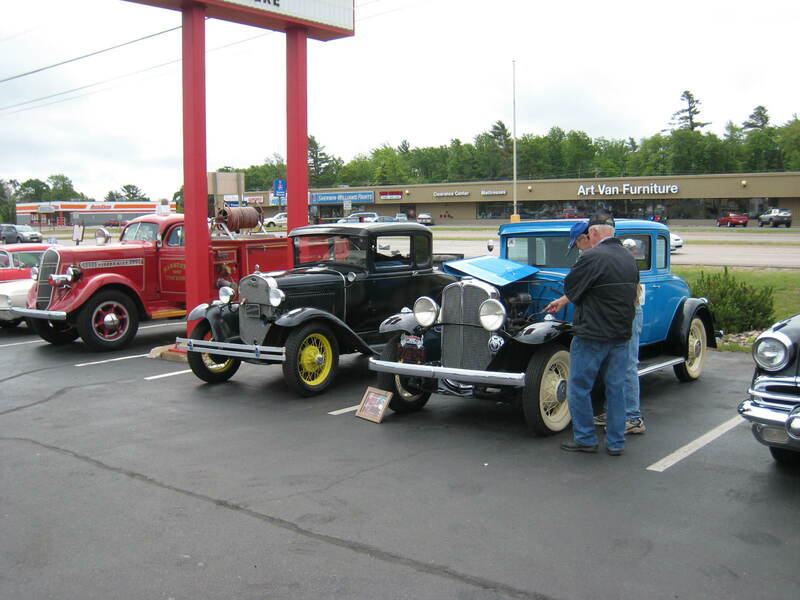 6/21/2014 Marquette Township, Michigan — The Applebee’s Parking Lot in Marquette Township was filled this afternoon with Vintage Hot Rods, Model A’s and all the classics from the early days! 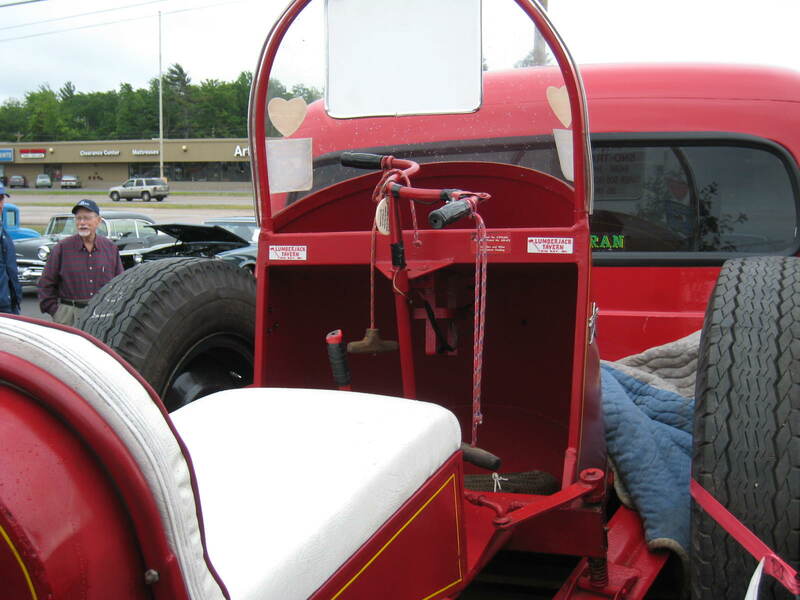 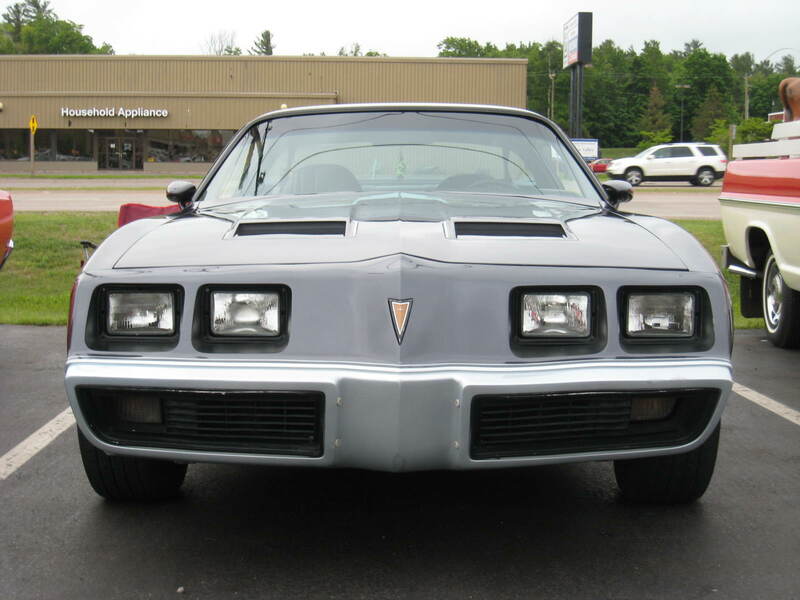 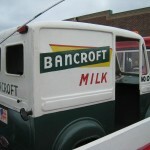 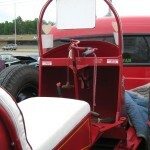 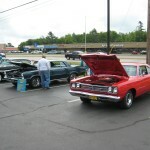 It was all part of the “Catch the Vision Car Show & Cruise” that is held annually in Marquette Township. 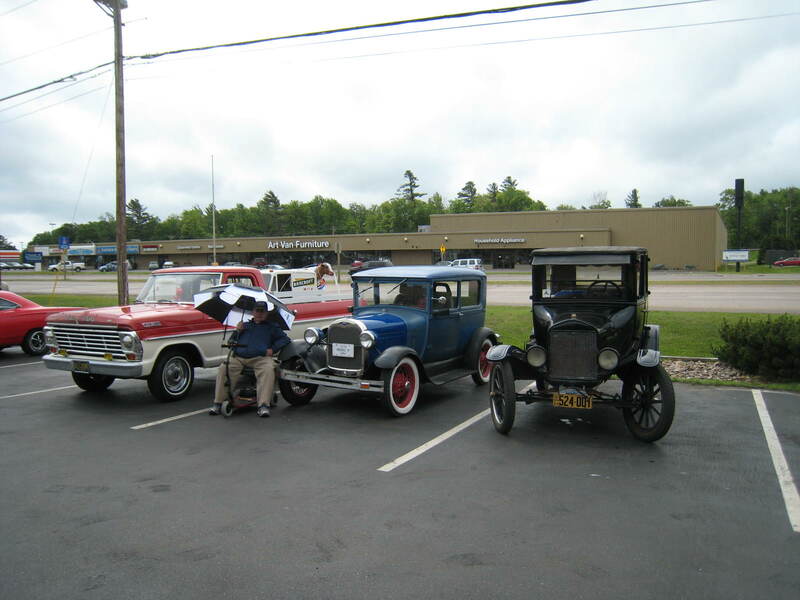 So many folks from across the Upper Peninsula of Michigan caught a glimpse of the classic cars during the Car Show & Cruise. 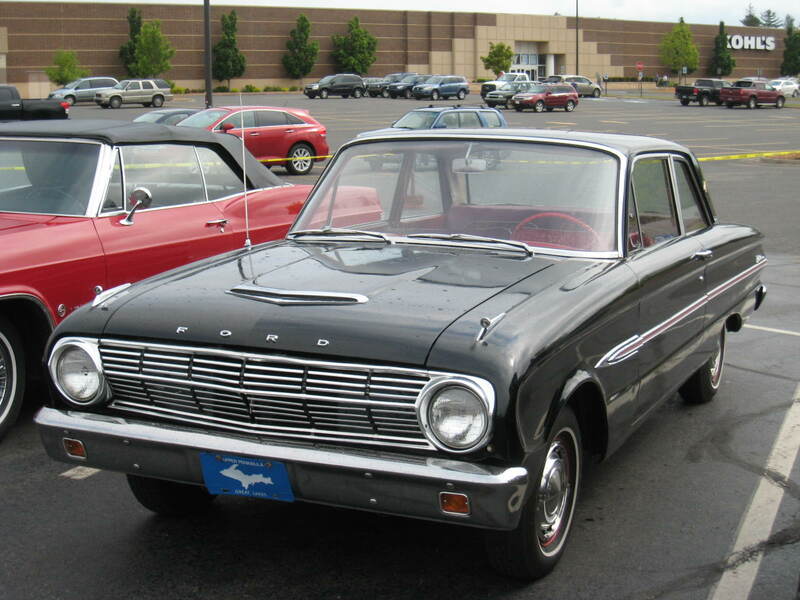 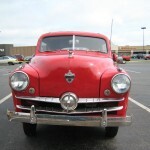 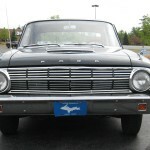 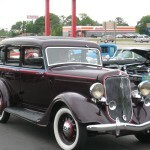 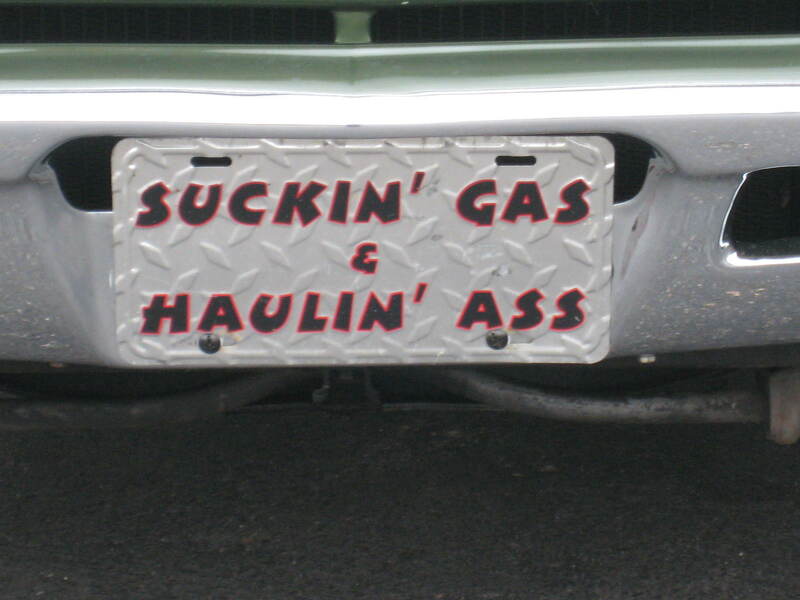 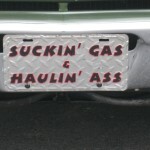 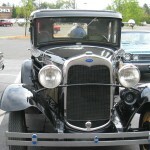 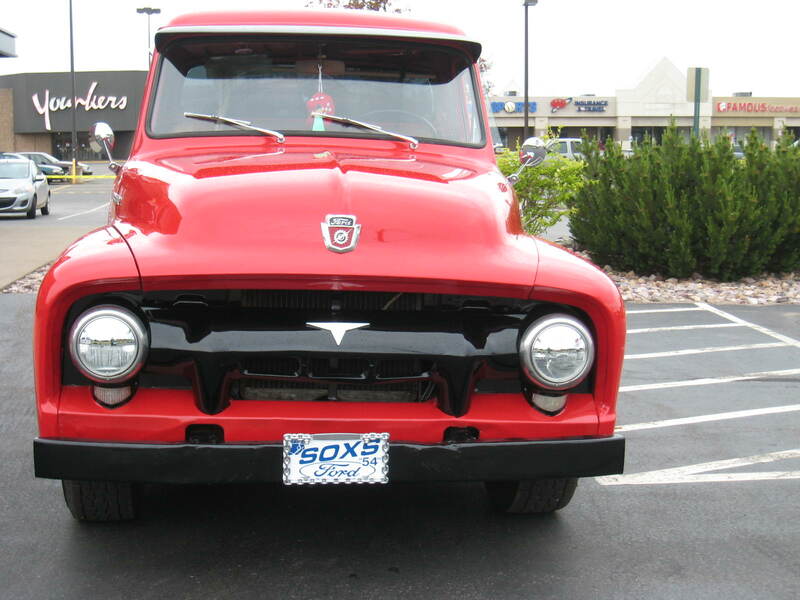 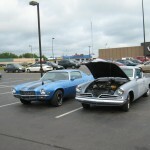 This was the 3rd annual “Catch the Vision Car Show & Cruise” and Major Discount brought it all to you on 103-FXD. 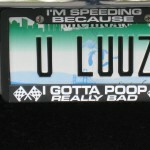 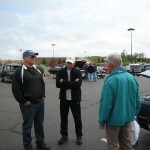 The entire show got underway at 10am this morning with registration. 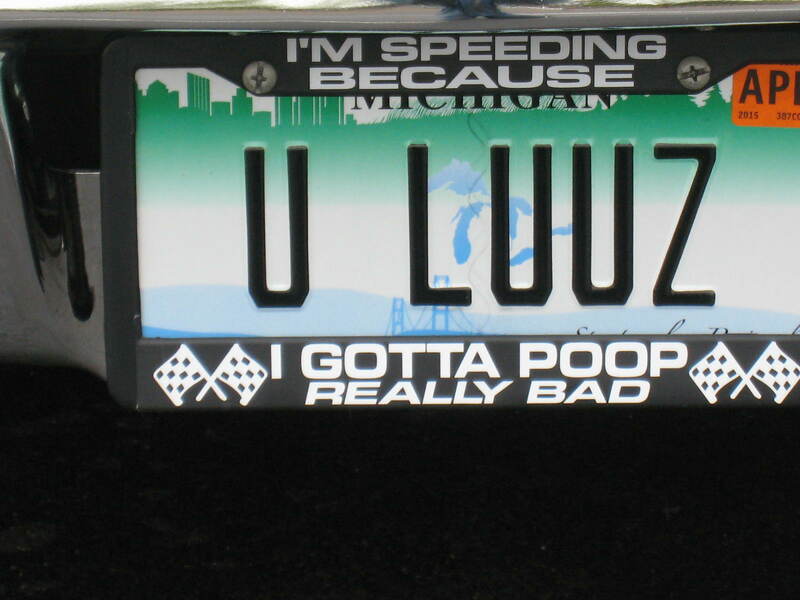 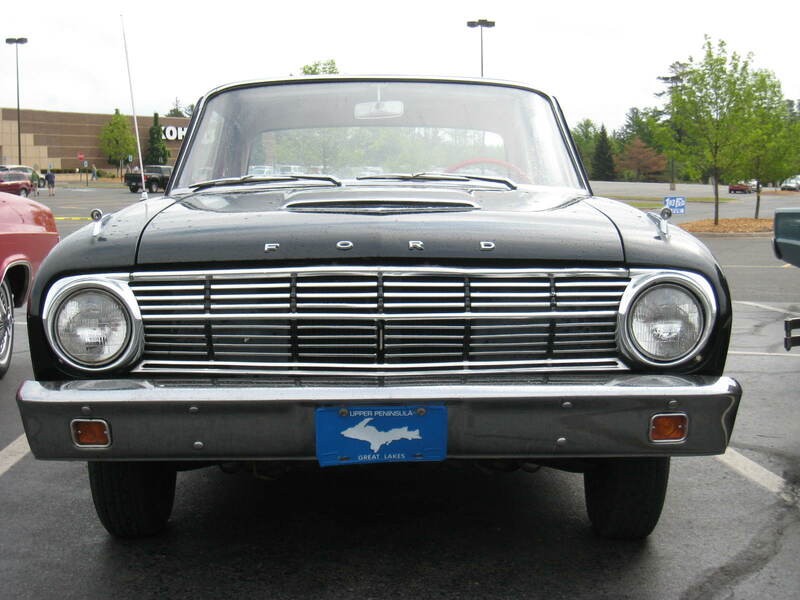 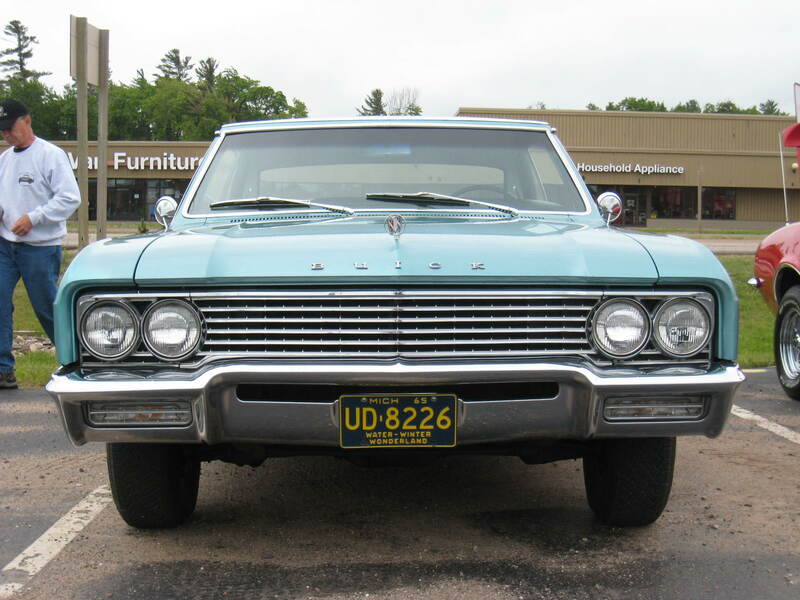 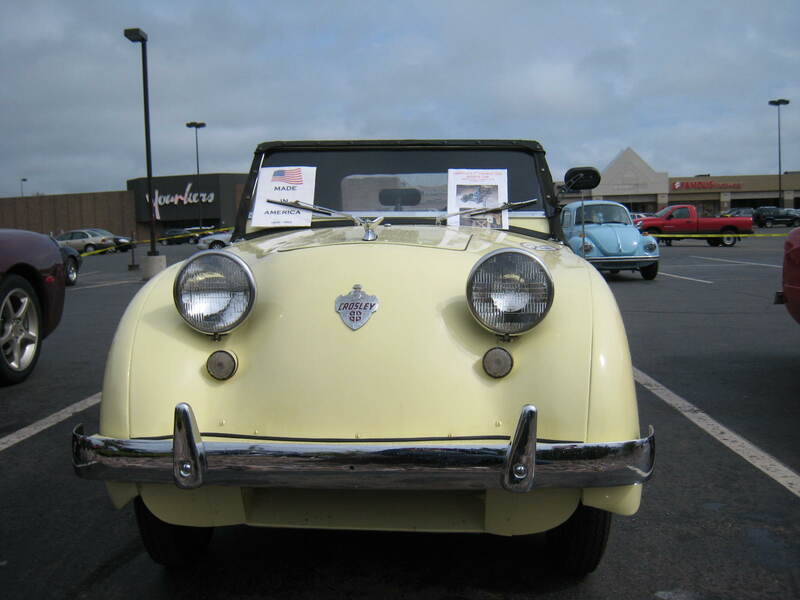 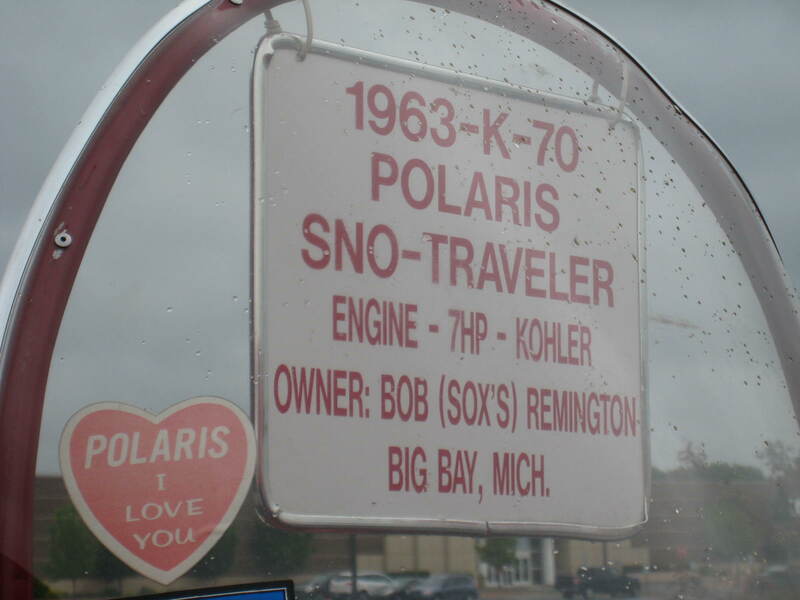 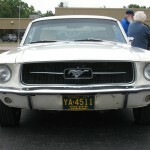 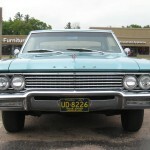 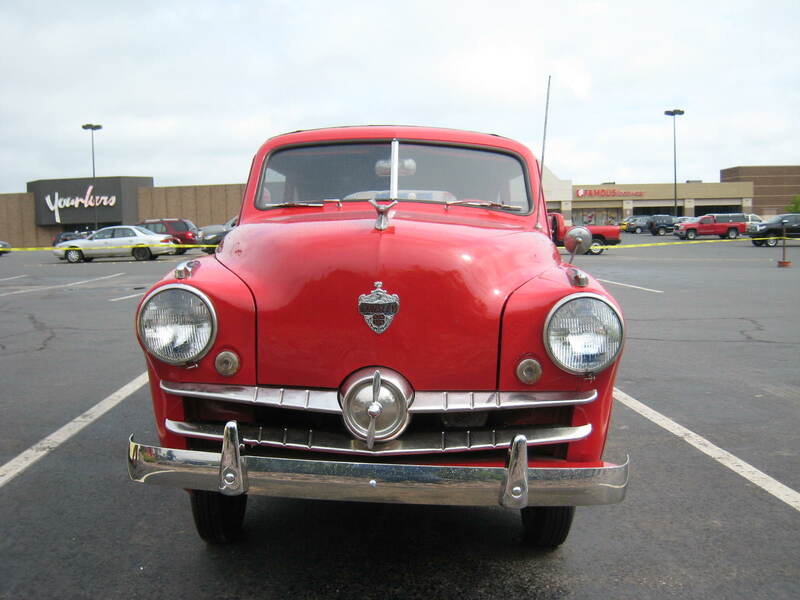 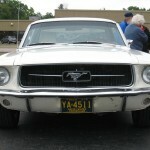 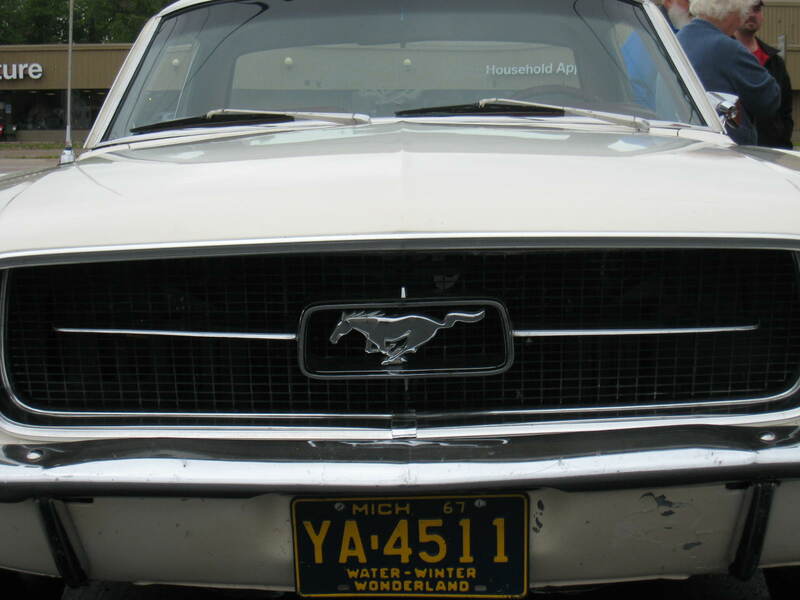 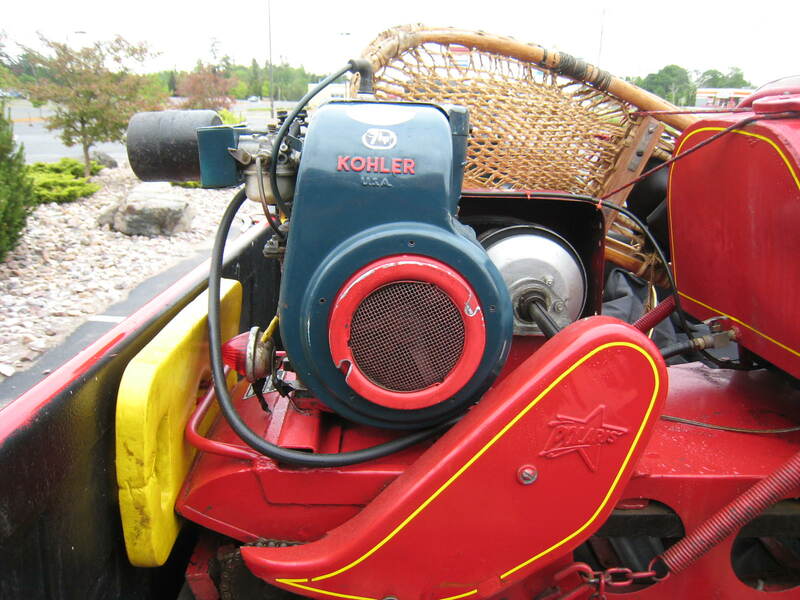 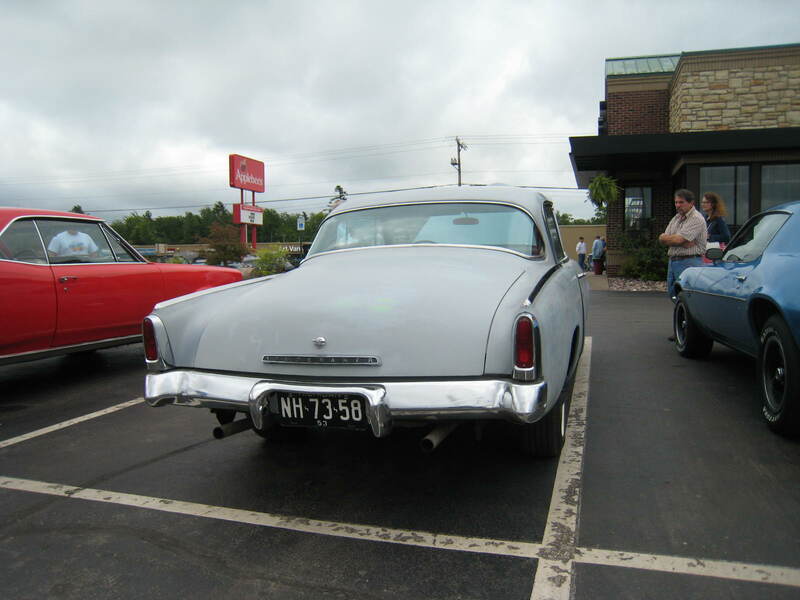 Car enthusiasts that have a love for vintage cars showed up from one end of the Upper Peninsula to the other. 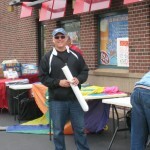 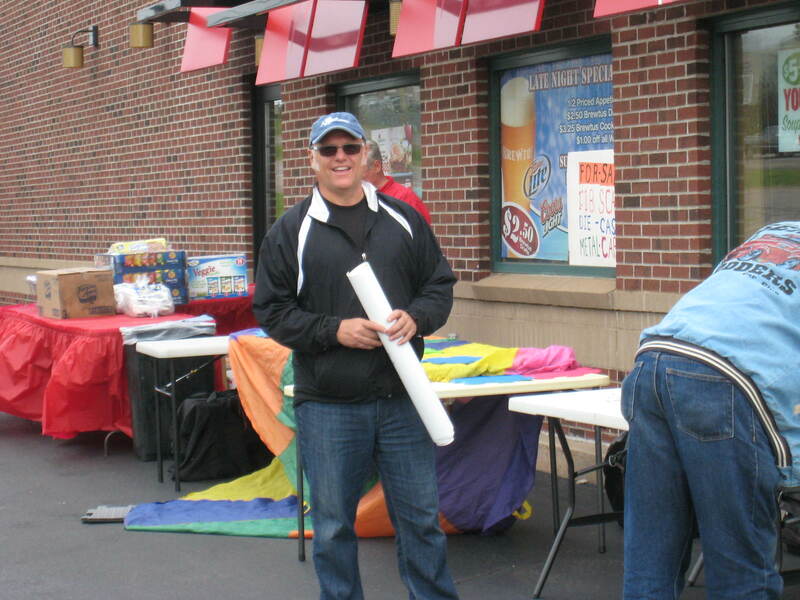 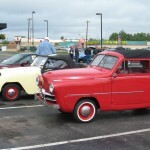 St. Vincent DePaul of Marquette was on hand collecting canned goods during the Car Show & Cruise. 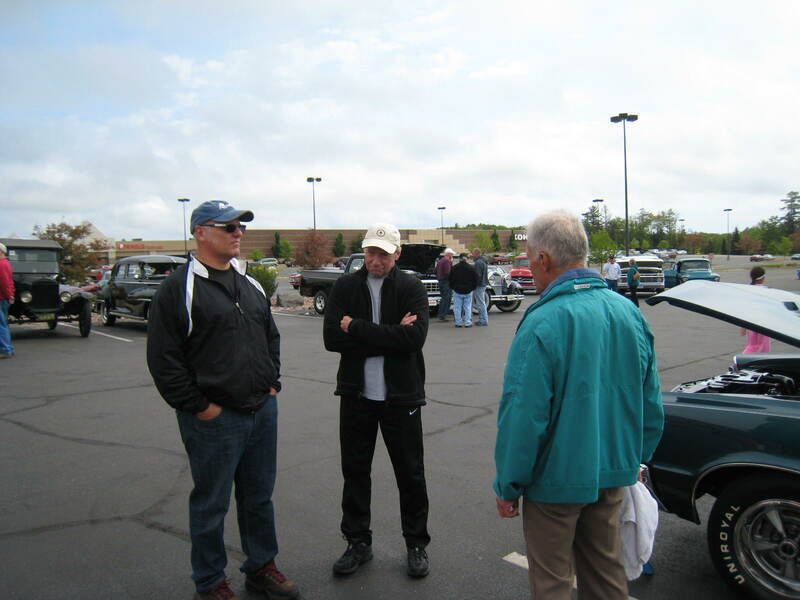 So many folks dropped by just to make a special donation to St. Vincent DePaul to help their friends and neighbors in need. 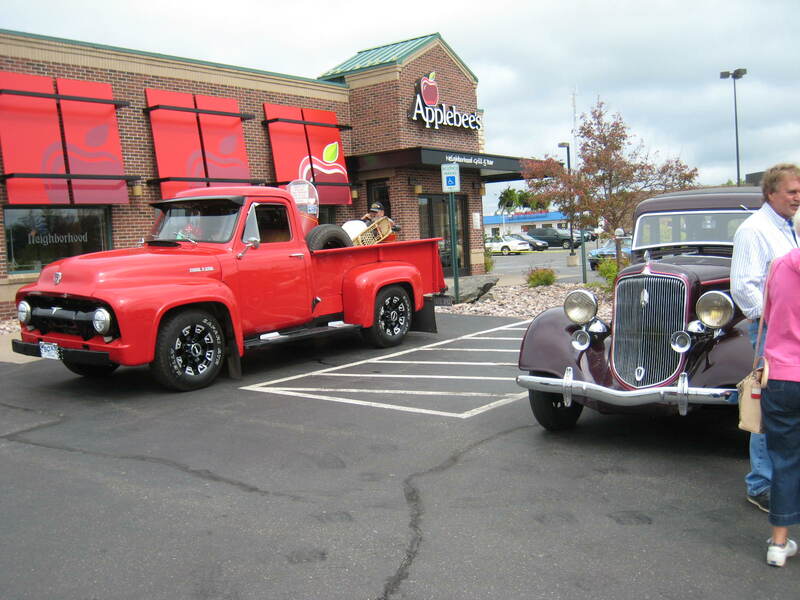 Many folks just like you enjoyed a meal in the neighborhood courtesy of Applebee’s in Marquette Township. 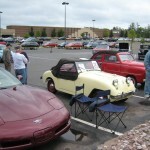 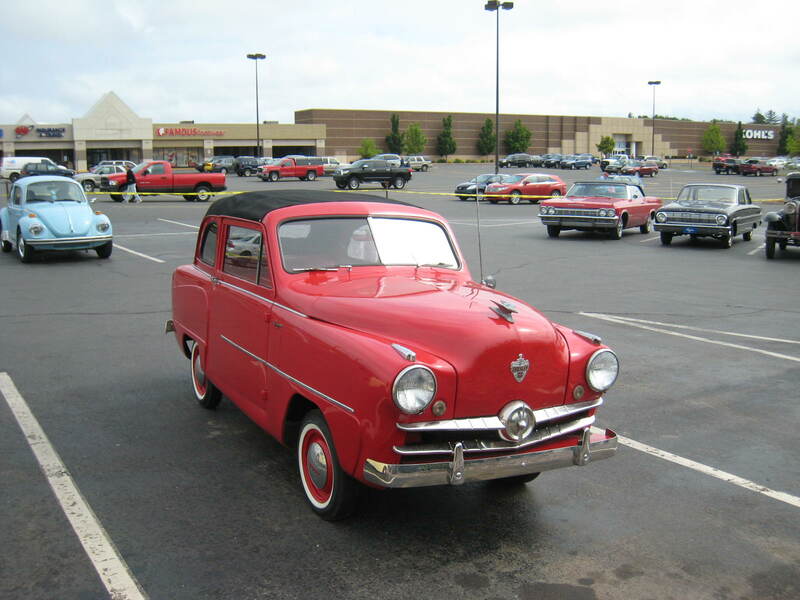 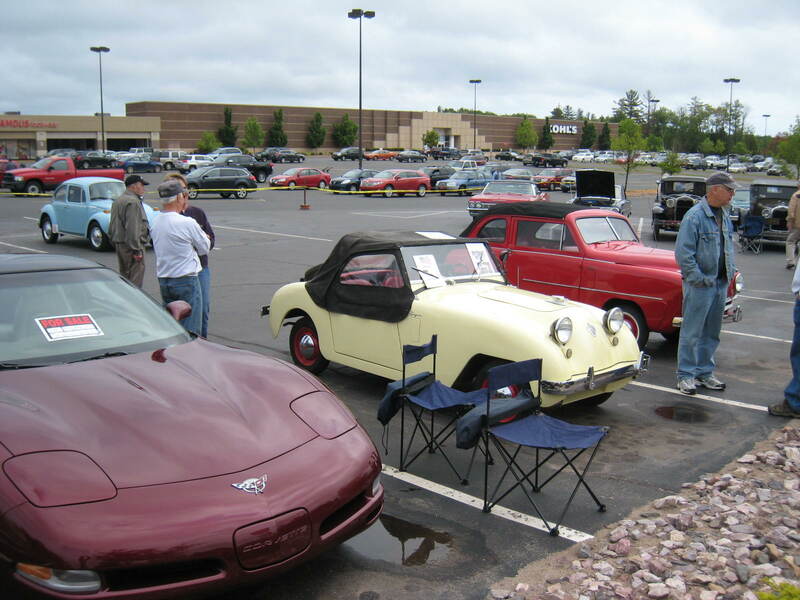 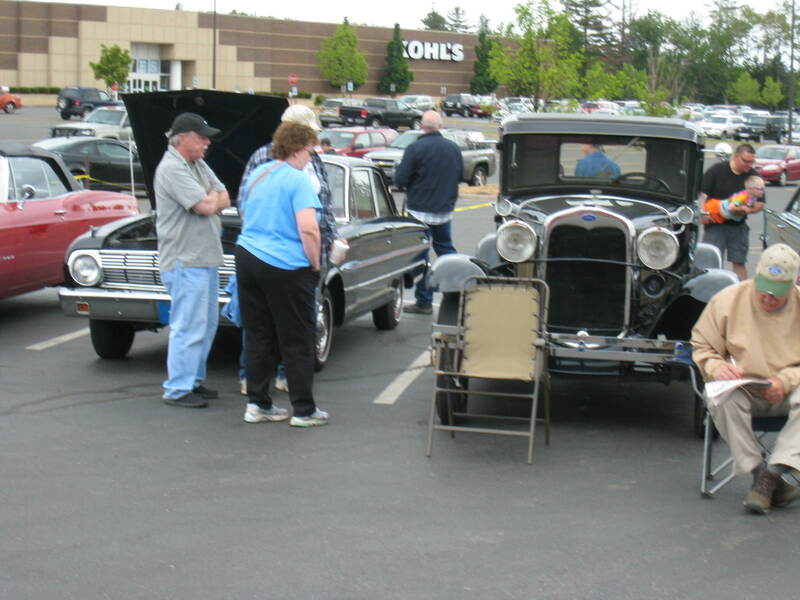 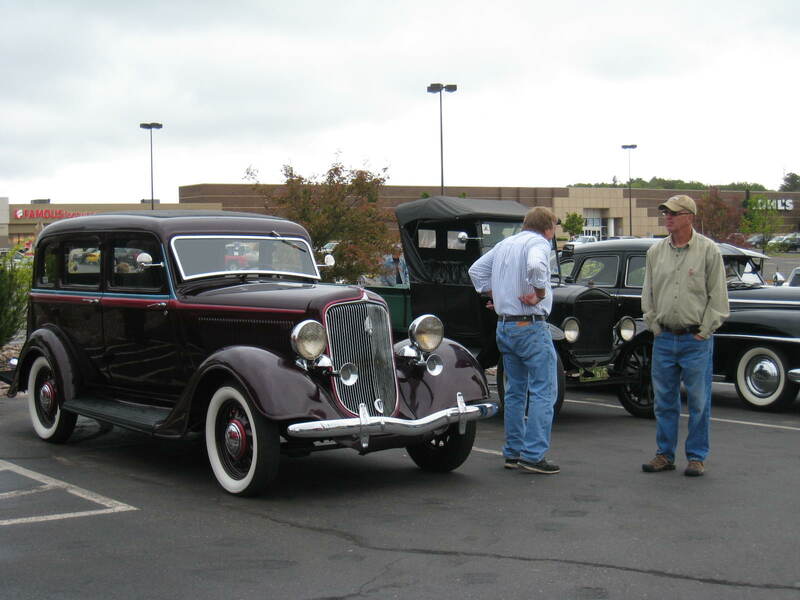 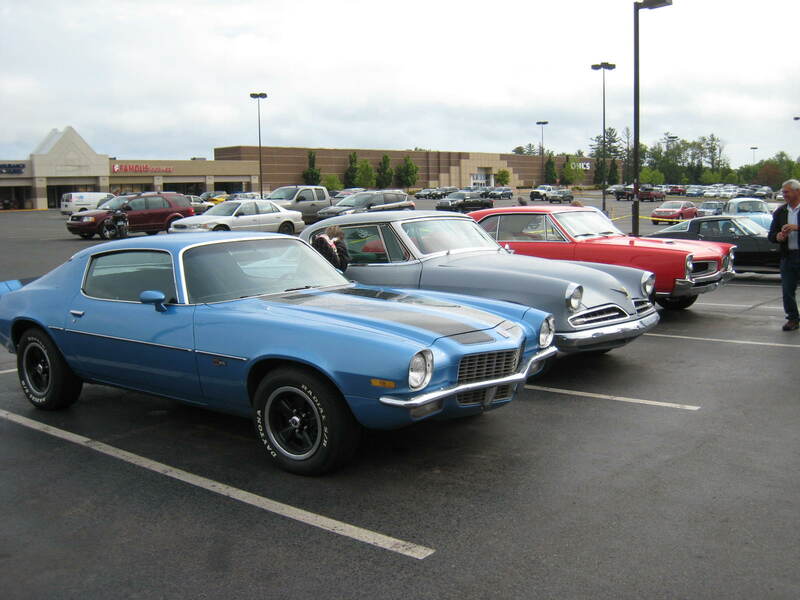 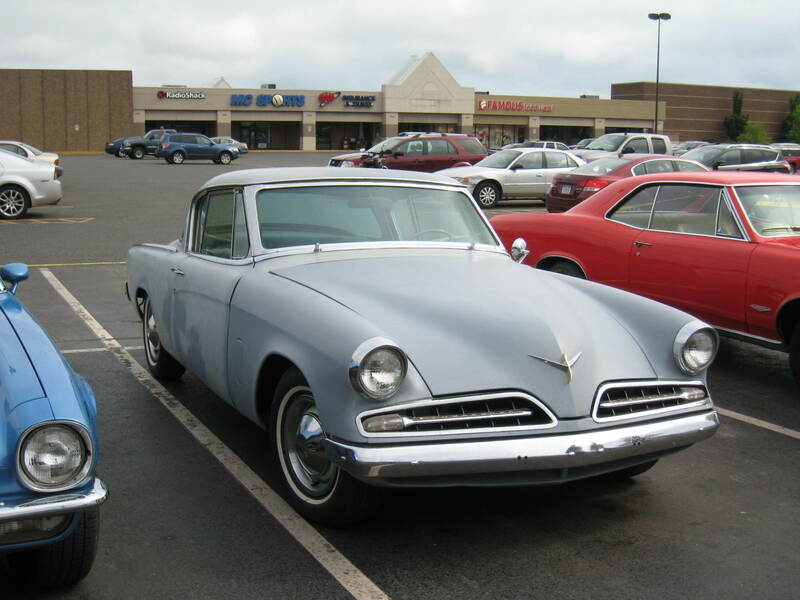 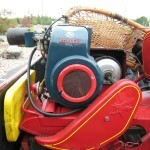 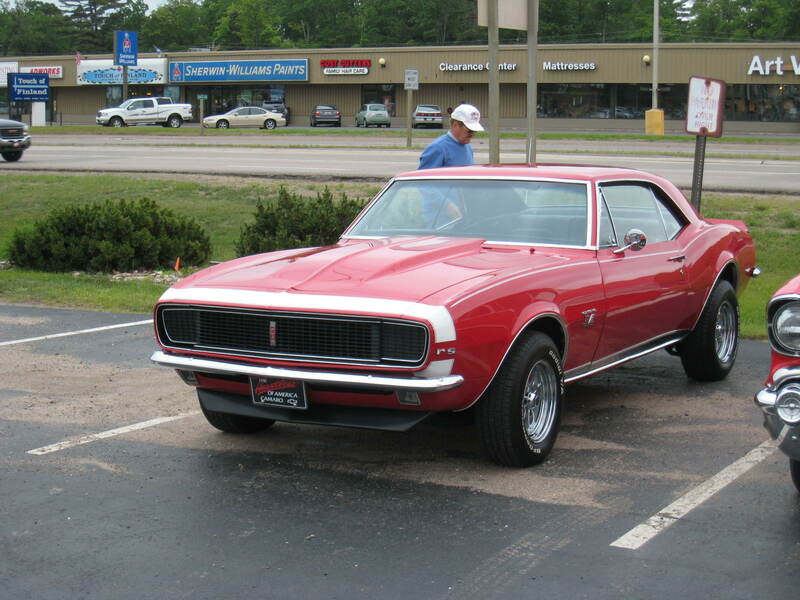 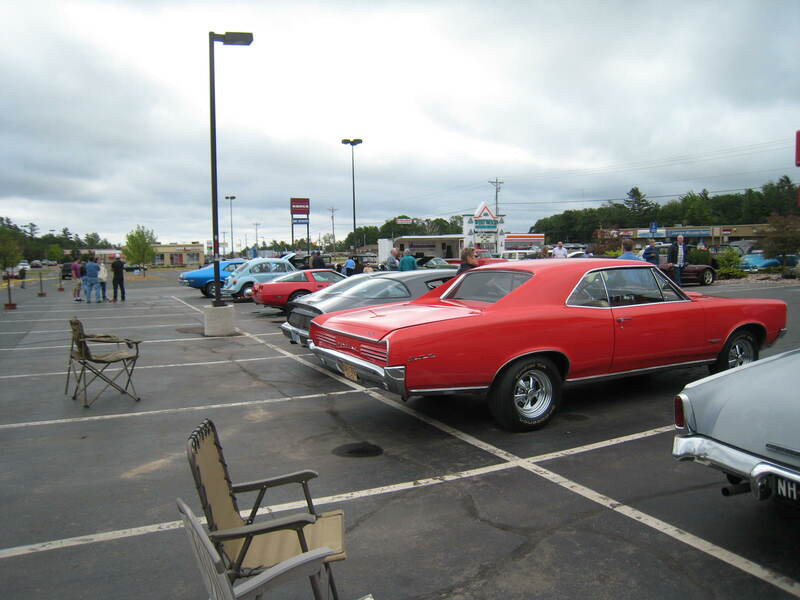 The Major had a chance to talk with Marquette Township officials, and car enthusiasts that enjoyed strolling through the Applebee’s Parking Lot in Marquette Township. 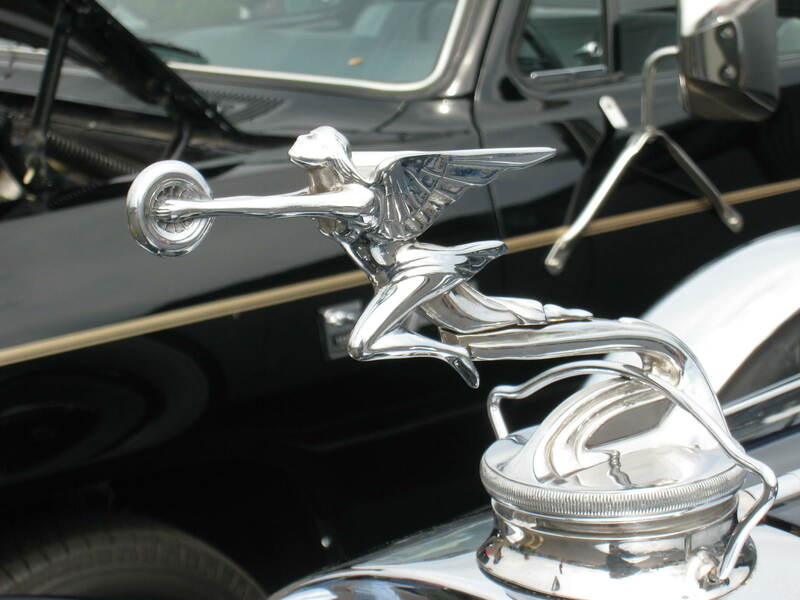 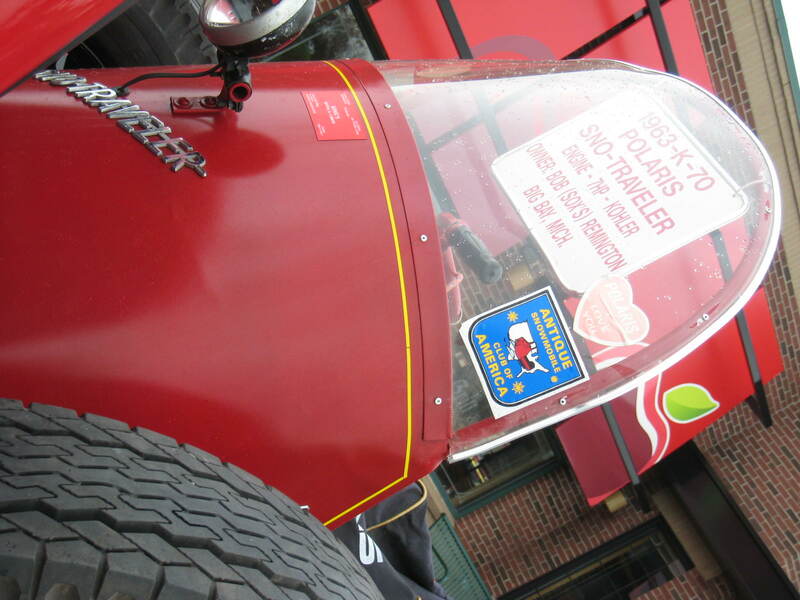 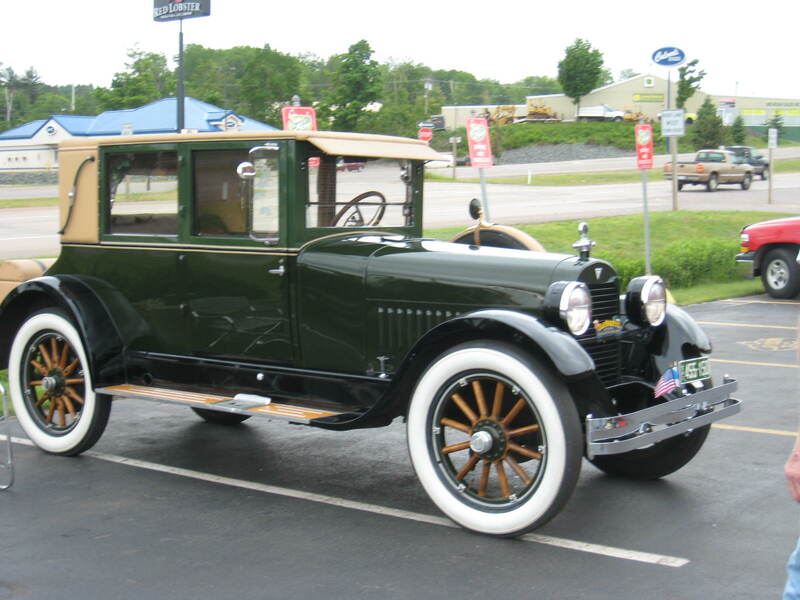 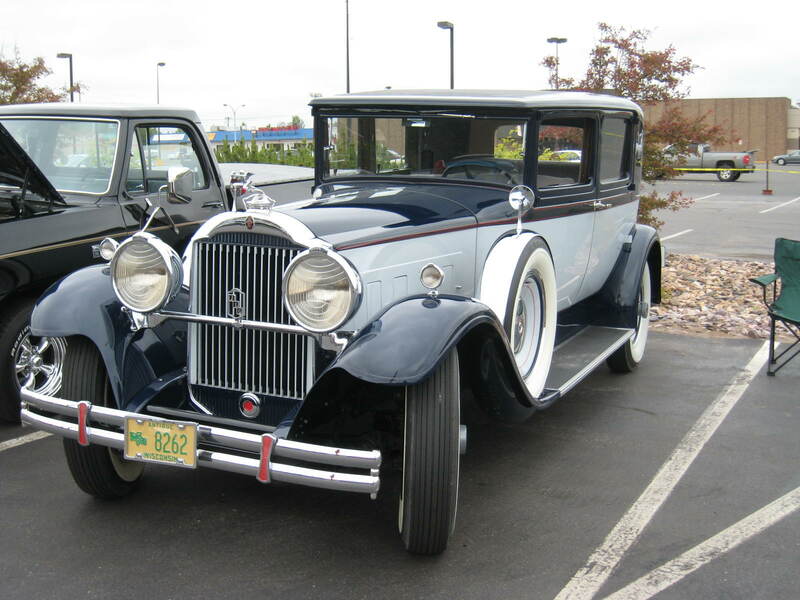 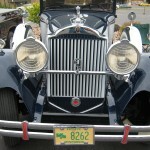 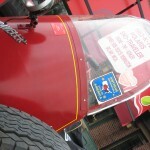 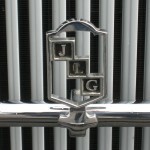 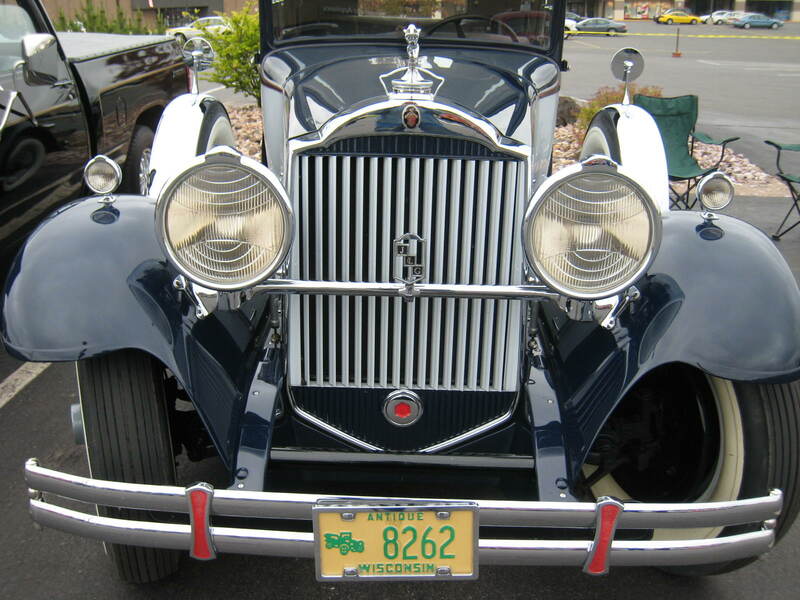 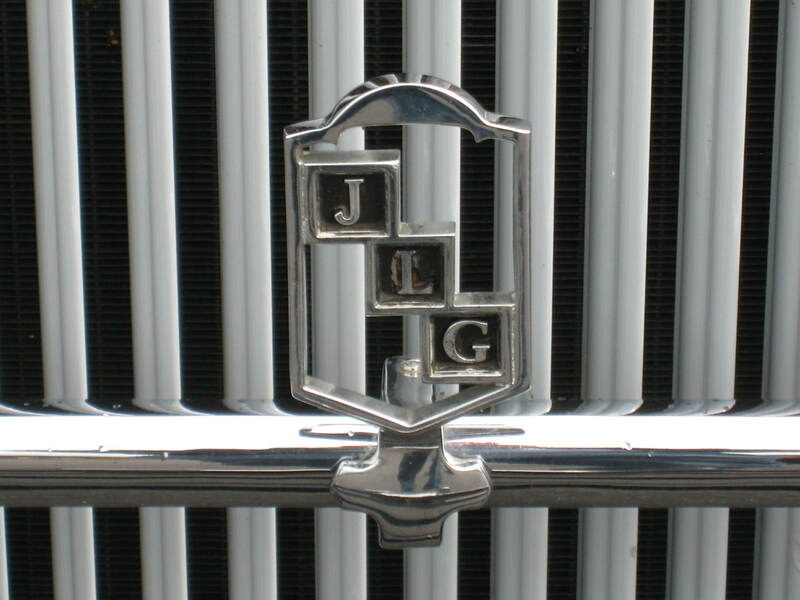 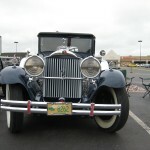 The Major speaks with Nancy Longtine of Great Lakes Radio and talks vintage cars! 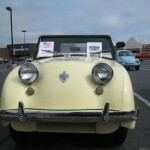 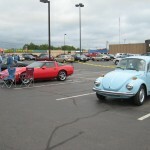 The Major speaks with Lisa Aisthorpe, Manager of Applebee’s during the Car Show & Cruise. 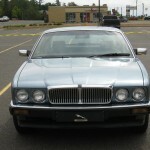 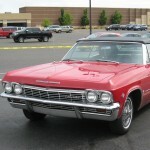 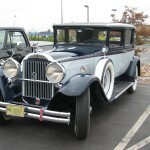 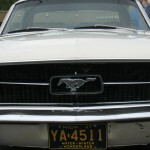 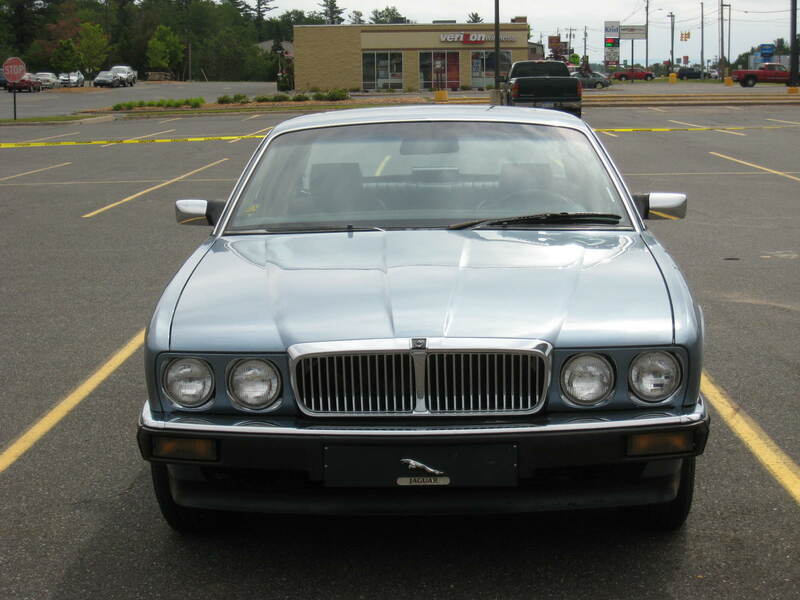 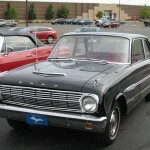 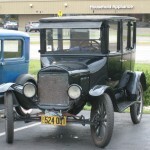 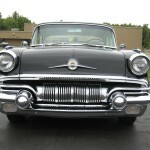 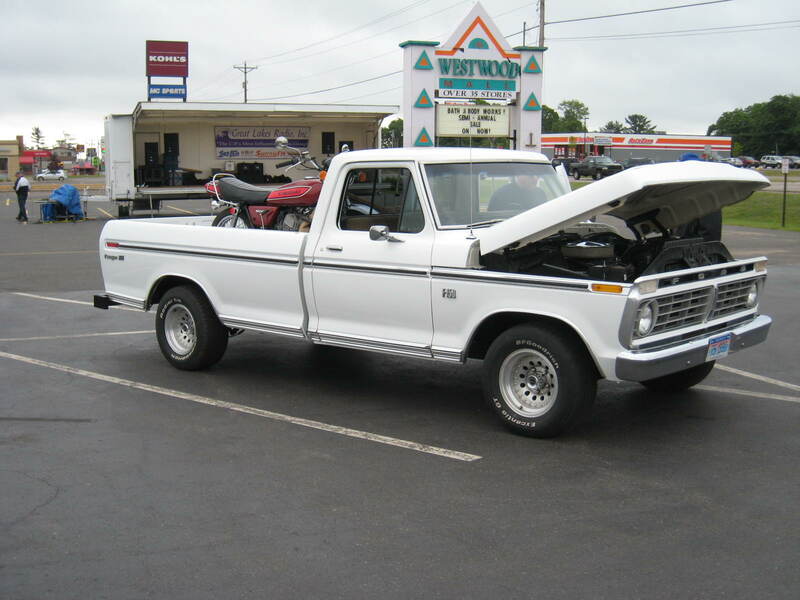 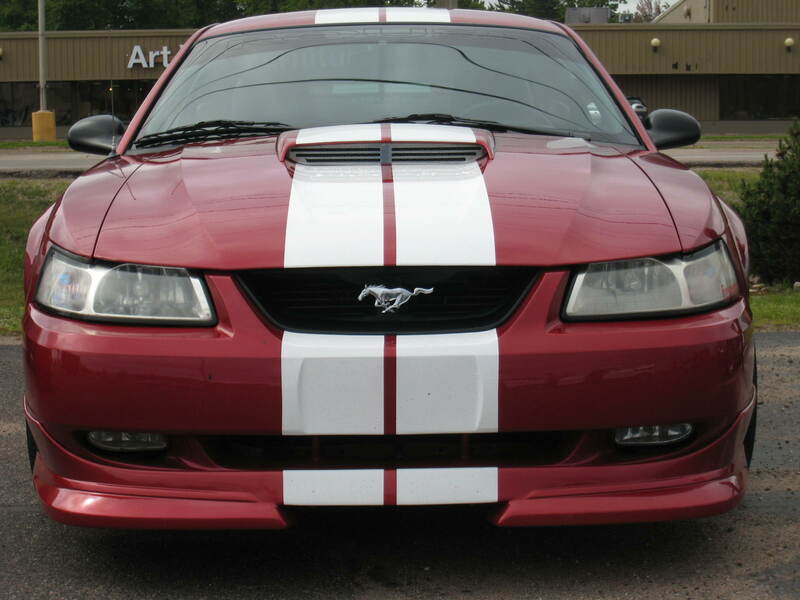 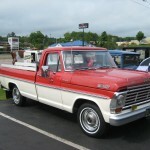 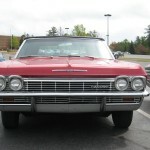 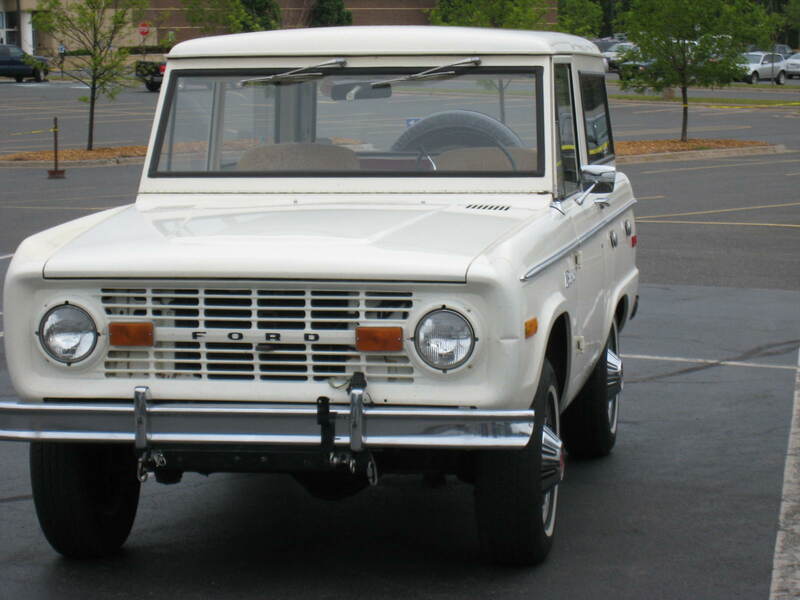 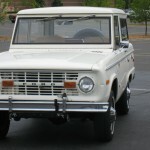 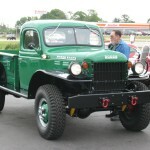 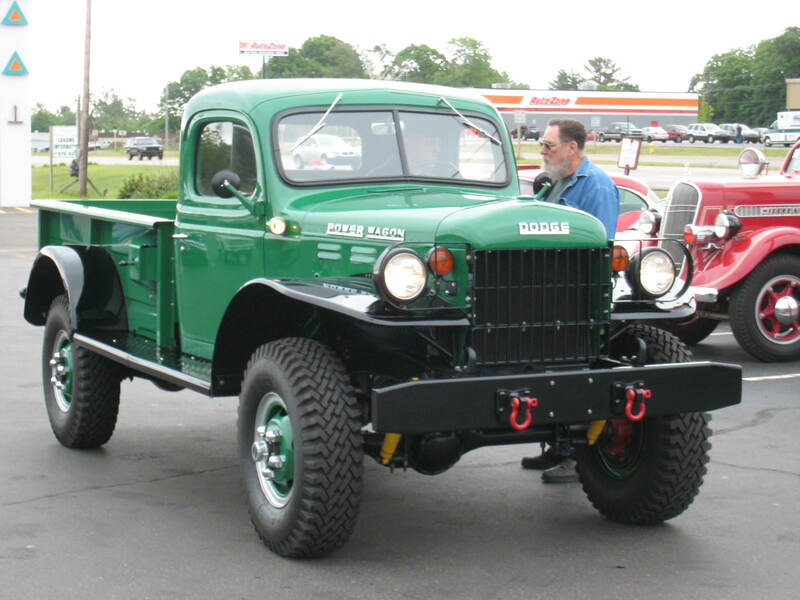 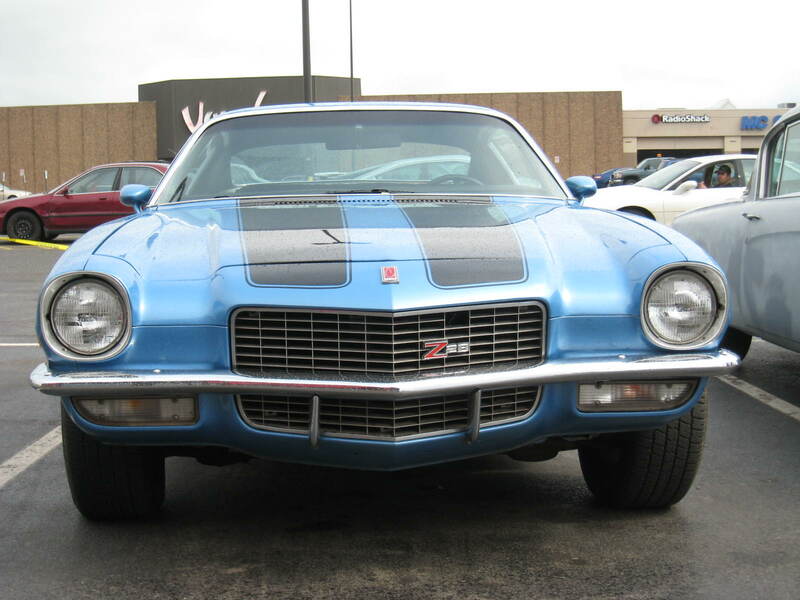 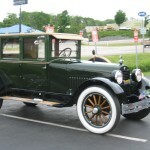 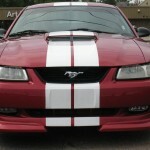 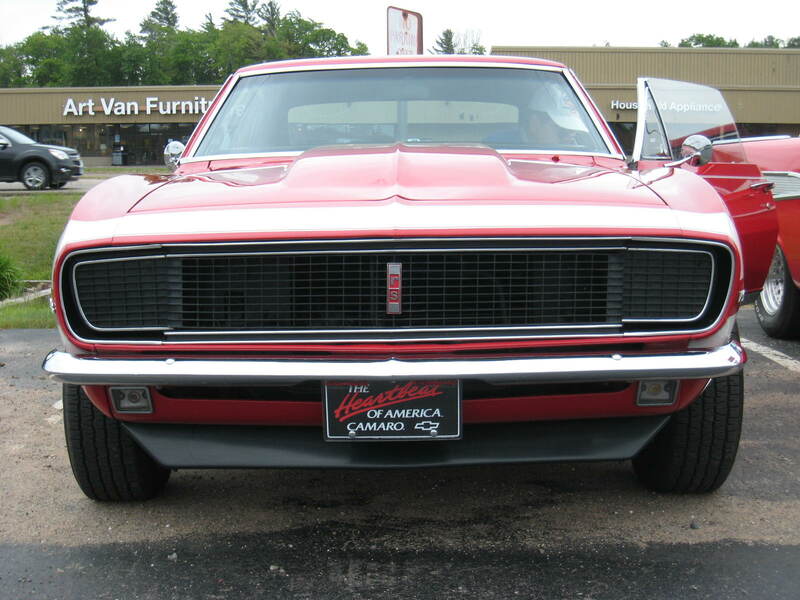 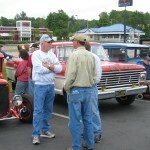 Mark Johnson, car enthusiast talks with Major Discount about classic cars! 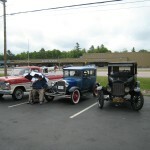 Randy Girard, Marquette Township Manager talks vintage cars with the Major. 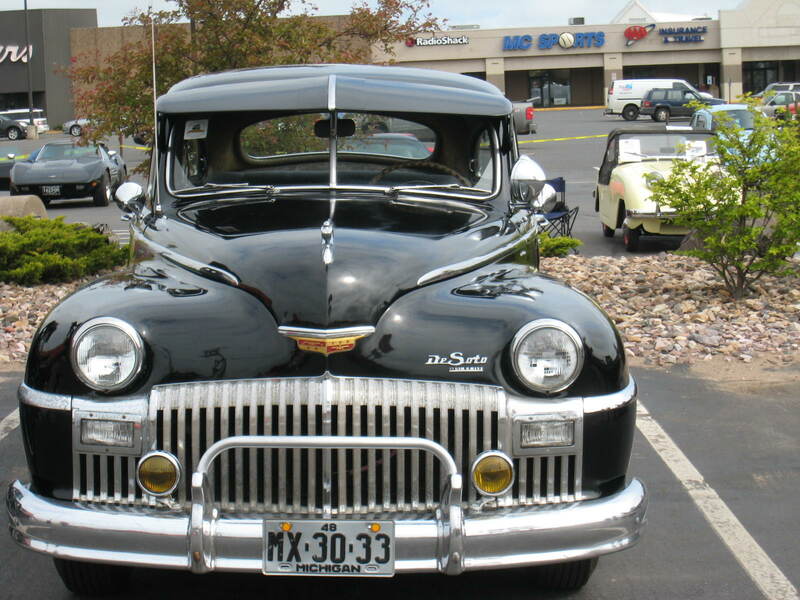 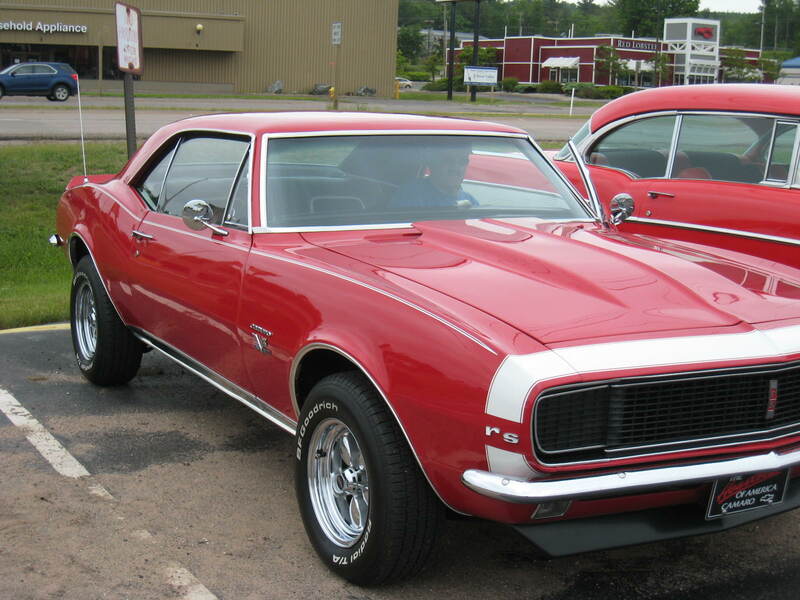 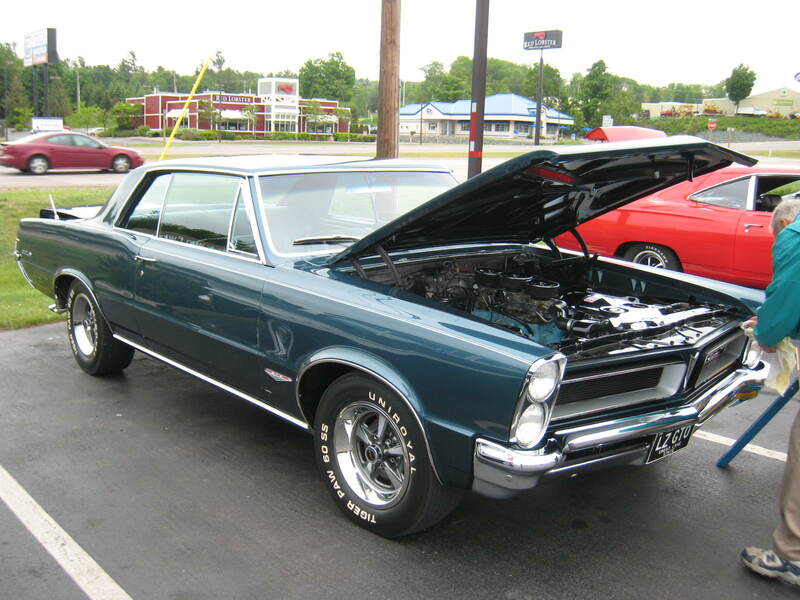 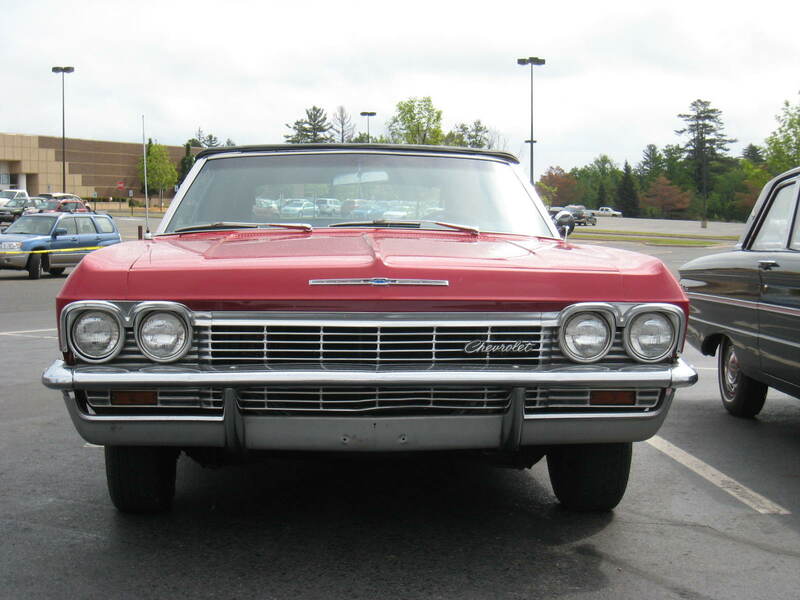 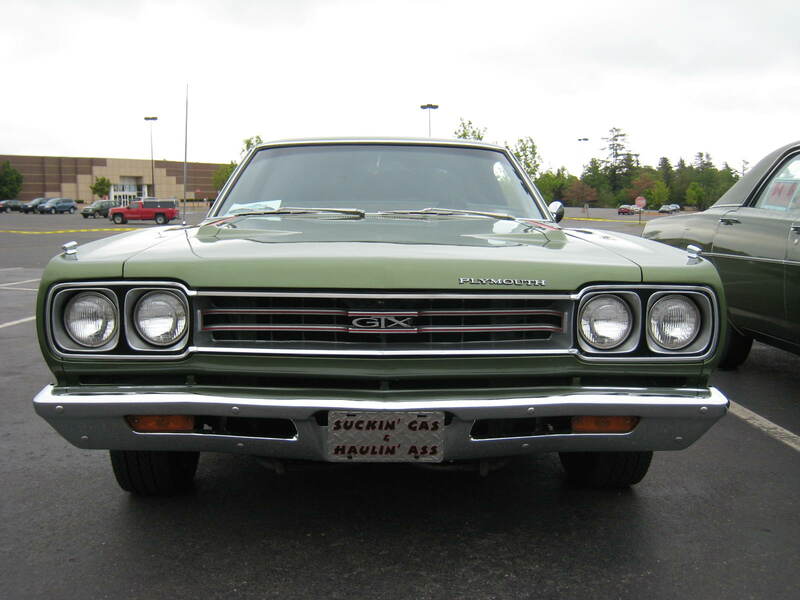 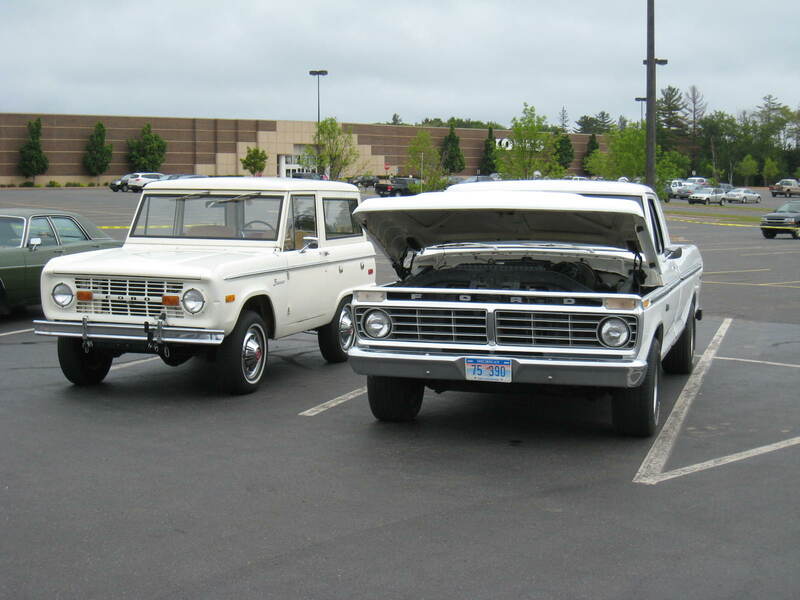 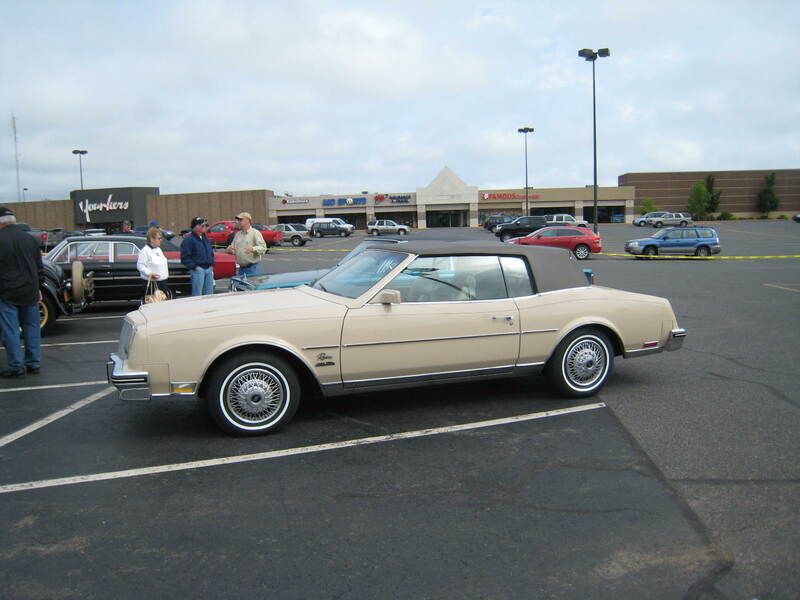 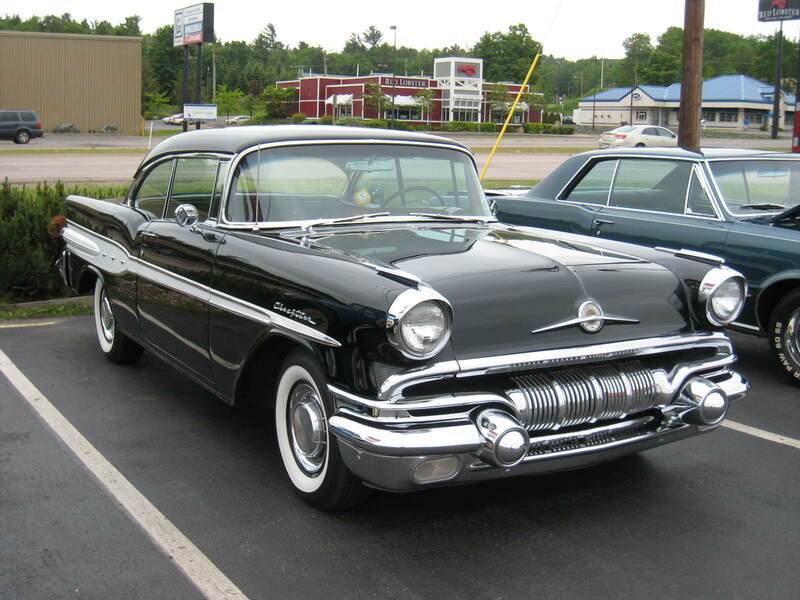 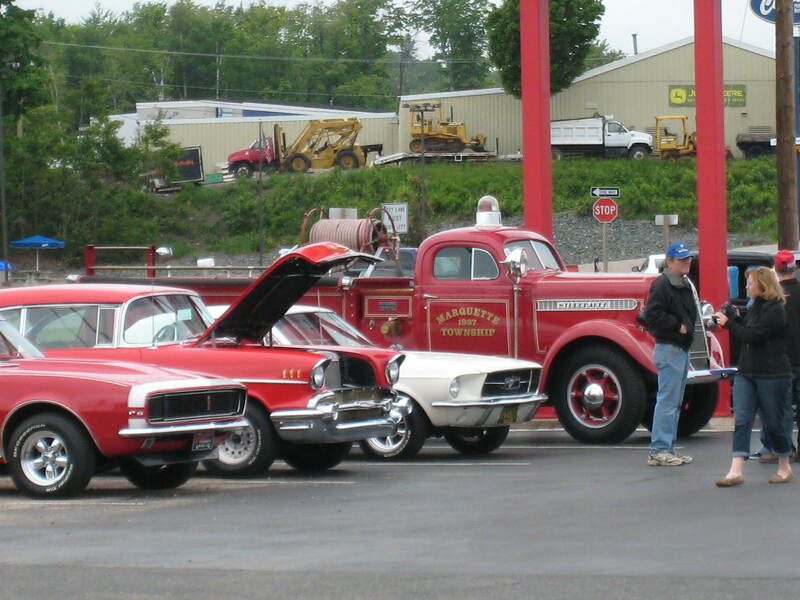 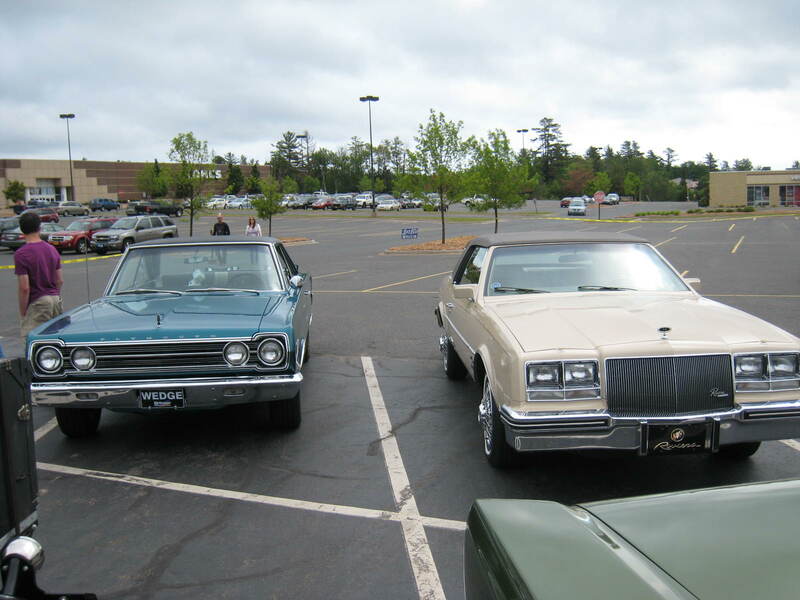 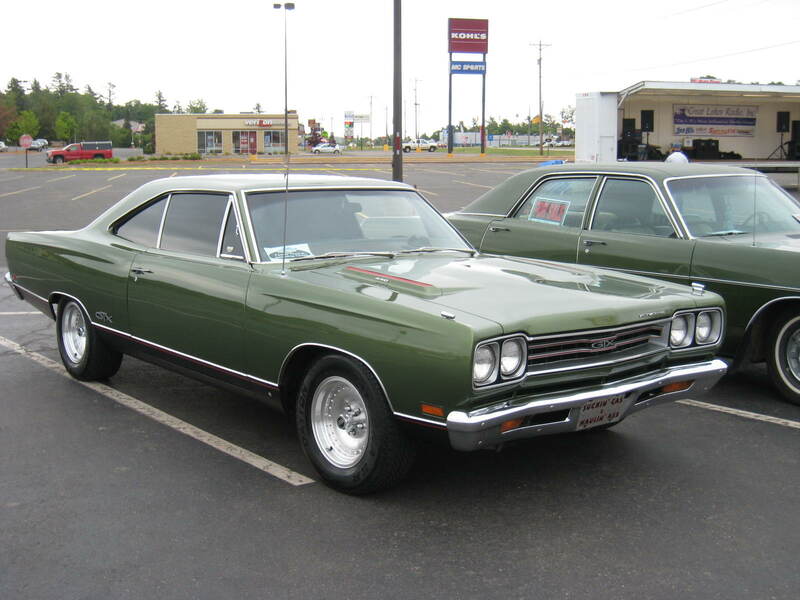 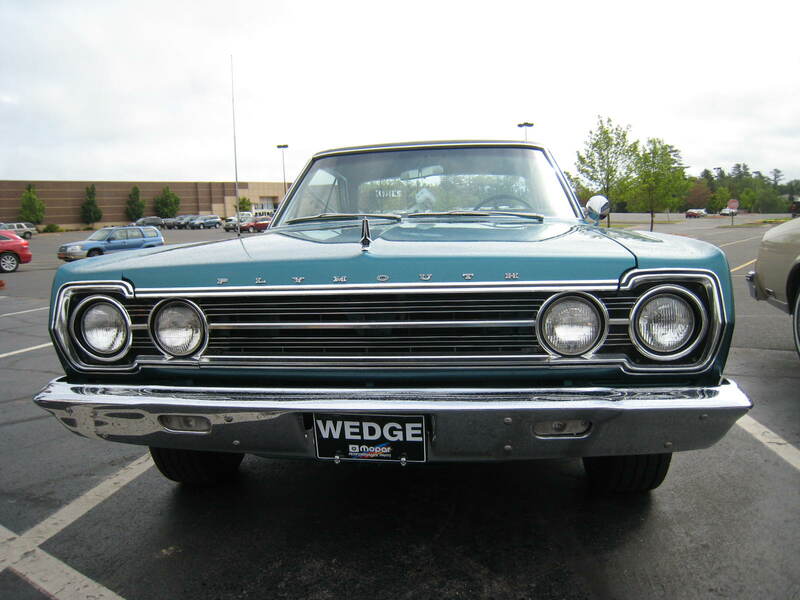 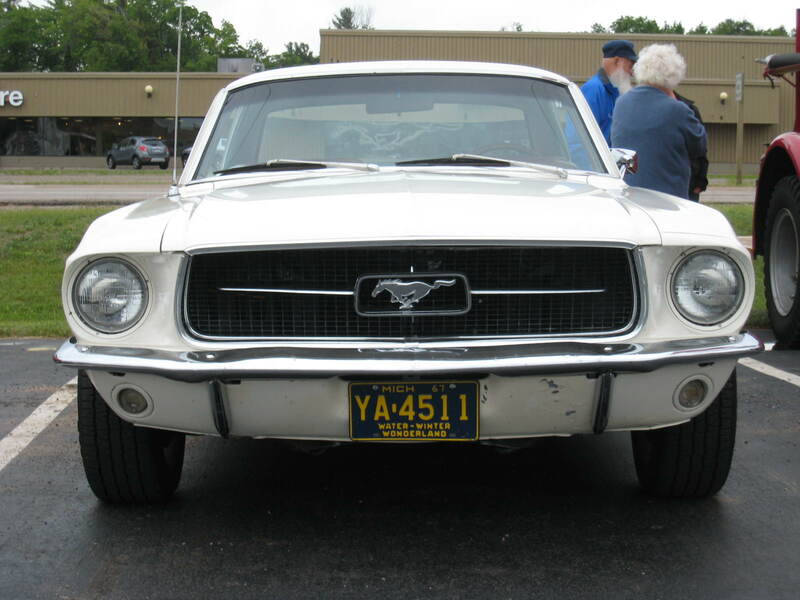 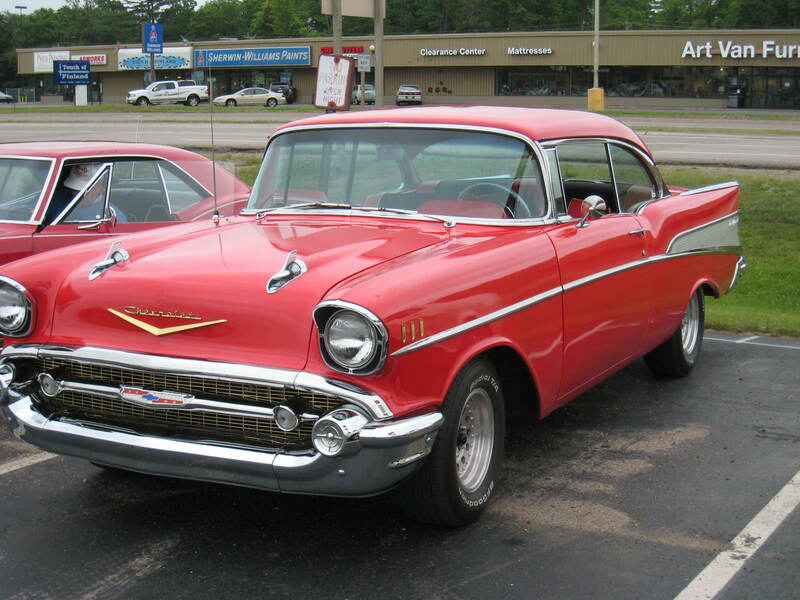 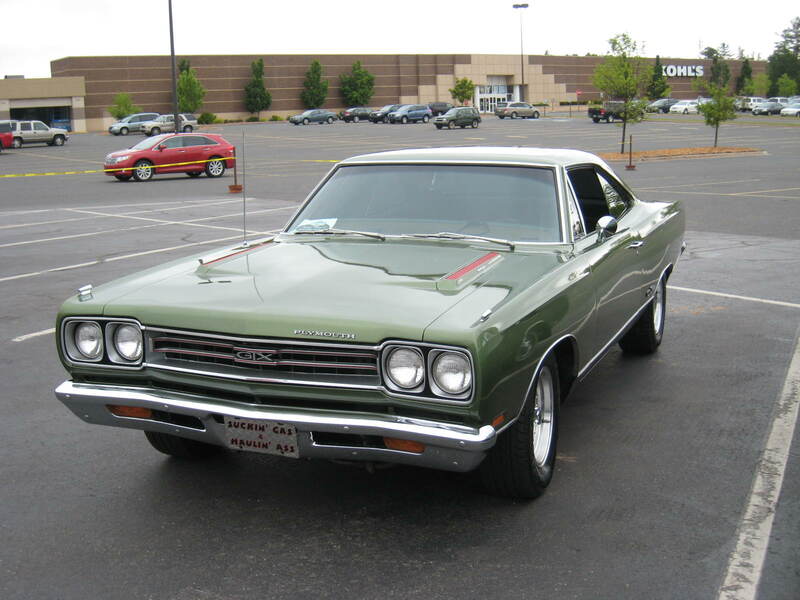 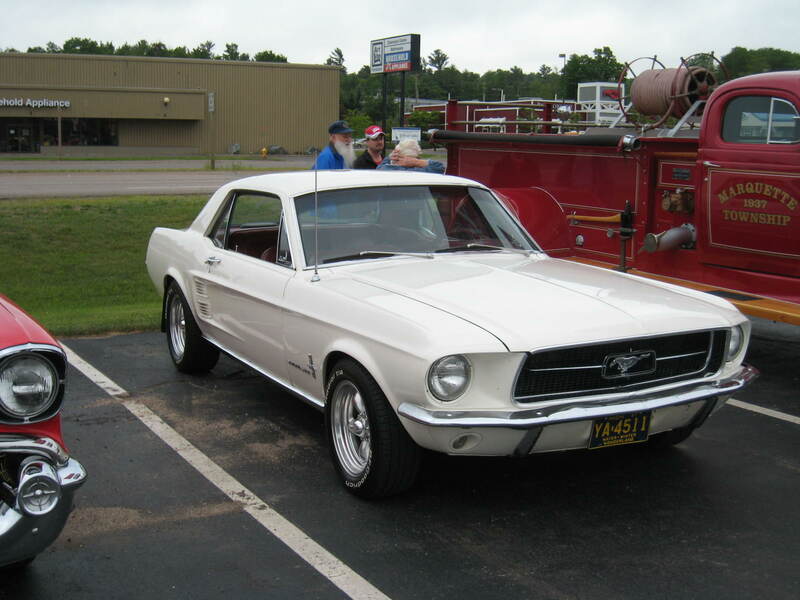 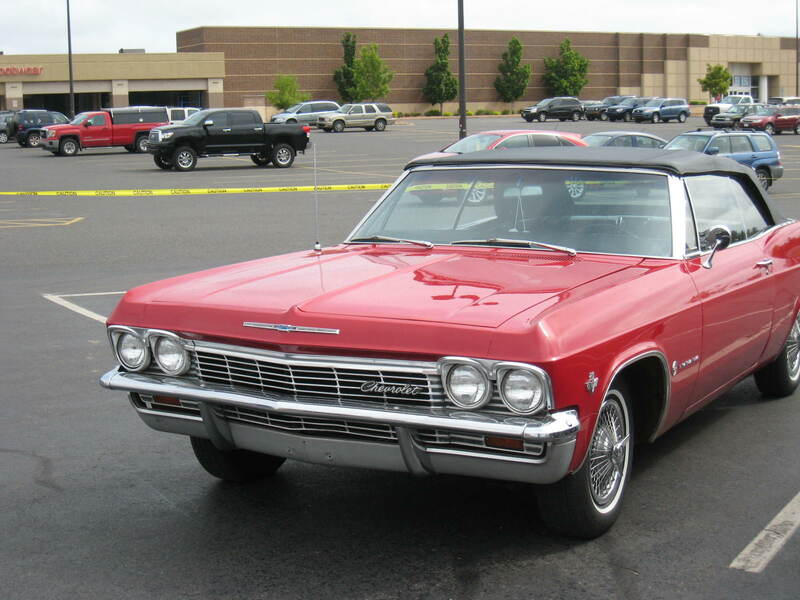 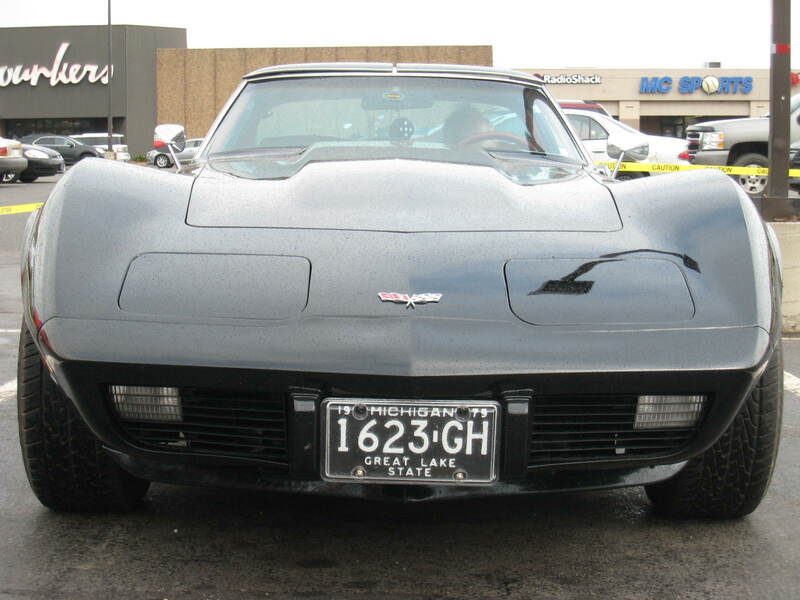 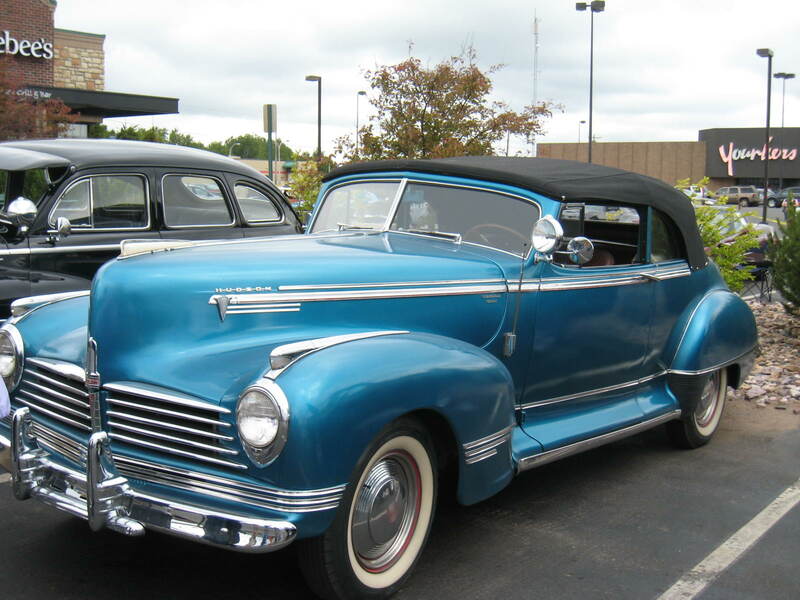 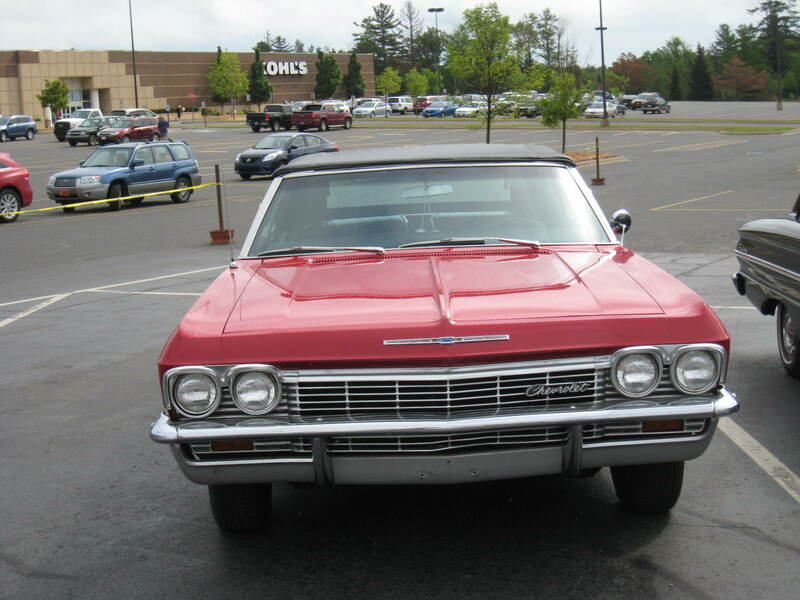 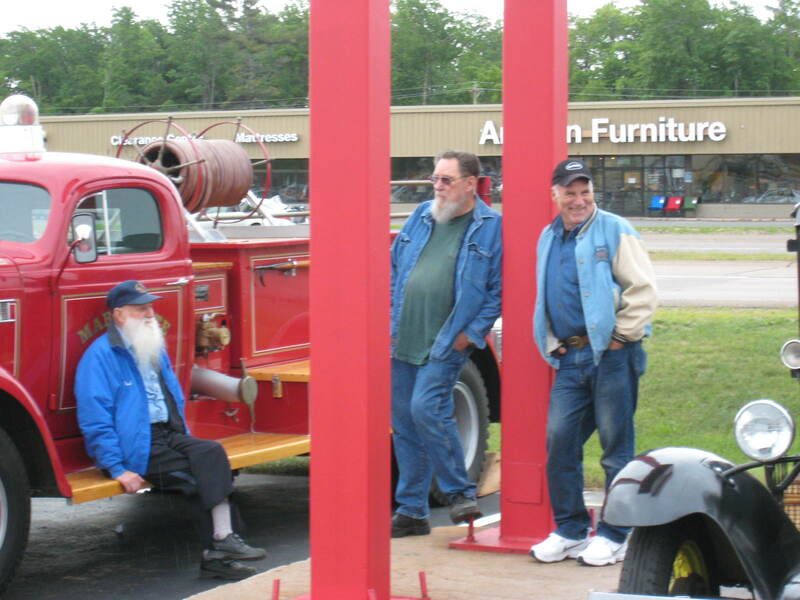 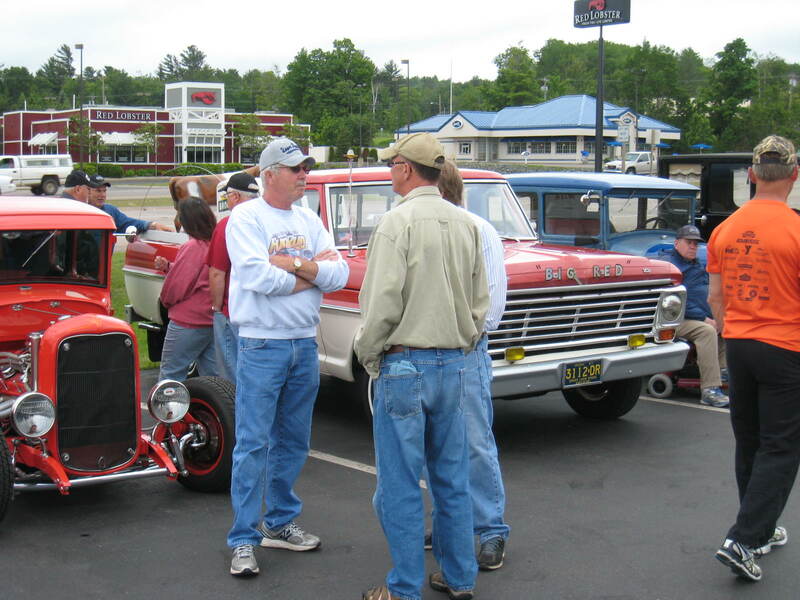 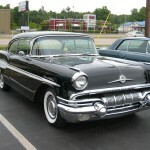 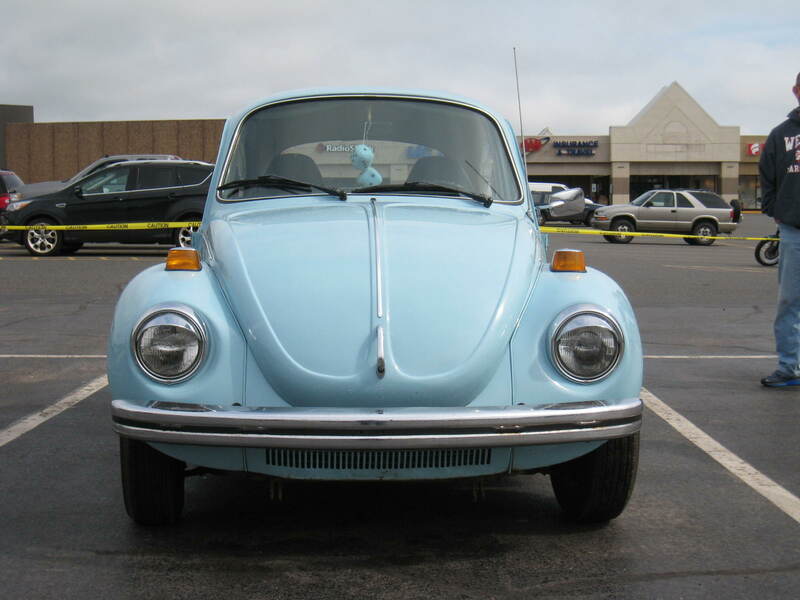 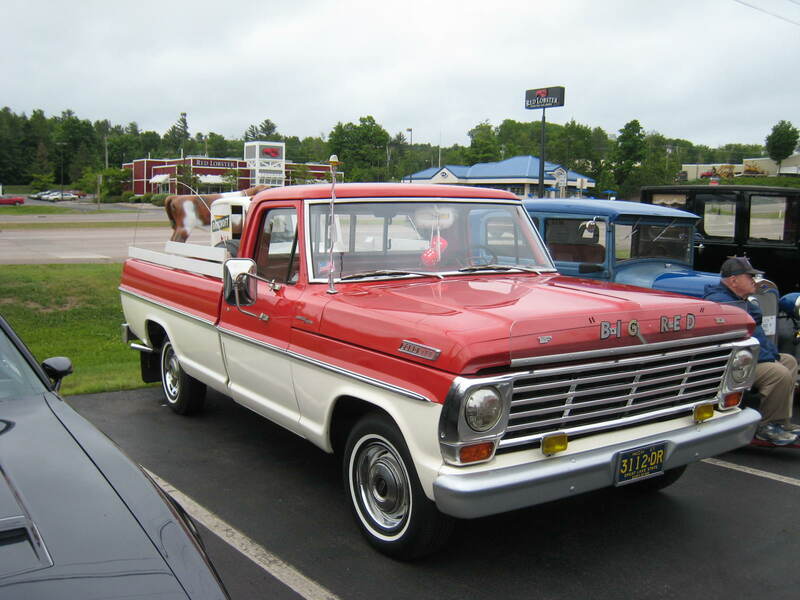 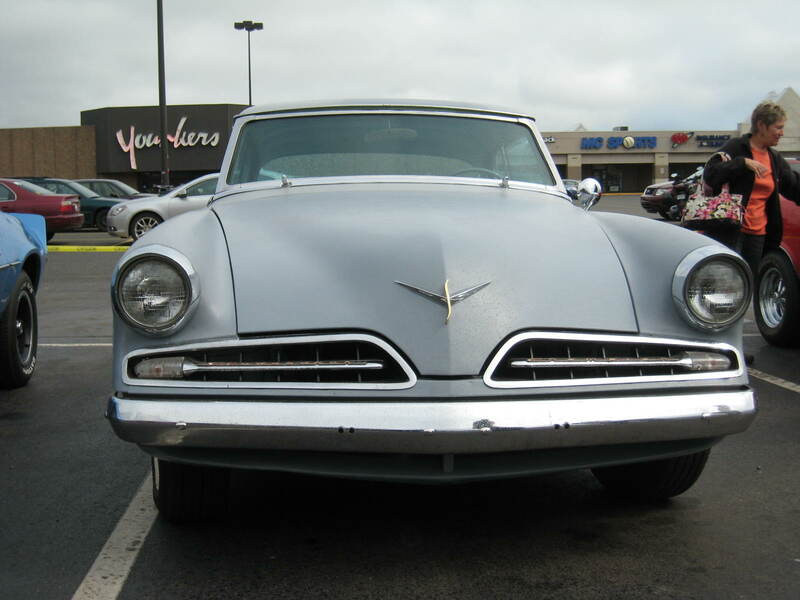 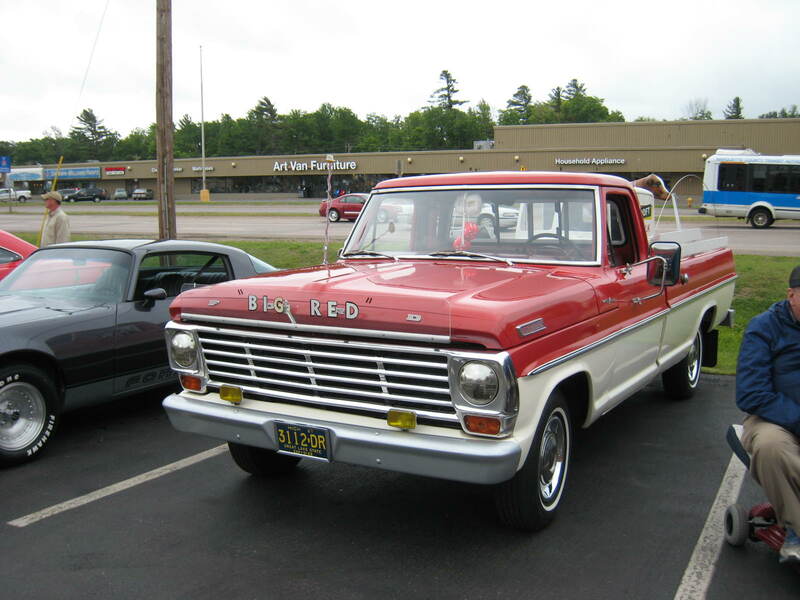 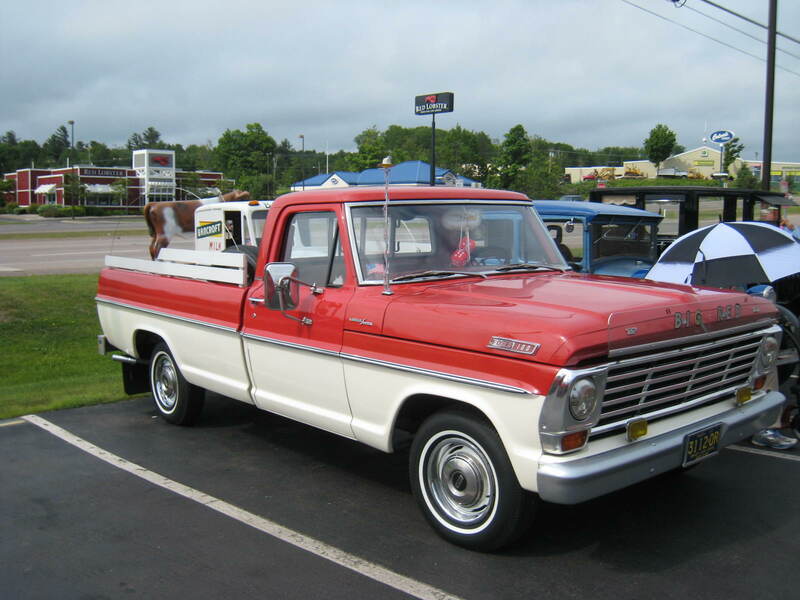 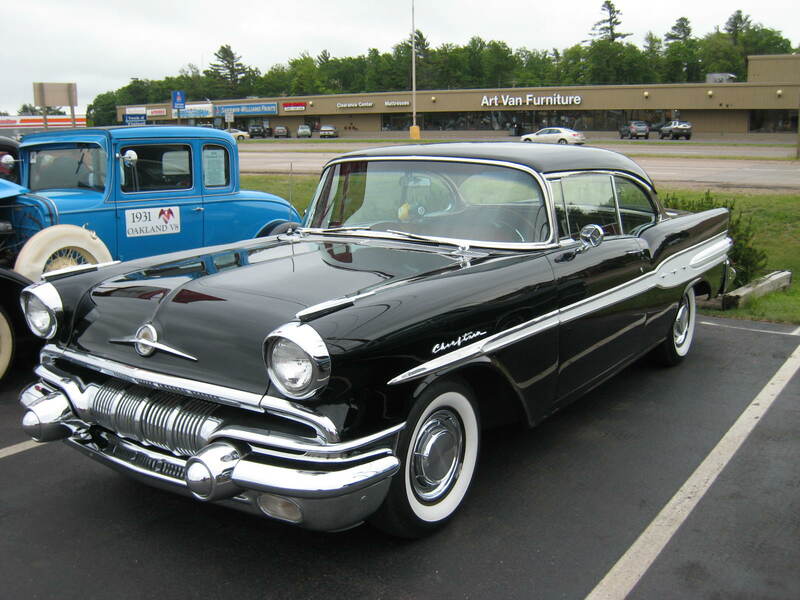 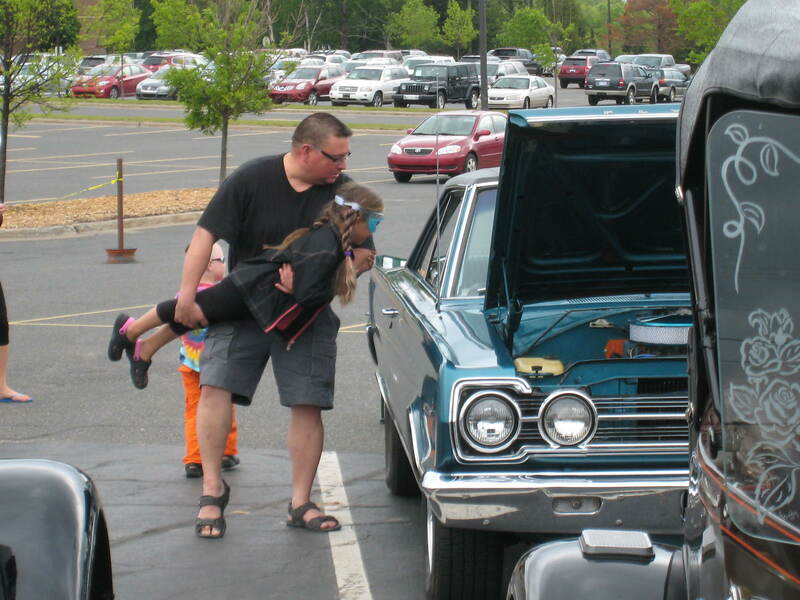 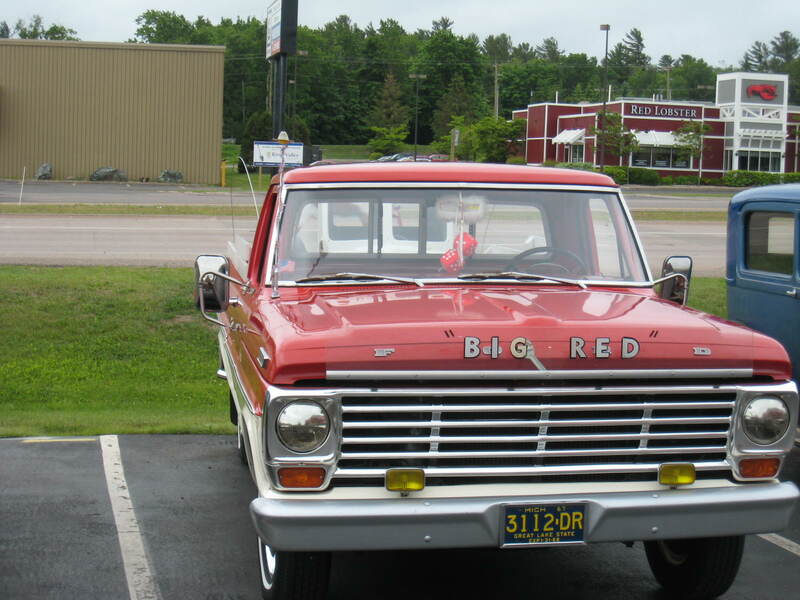 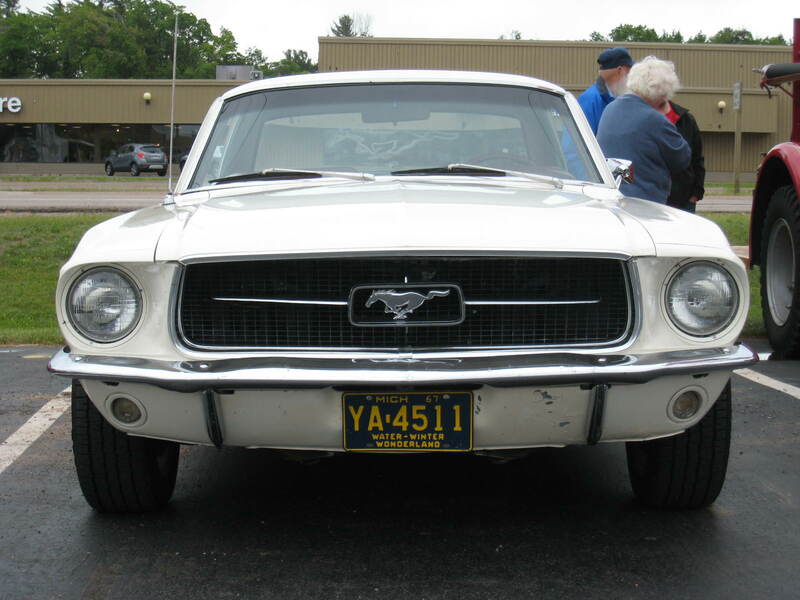 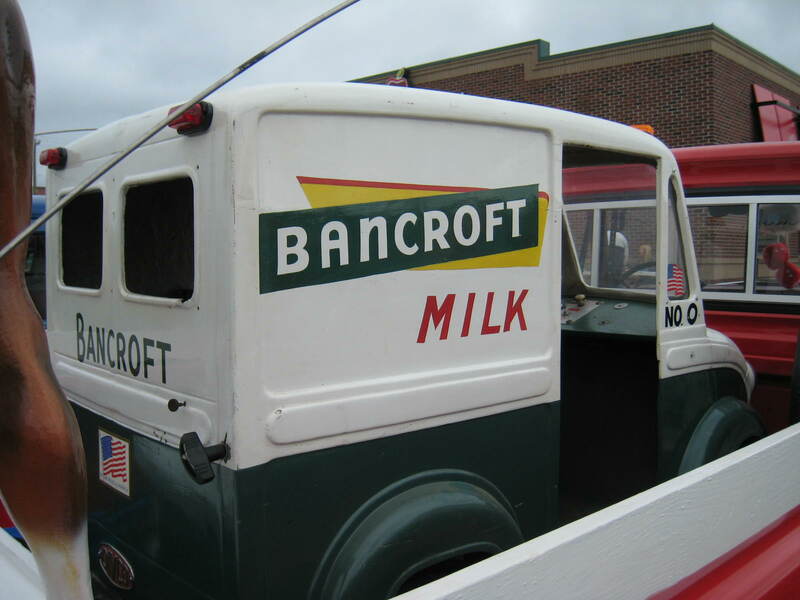 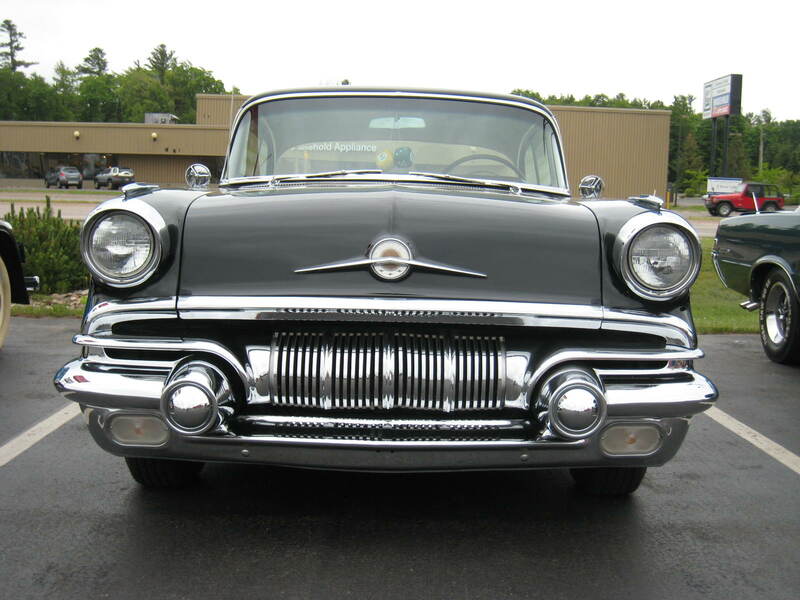 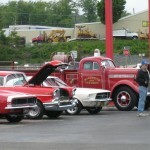 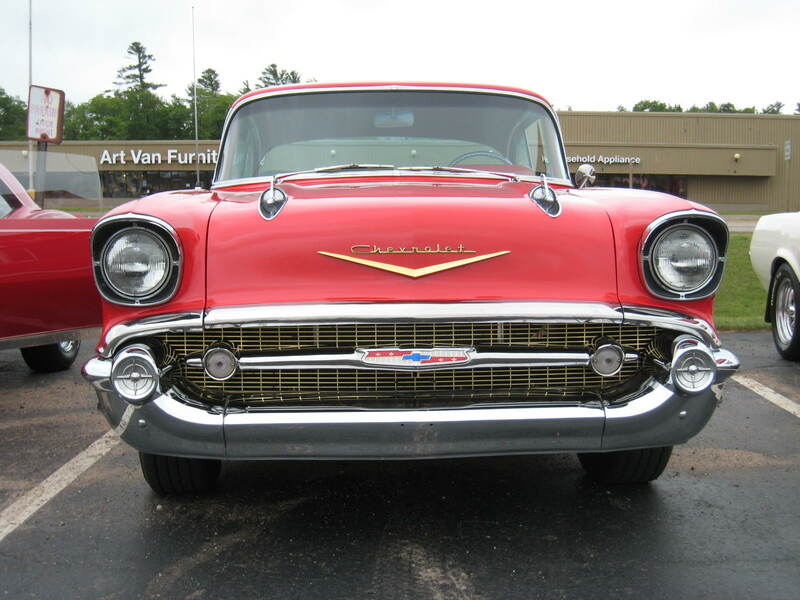 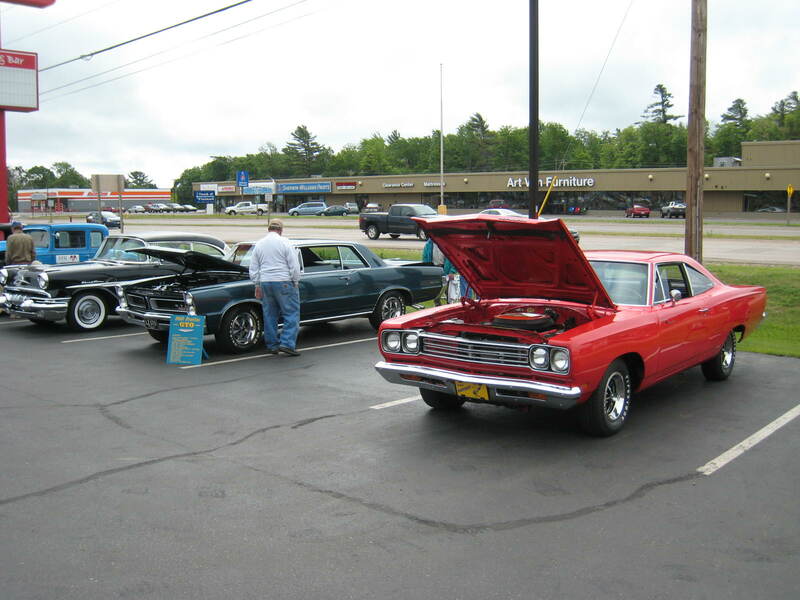 Marquette Township Manager Randy Girard loves classic cars with Major Discount. 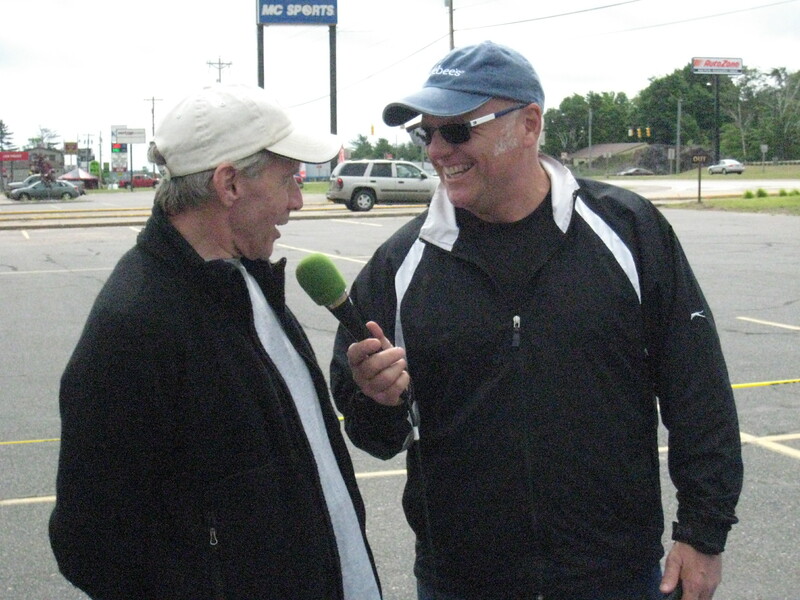 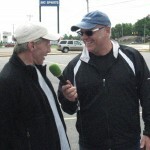 Major Discount wraps up the LIVE broadcast from the Applebee’s Parking Lot for the Car Show & Cruise and talks with Pete Lereu of the Township Board. 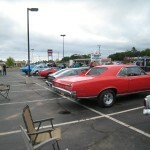 The Car Show & Cruise wrapped up with a ride around Mattson Lower Harbor Park in Marquette, Michigan following the show at Applebee’s. 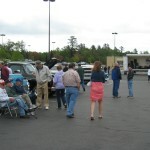 Like the past 2 years, this year’s event was a huge success! 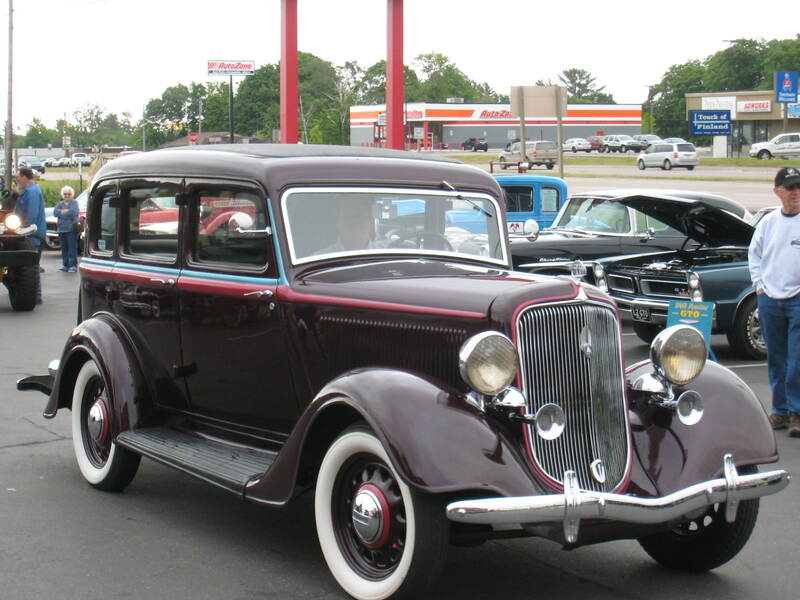 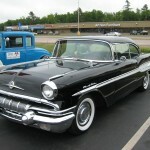 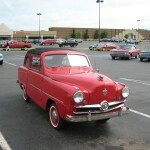 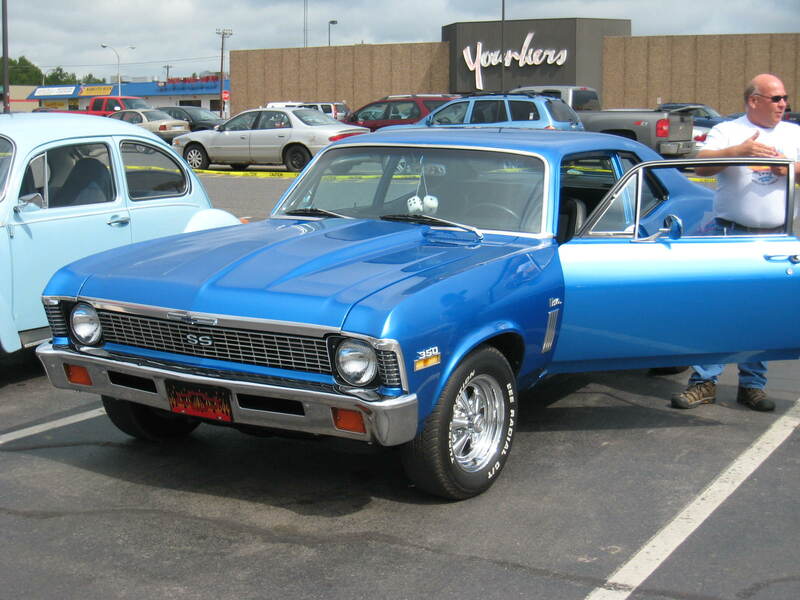 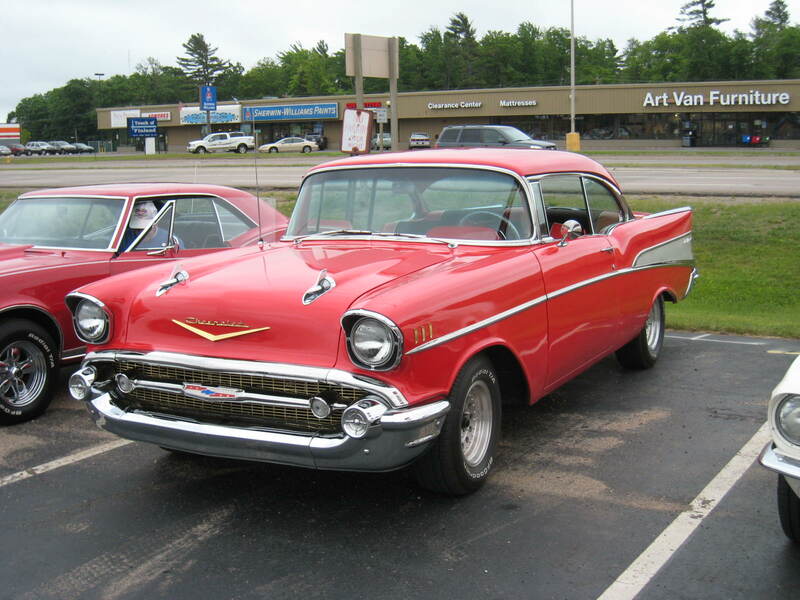 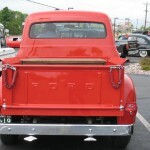 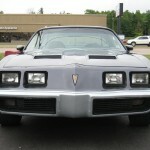 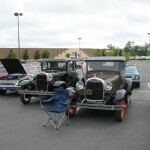 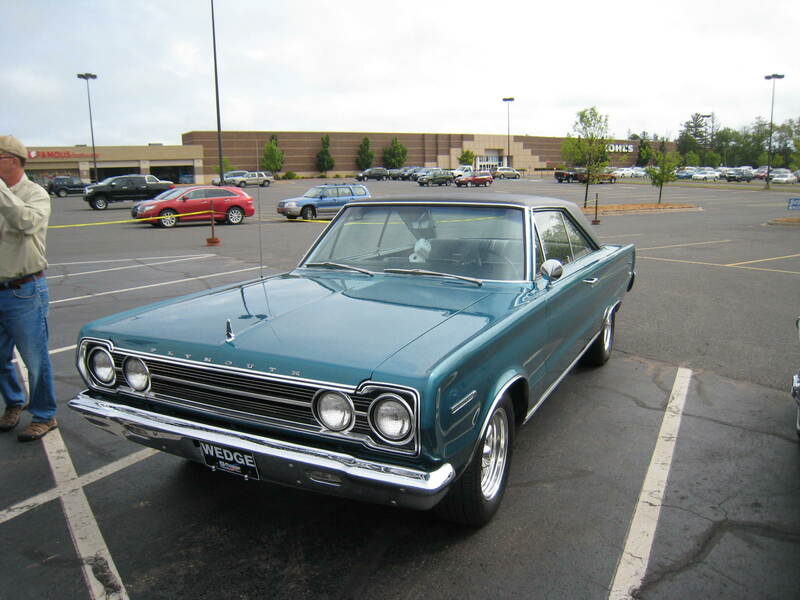 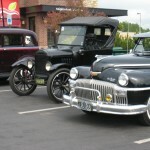 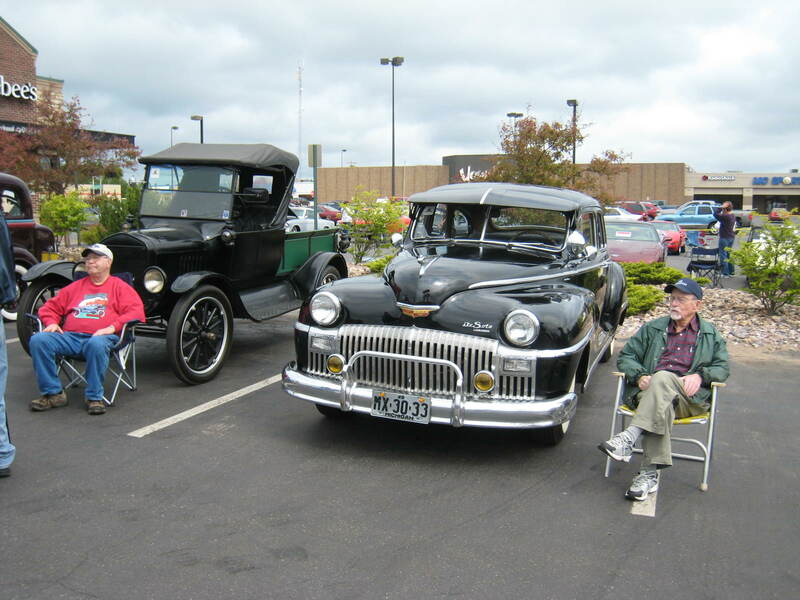 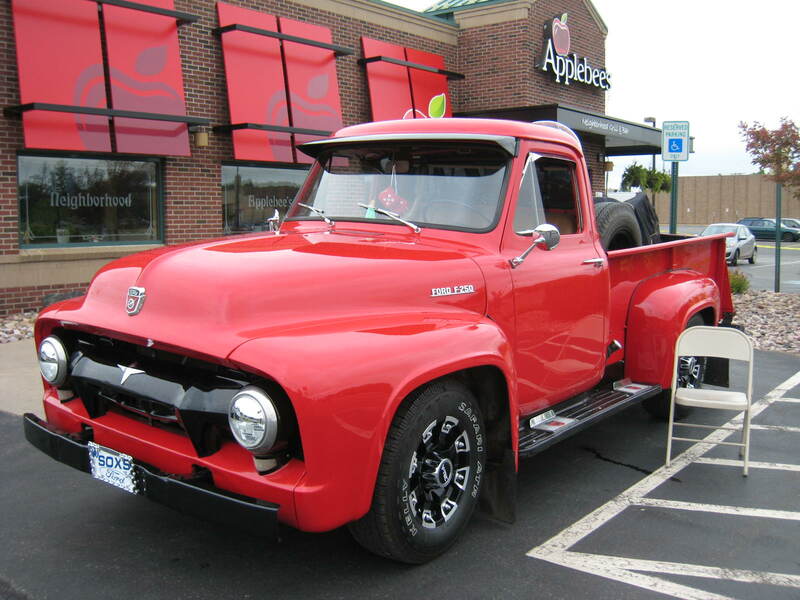 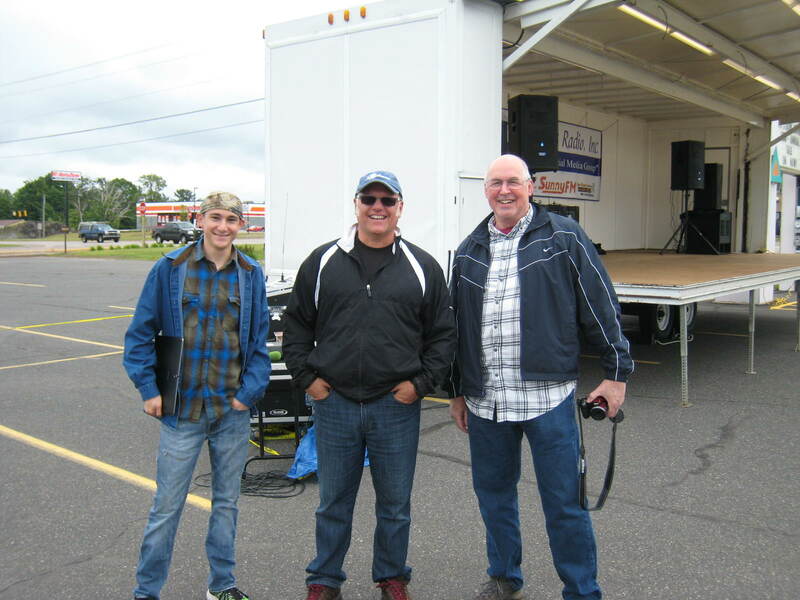 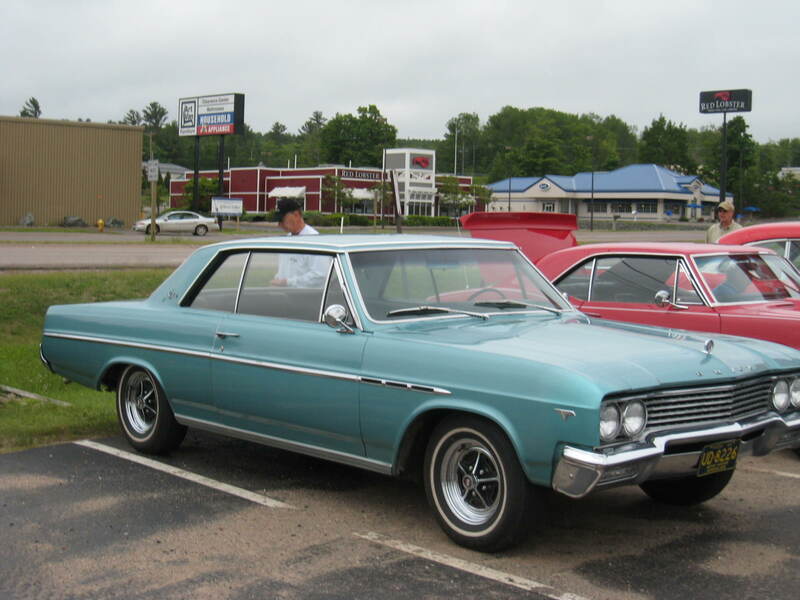 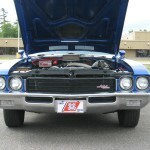 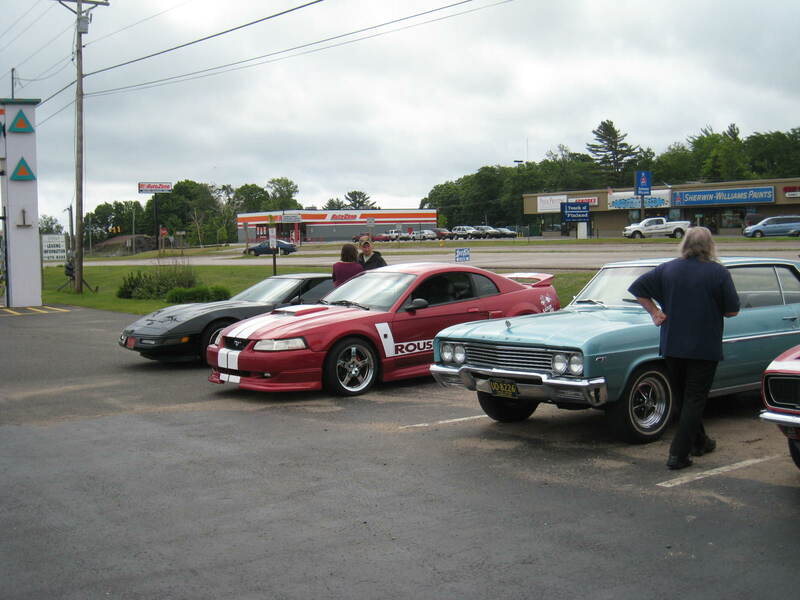 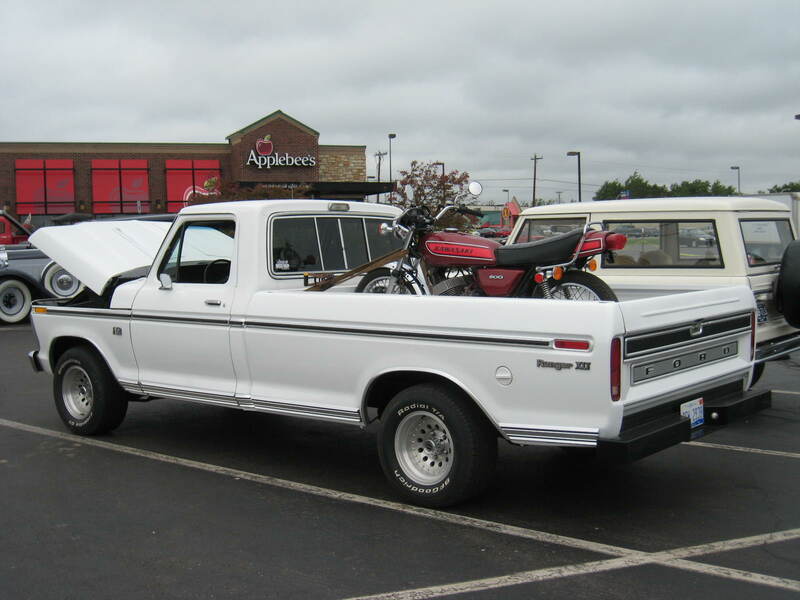 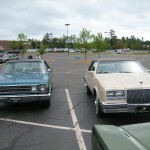 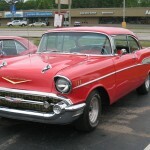 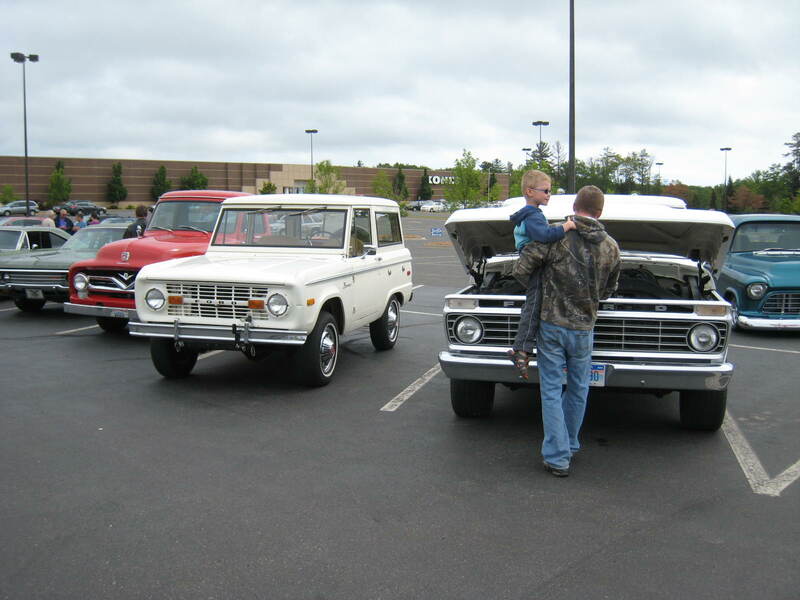 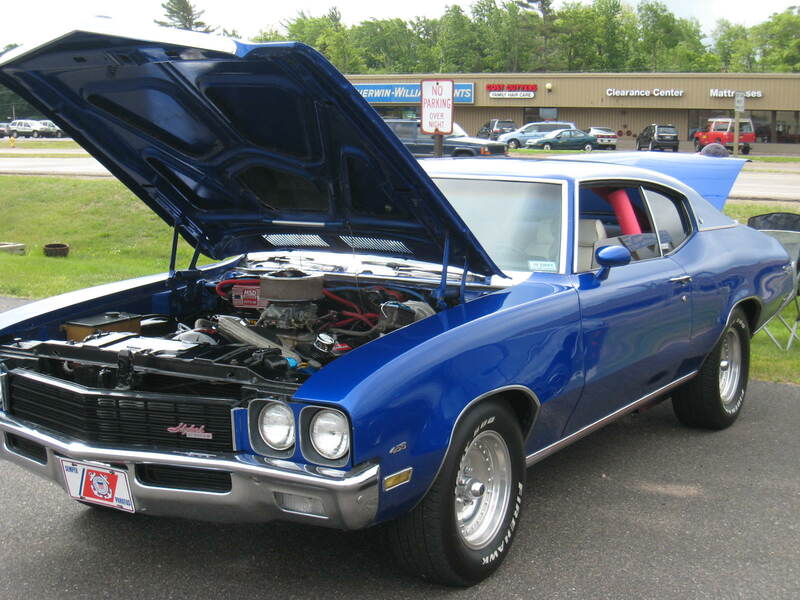 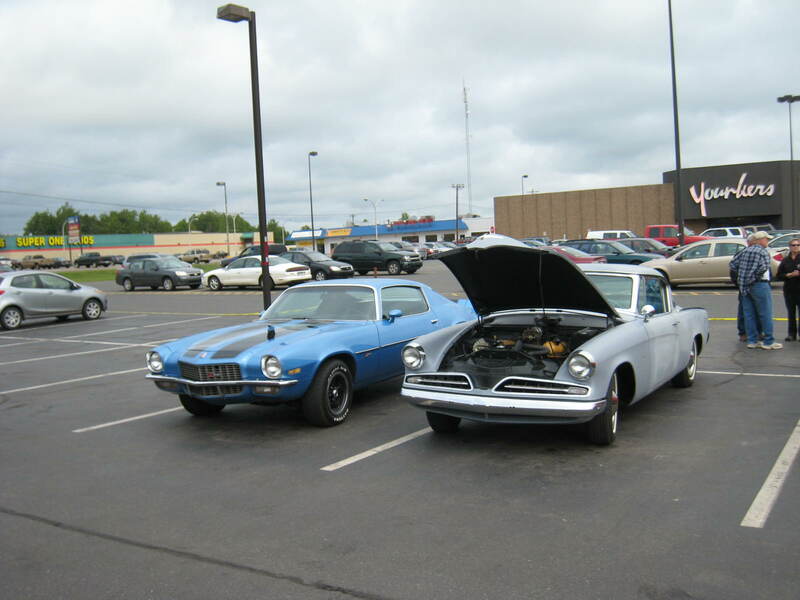 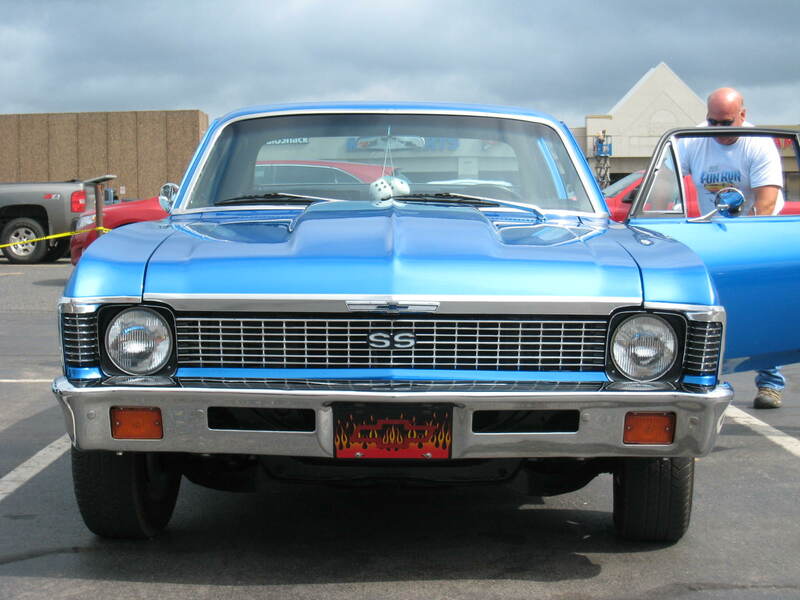 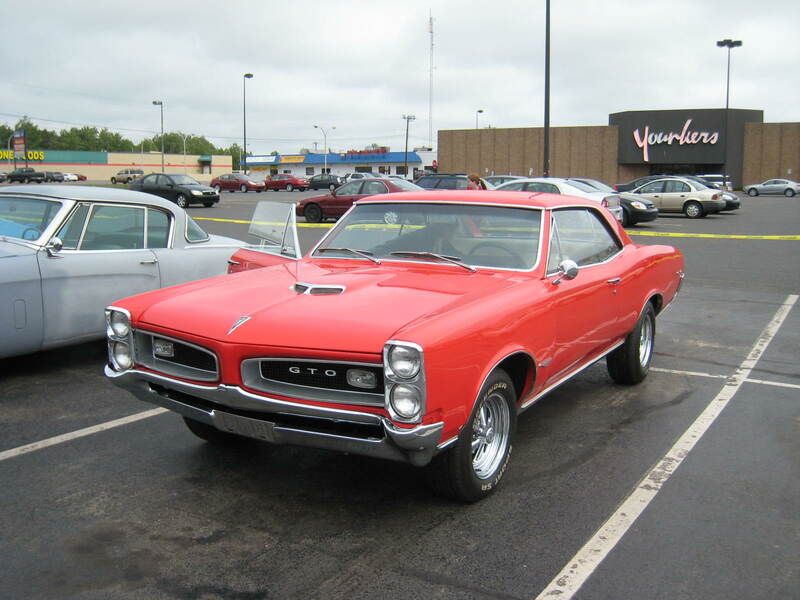 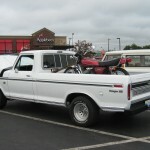 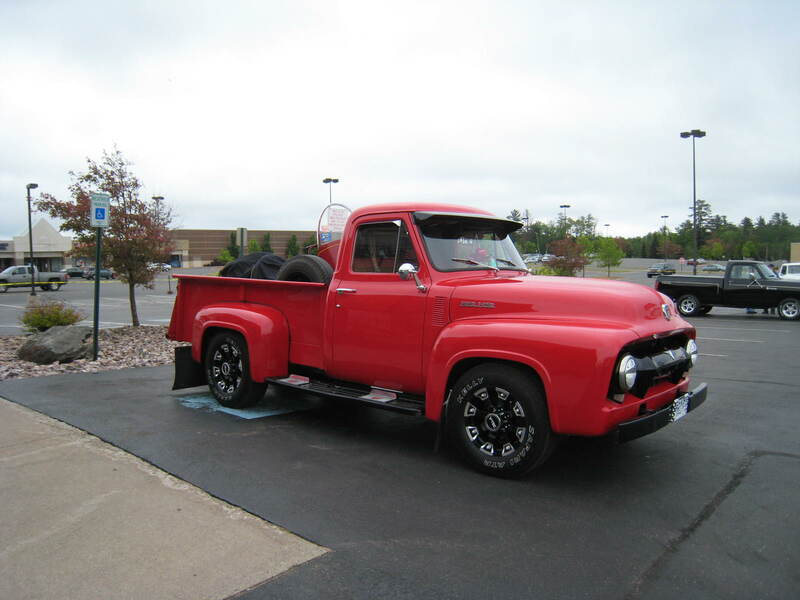 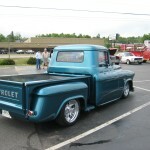 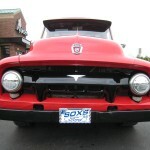 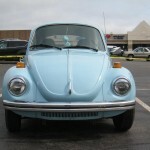 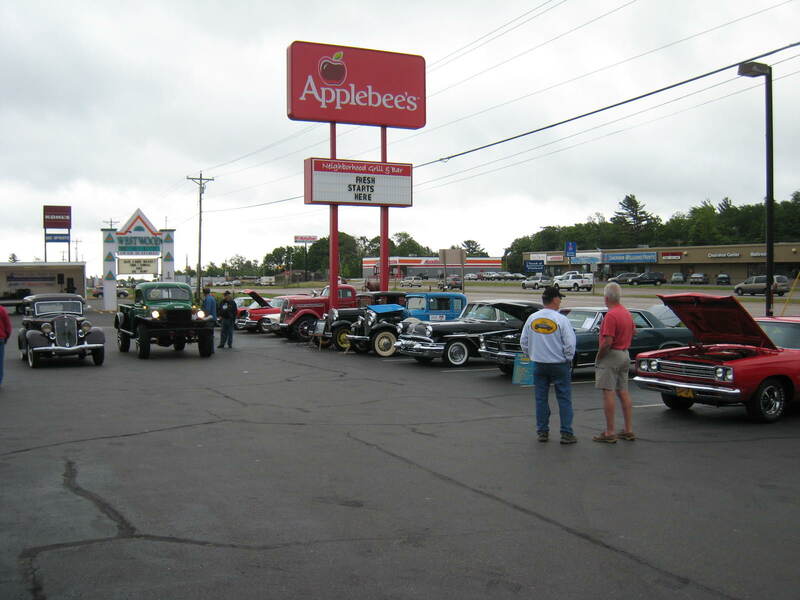 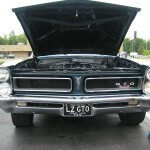 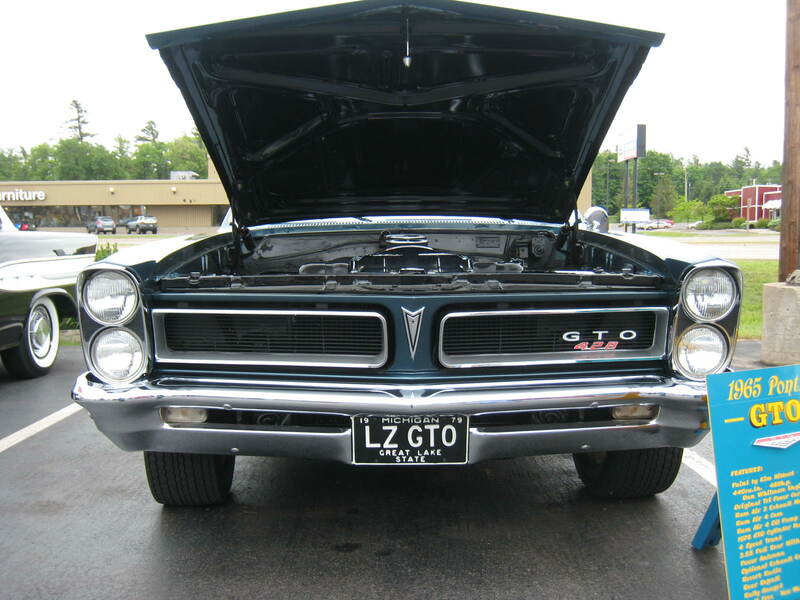 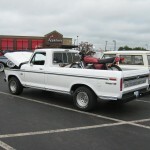 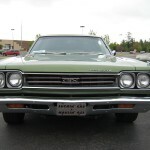 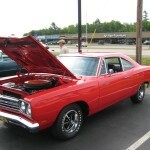 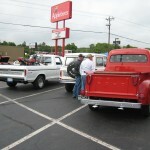 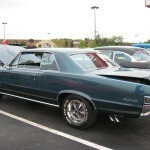 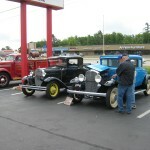 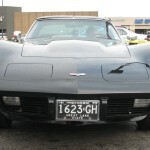 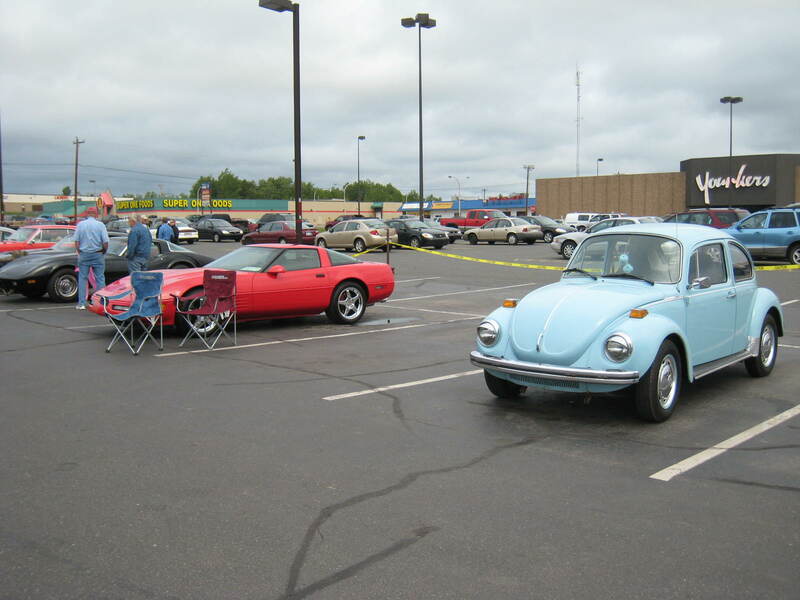 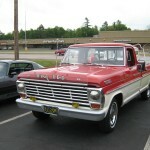 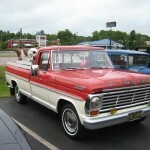 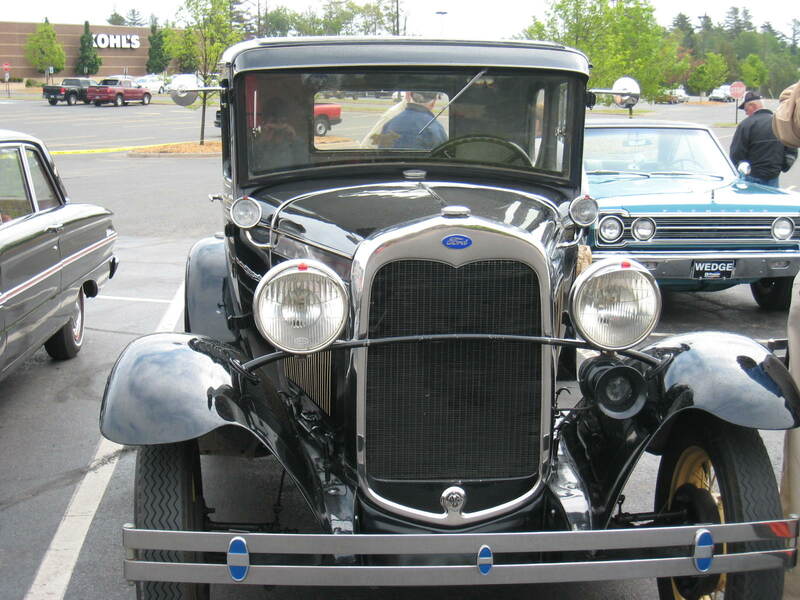 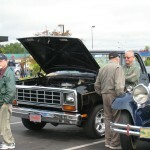 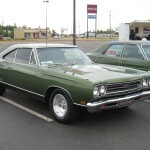 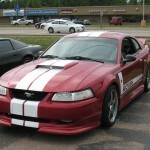 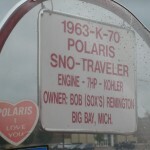 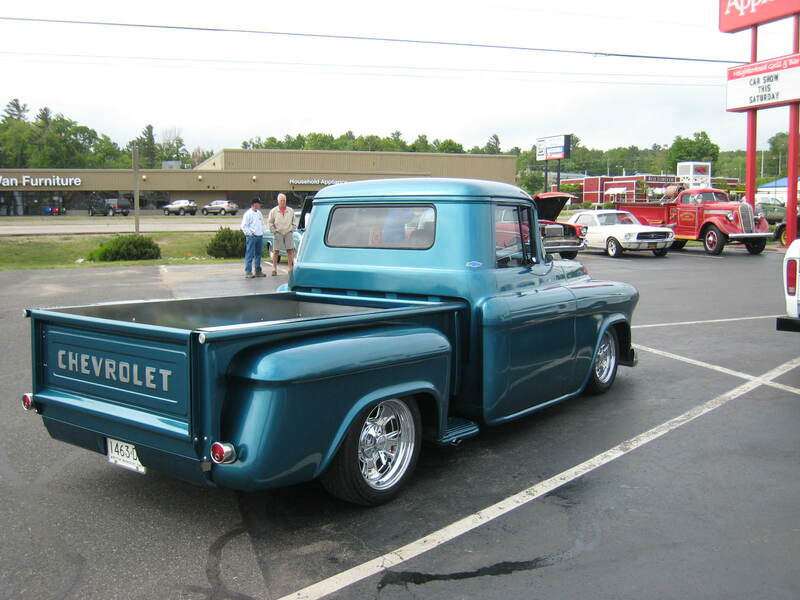 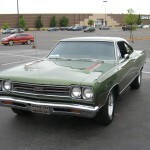 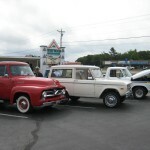 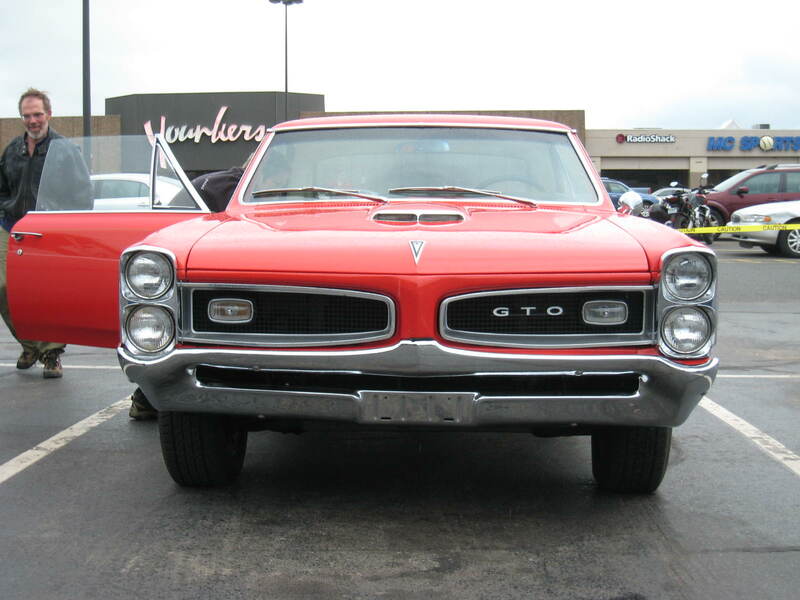 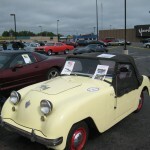 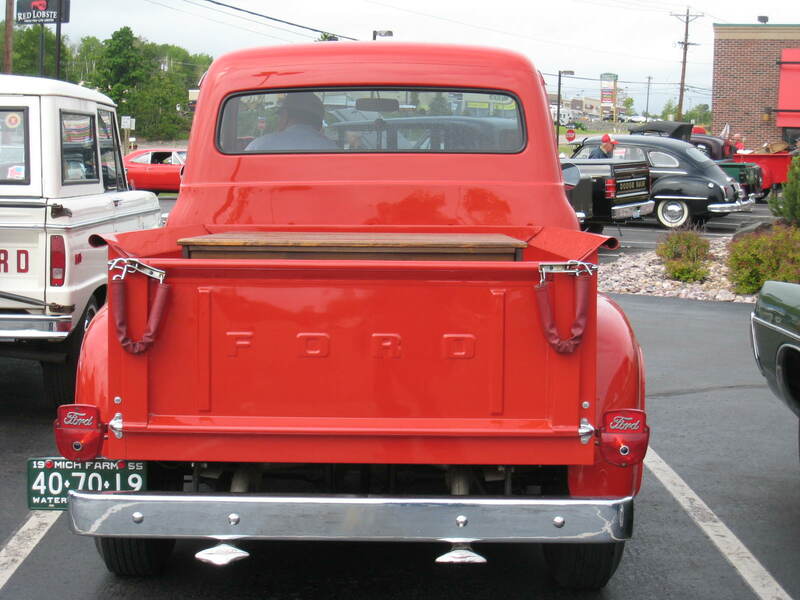 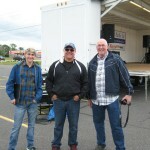 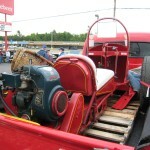 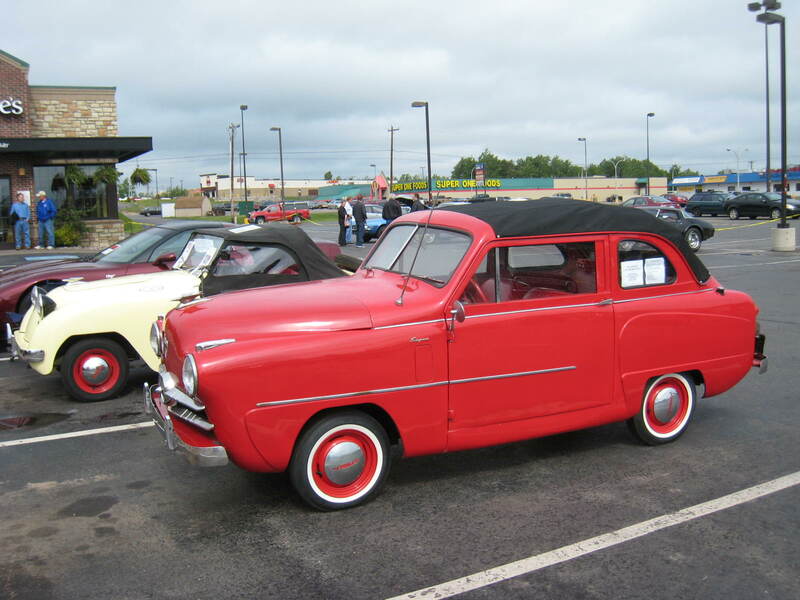 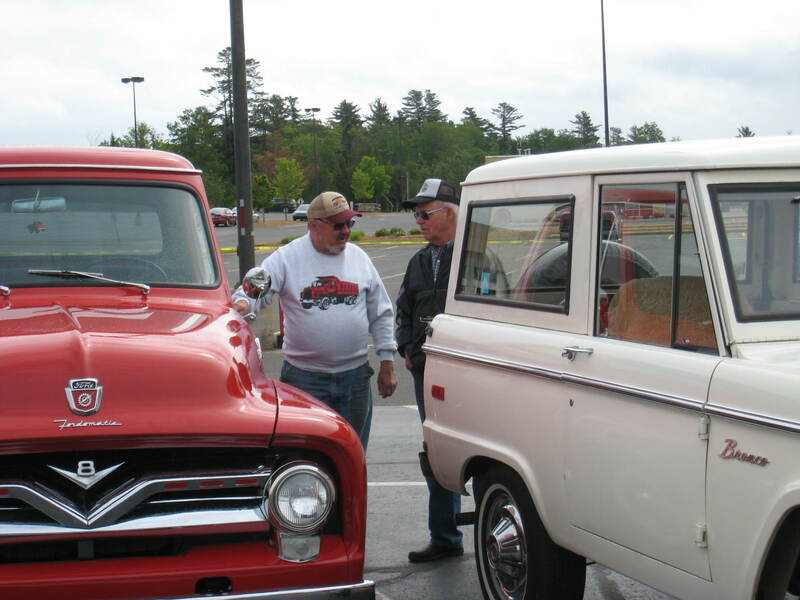 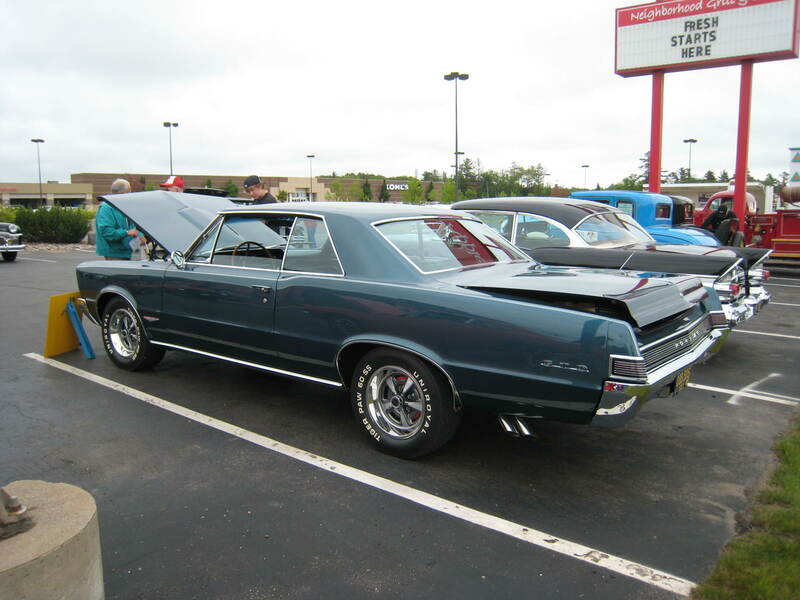 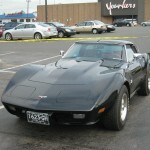 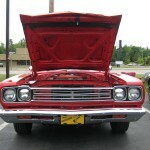 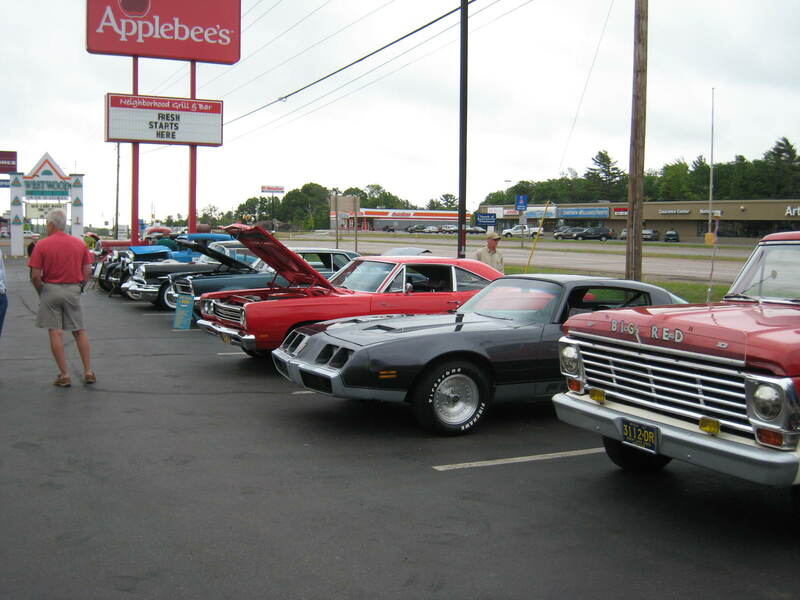 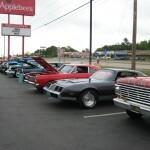 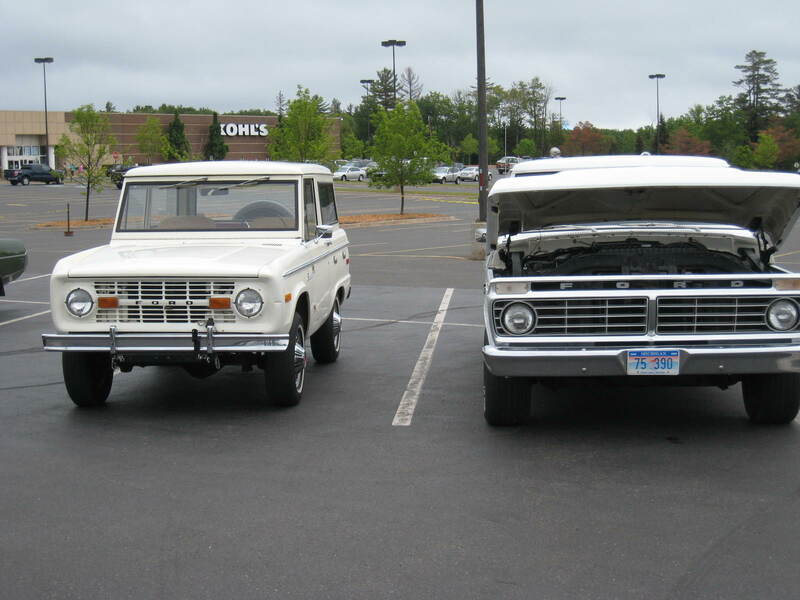 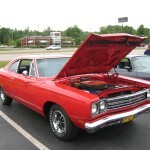 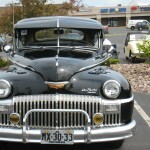 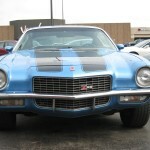 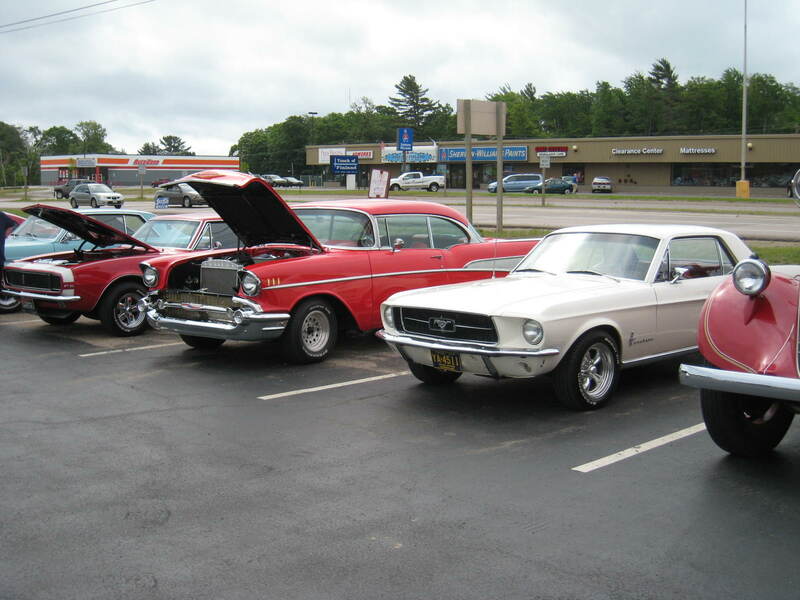 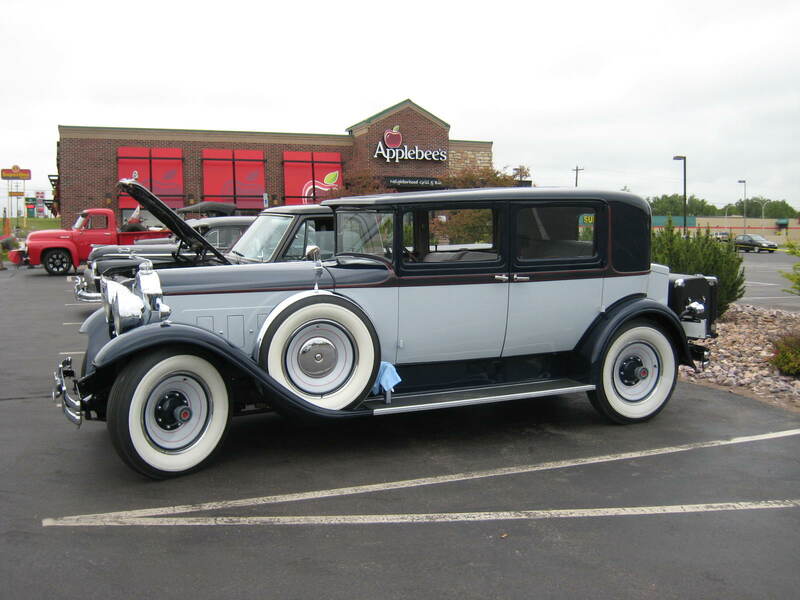 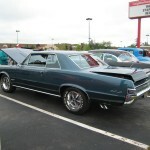 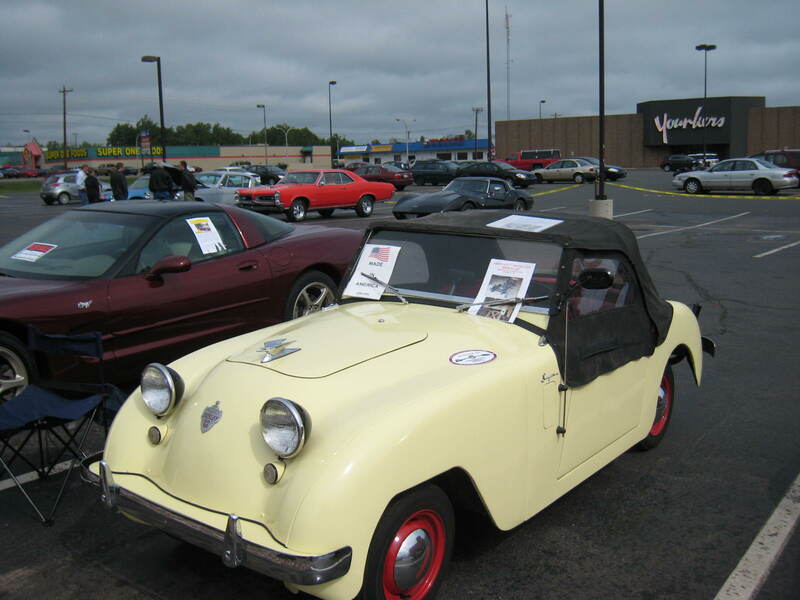 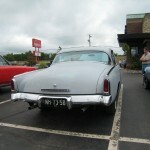 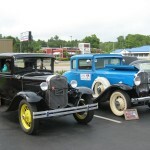 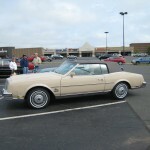 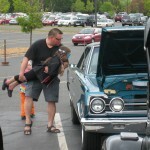 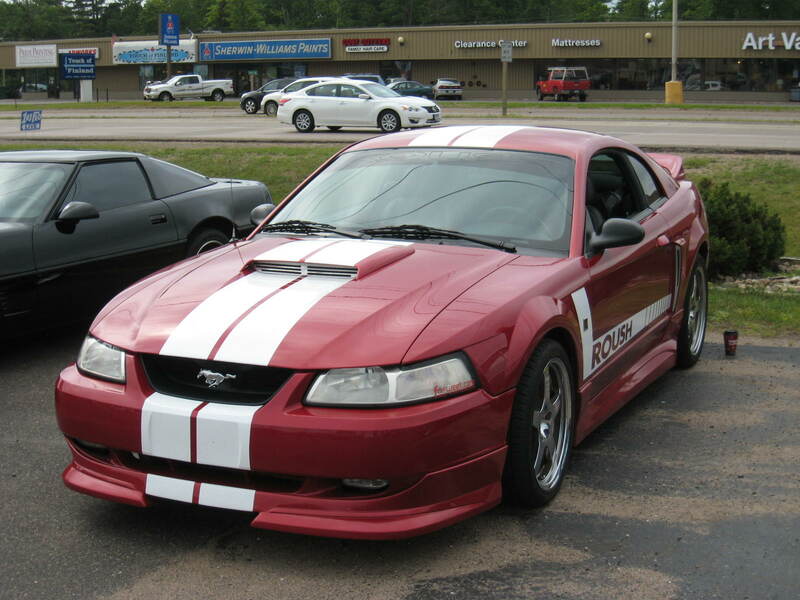 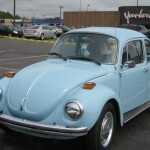 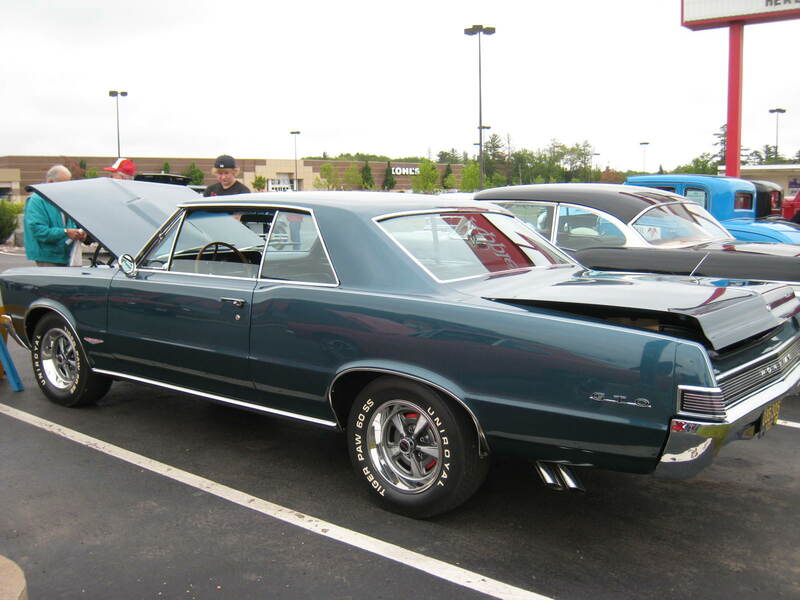 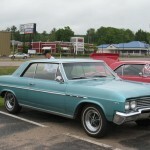 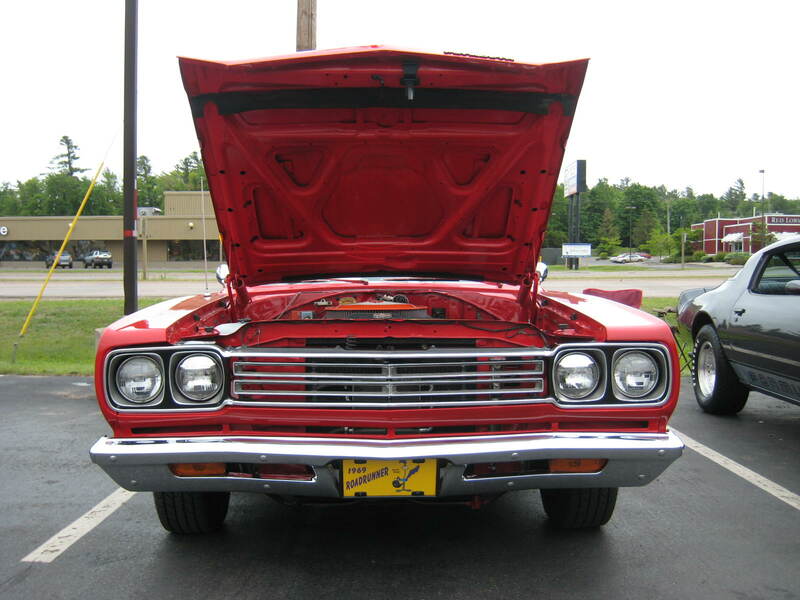 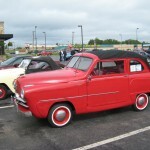 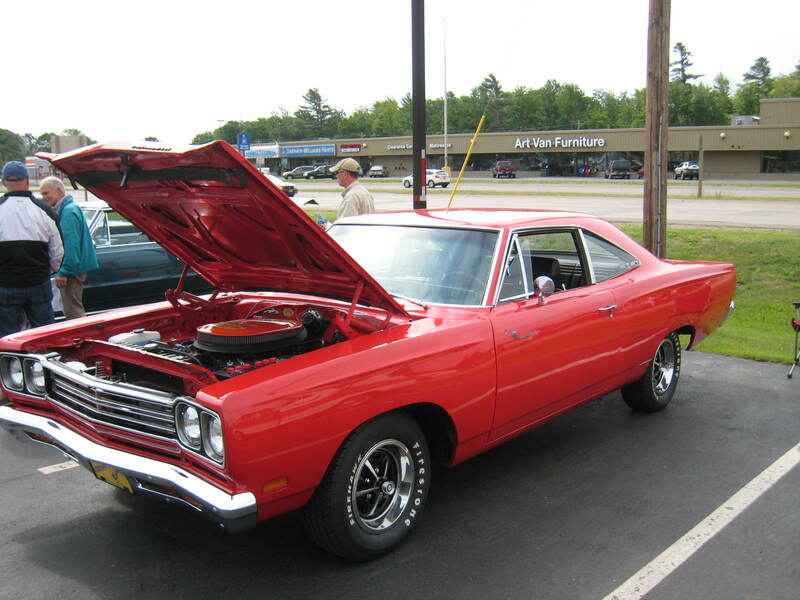 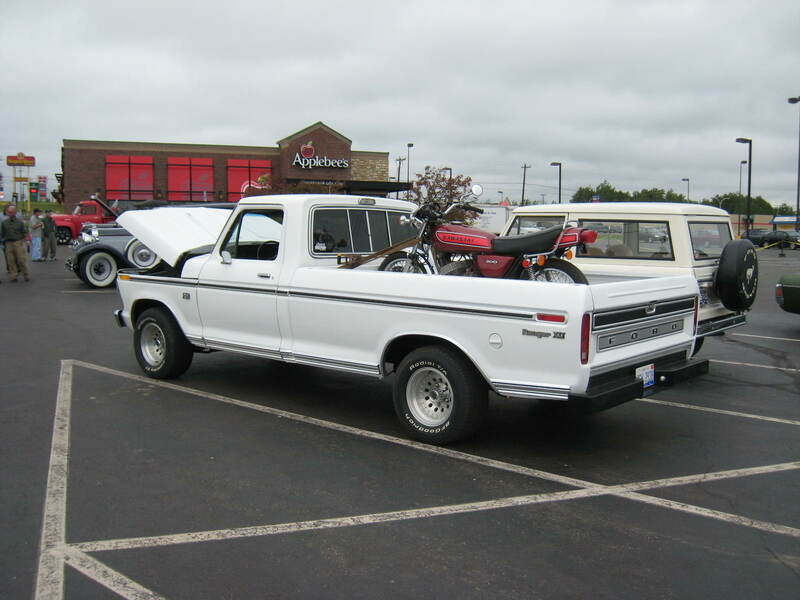 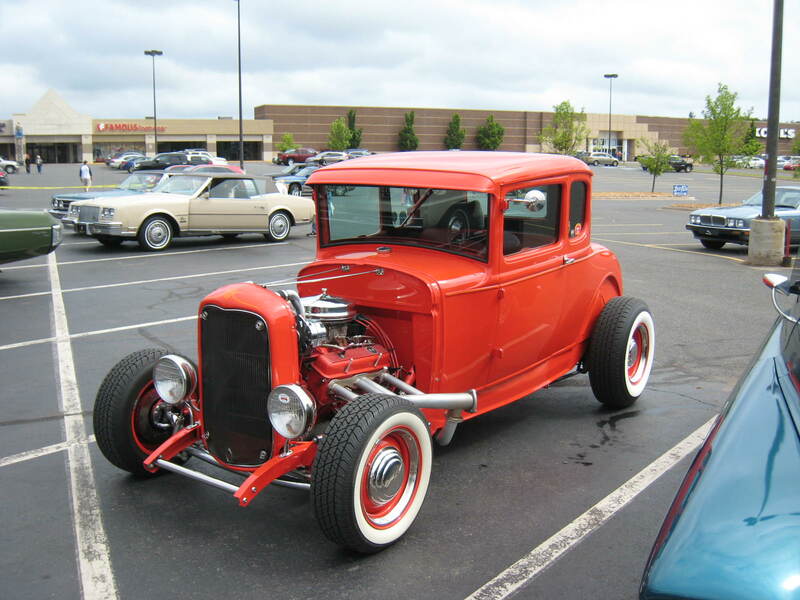 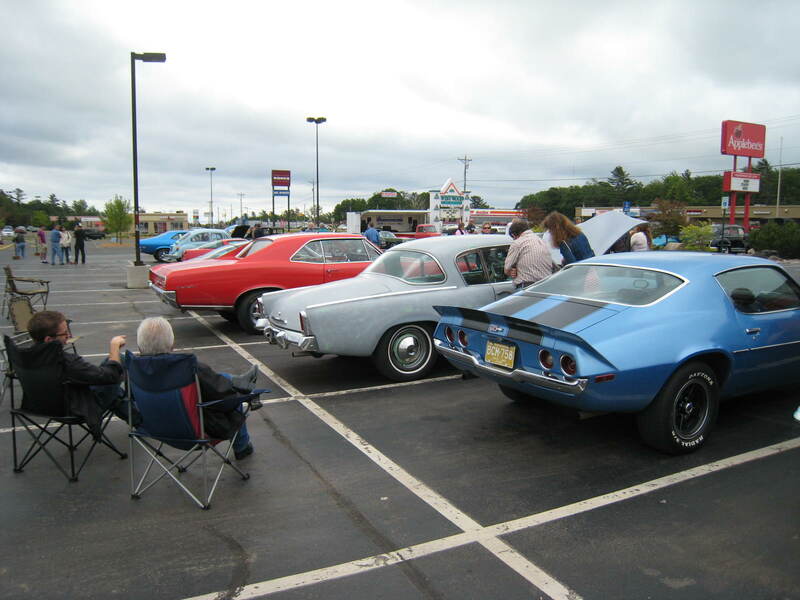 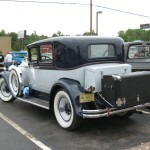 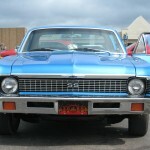 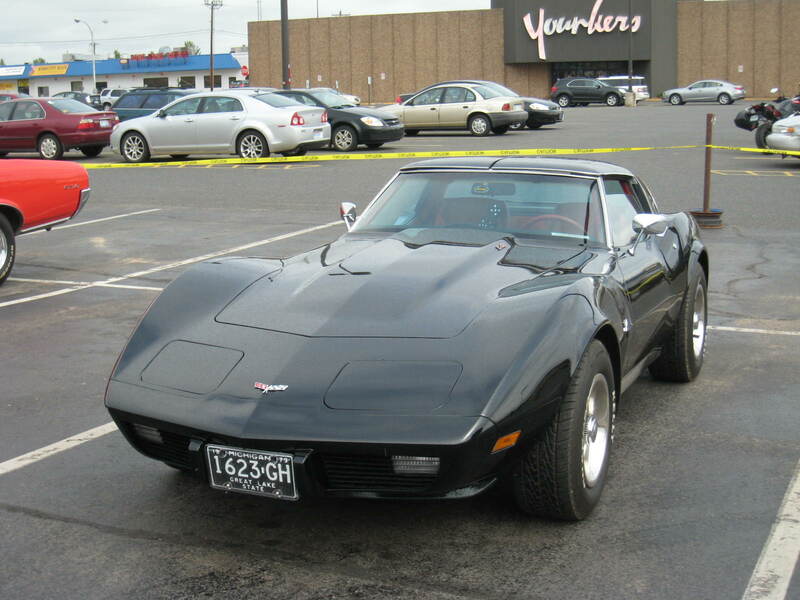 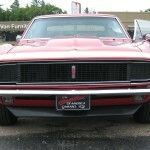 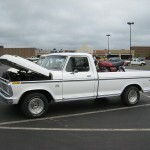 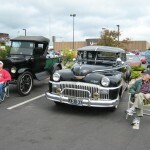 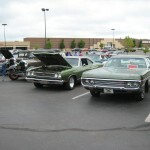 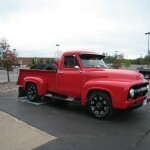 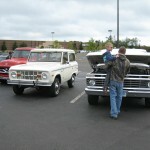 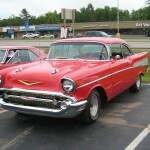 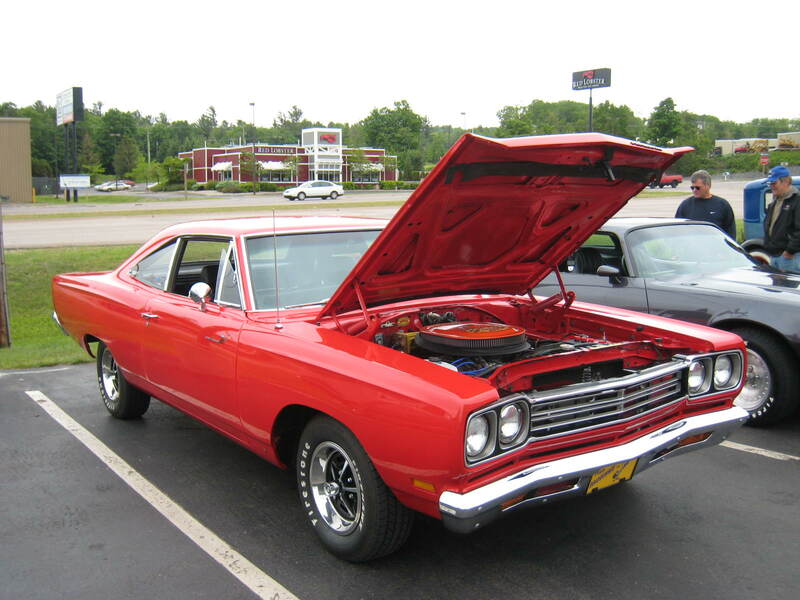 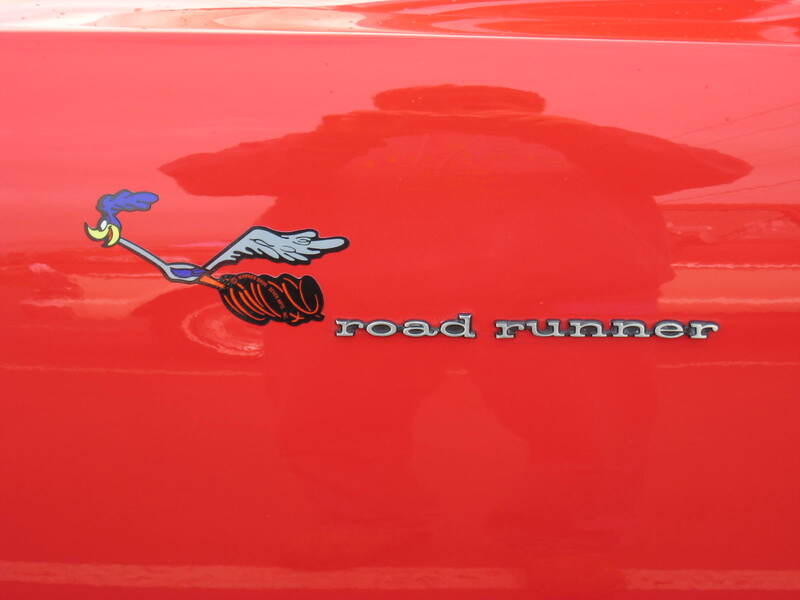 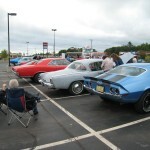 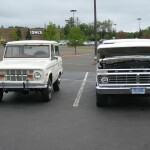 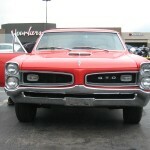 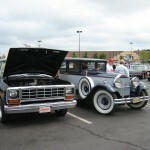 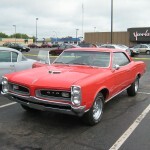 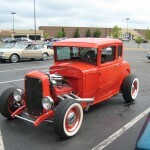 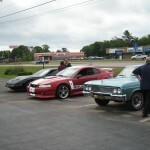 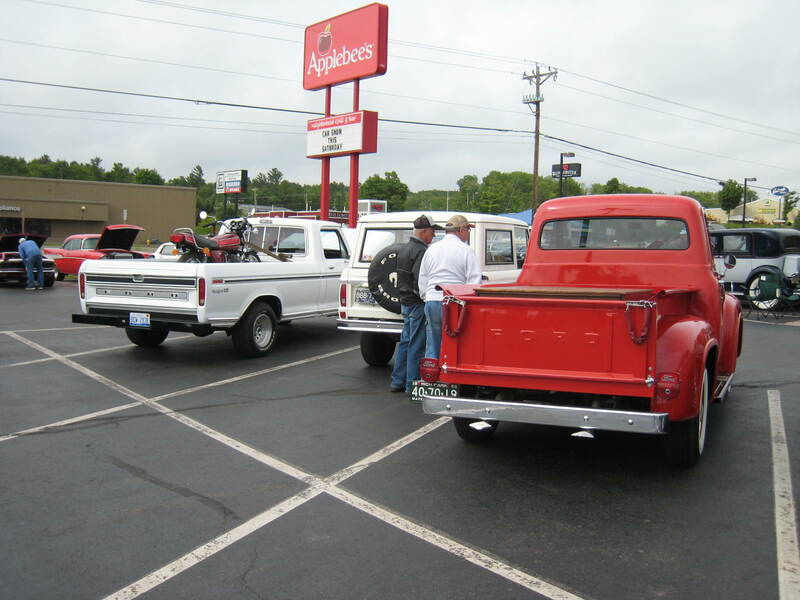 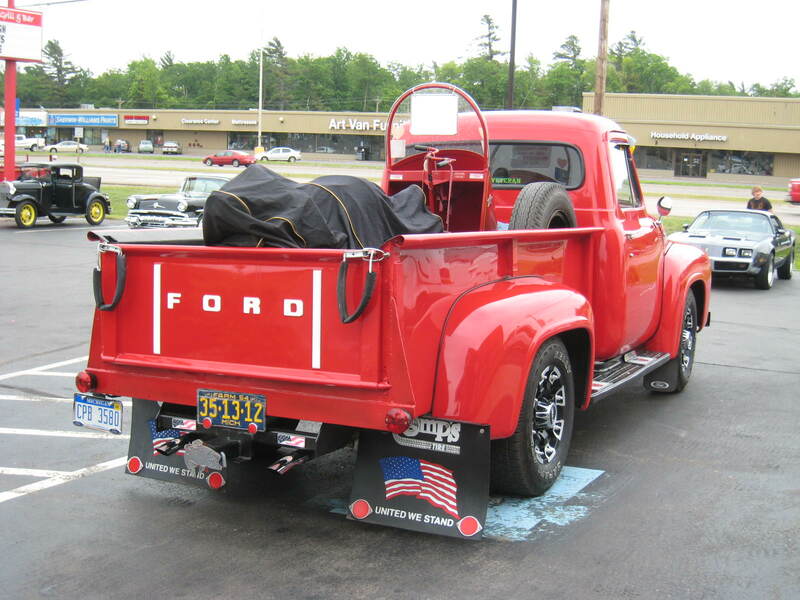 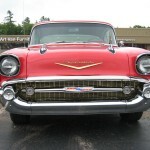 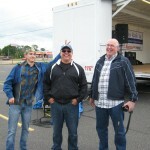 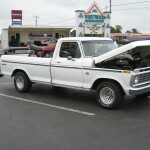 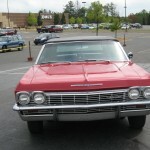 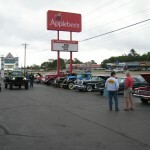 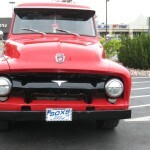 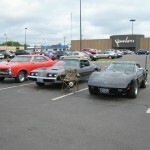 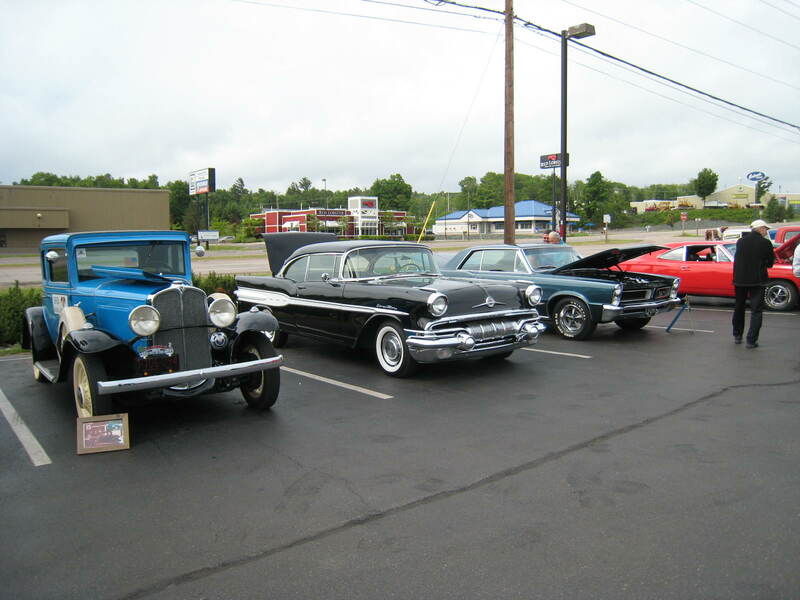 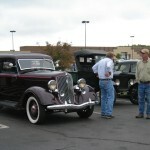 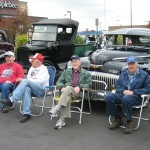 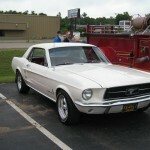 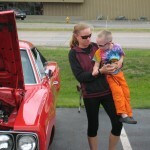 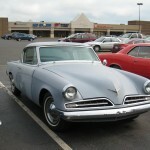 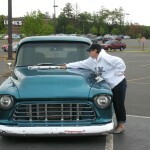 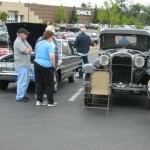 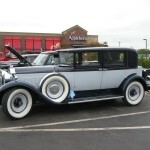 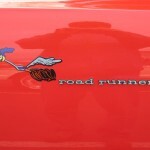 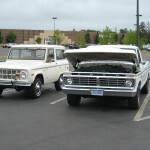 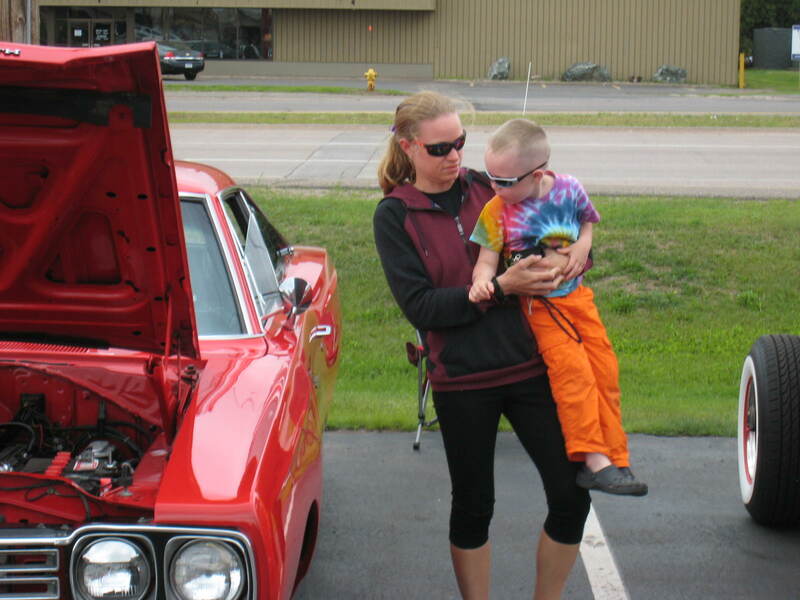 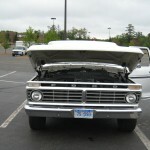 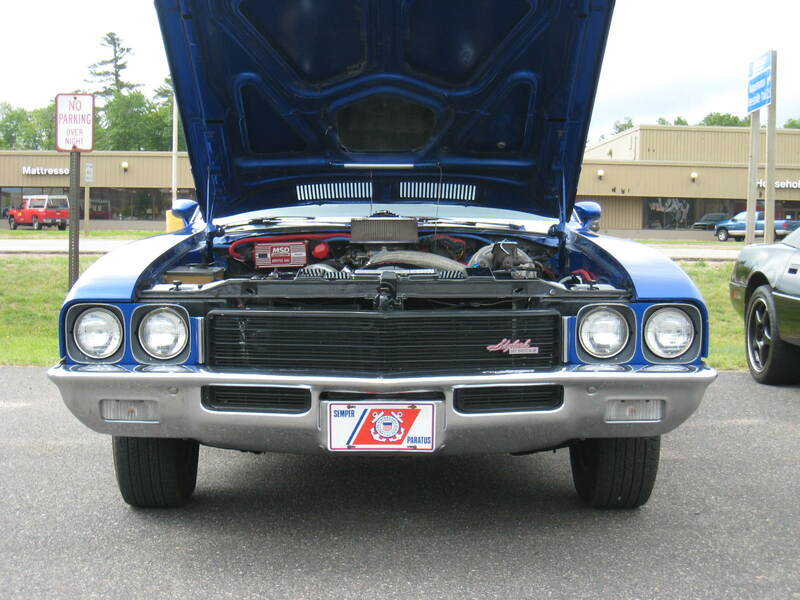 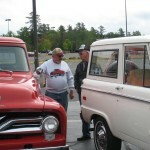 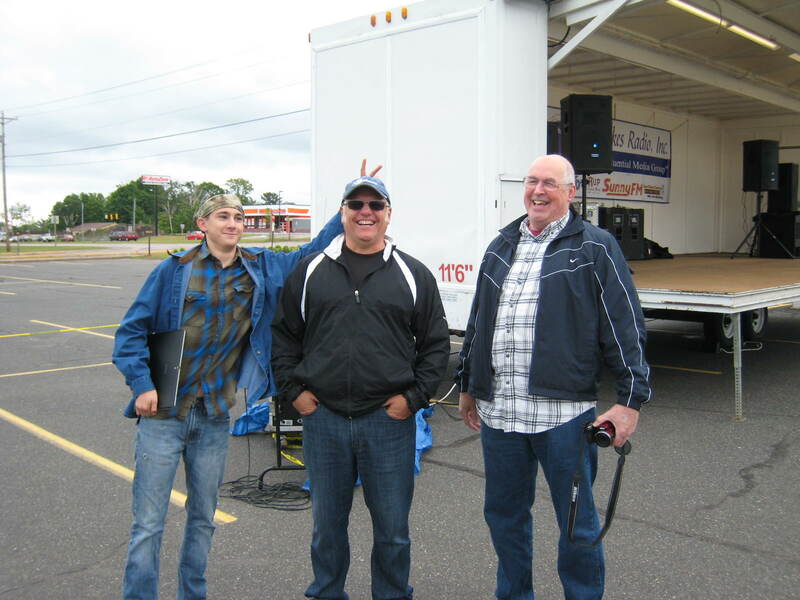 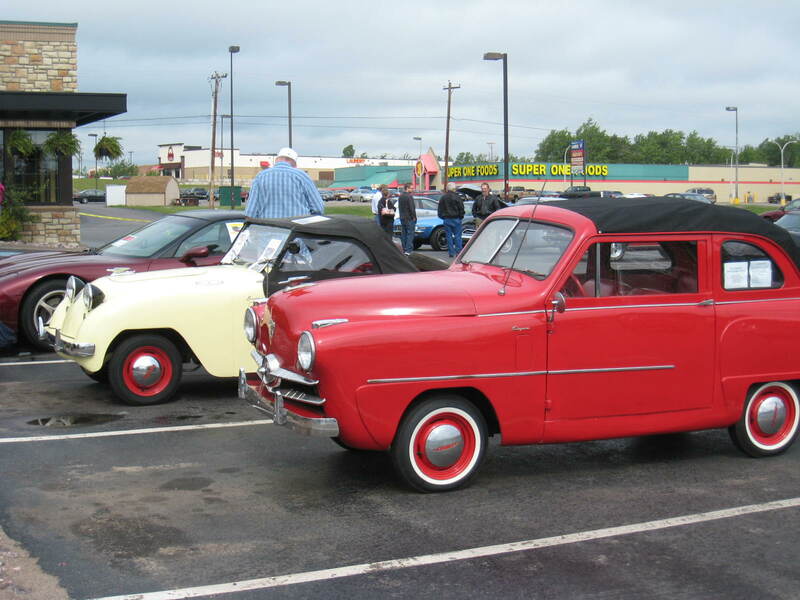 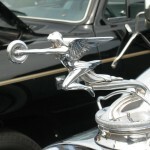 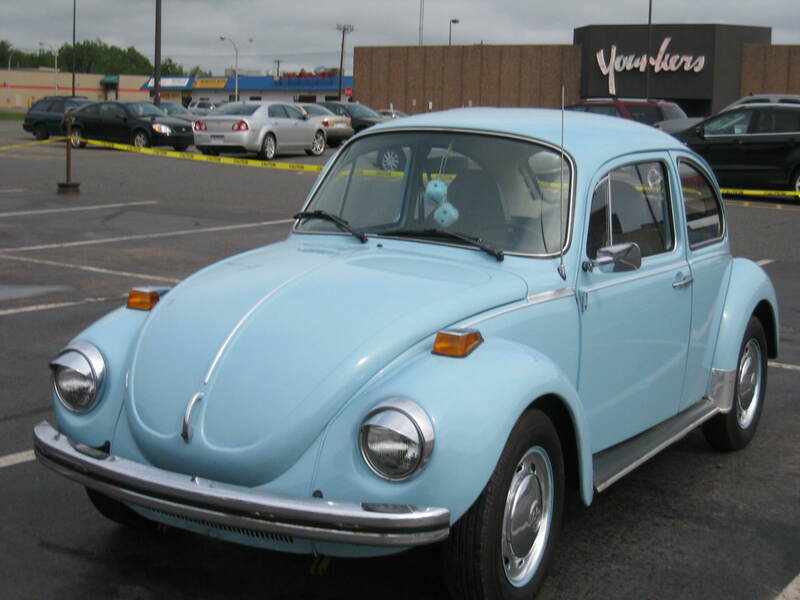 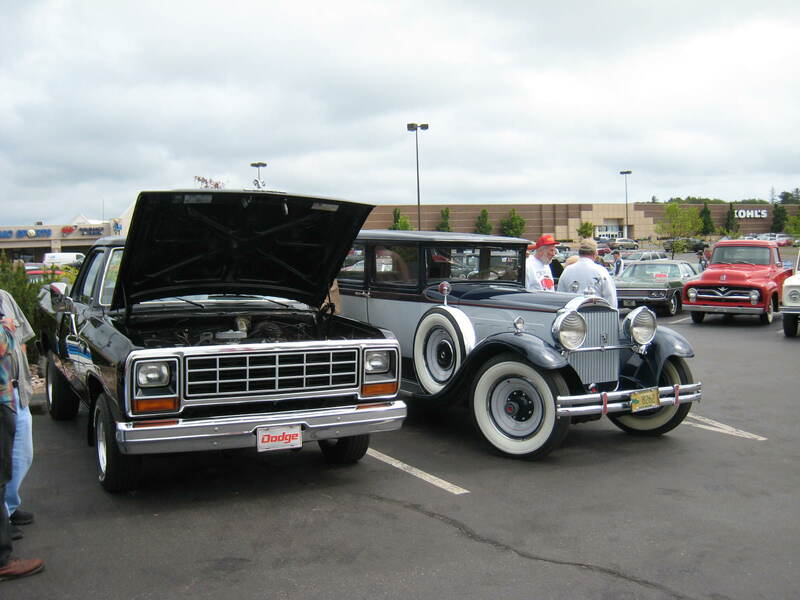 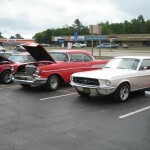 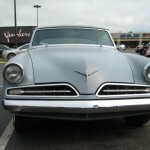 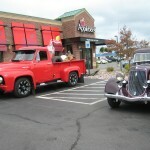 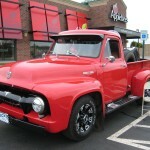 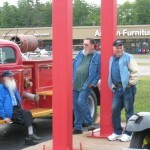 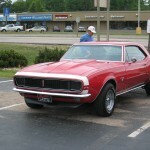 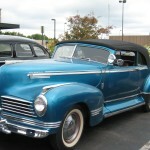 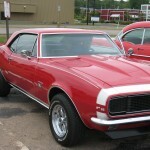 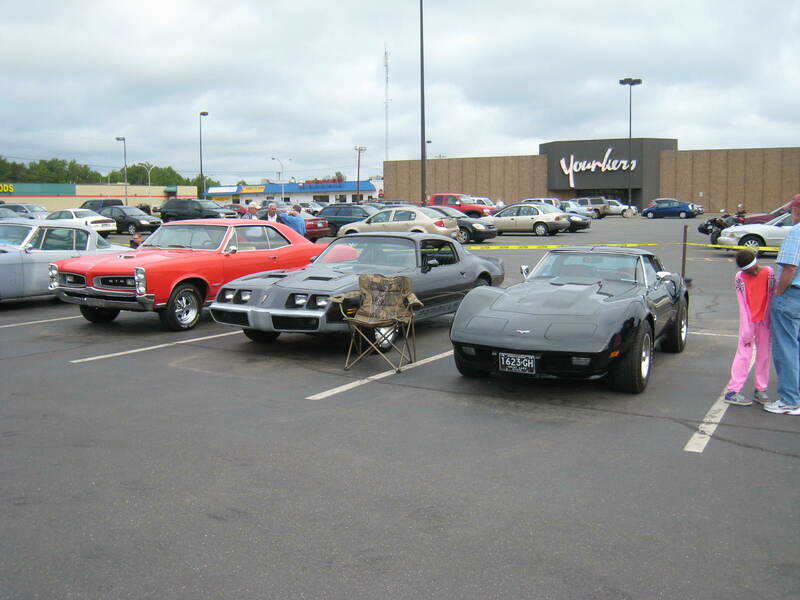 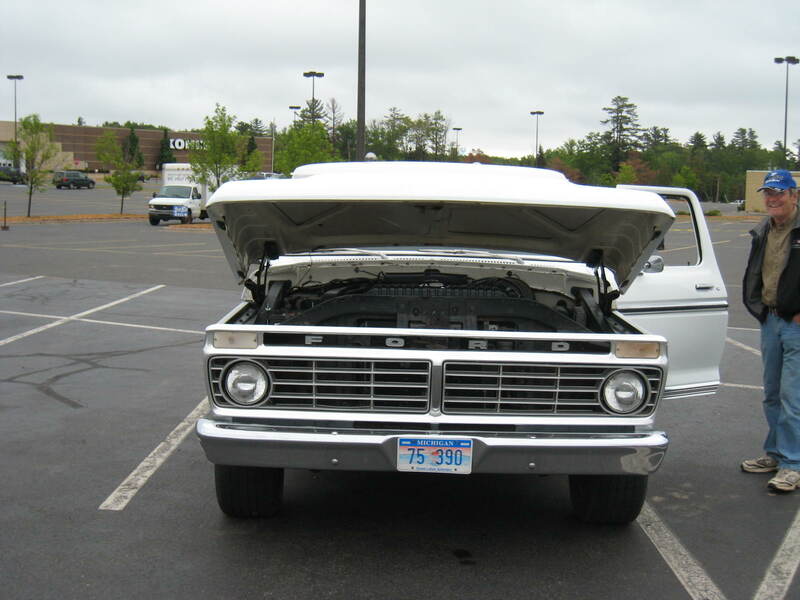 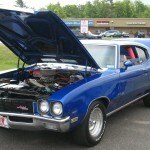 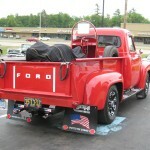 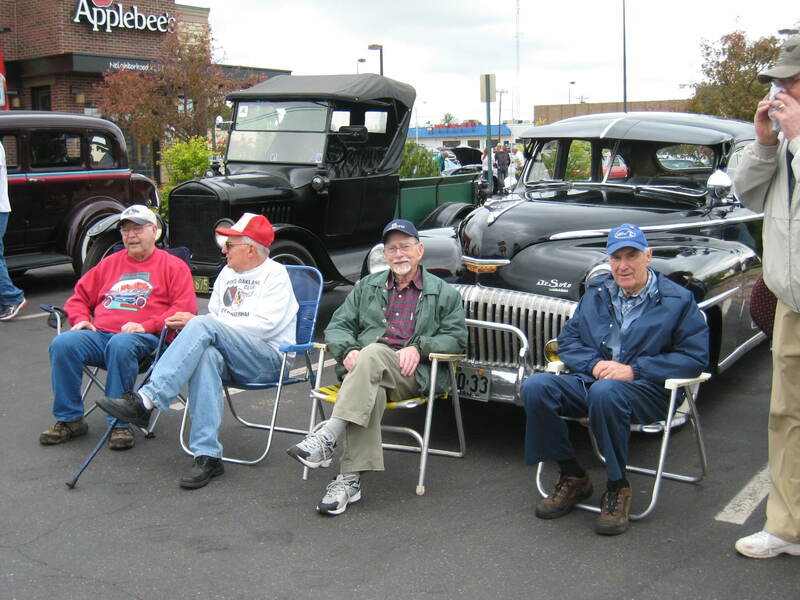 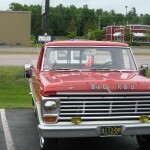 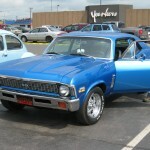 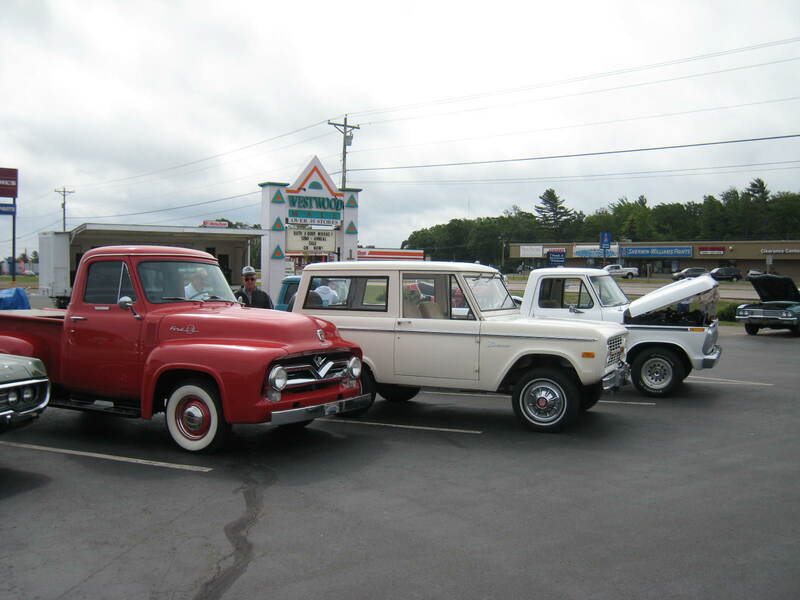 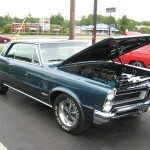 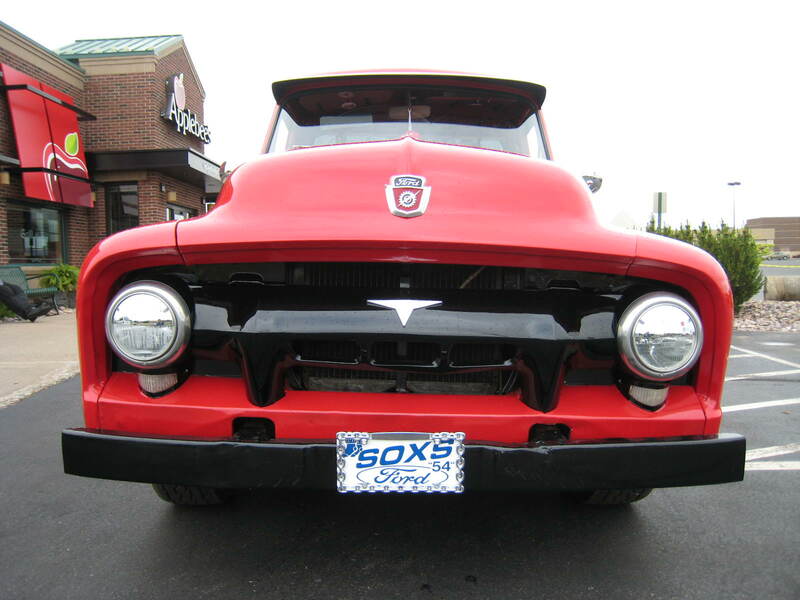 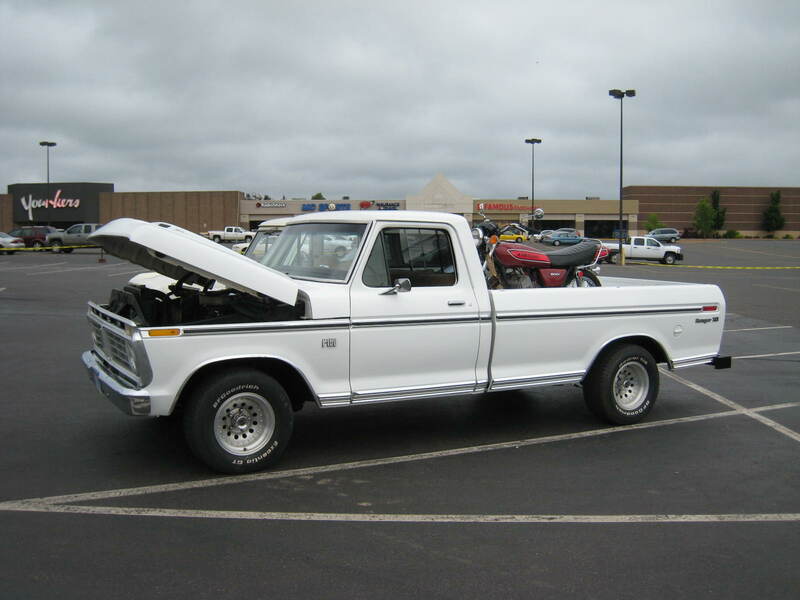 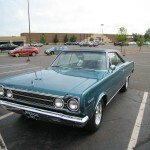 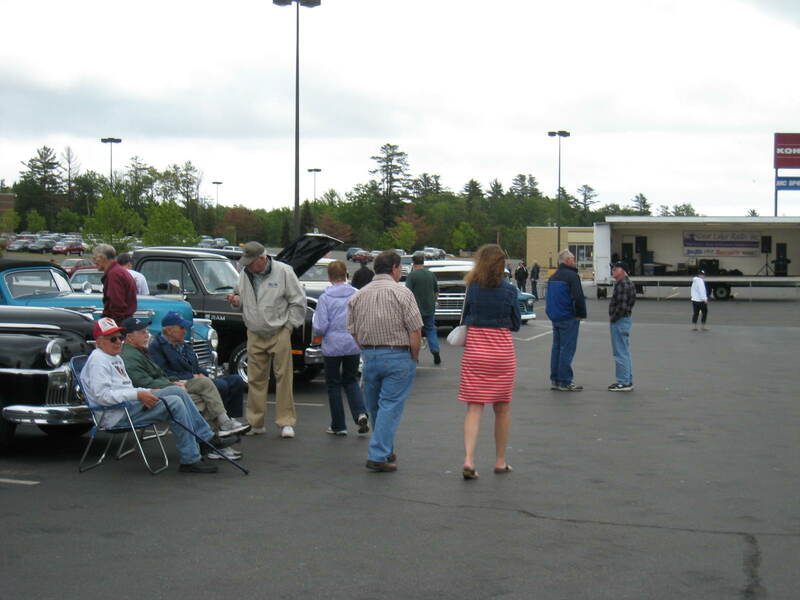 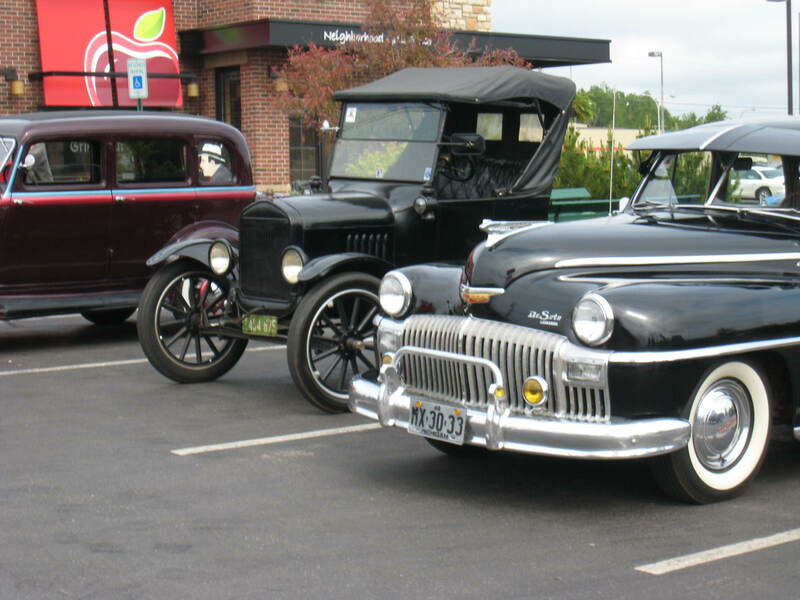 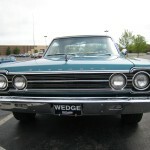 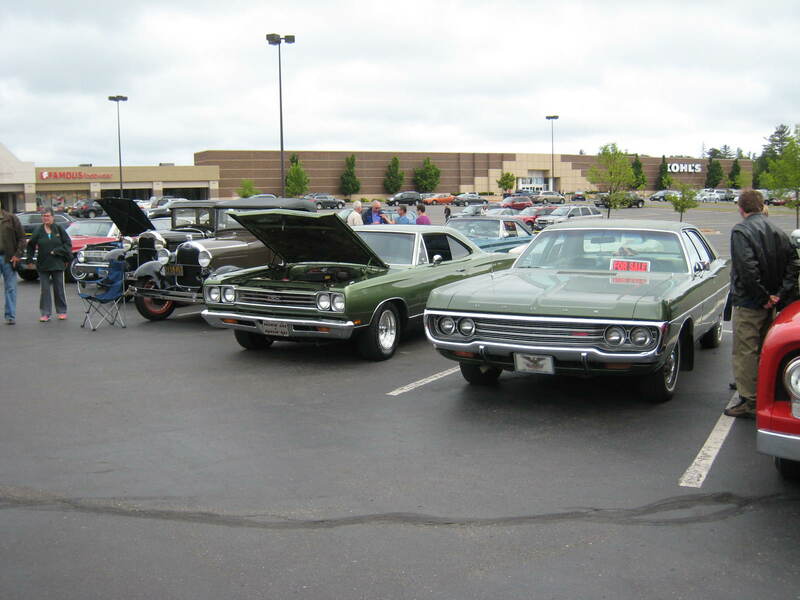 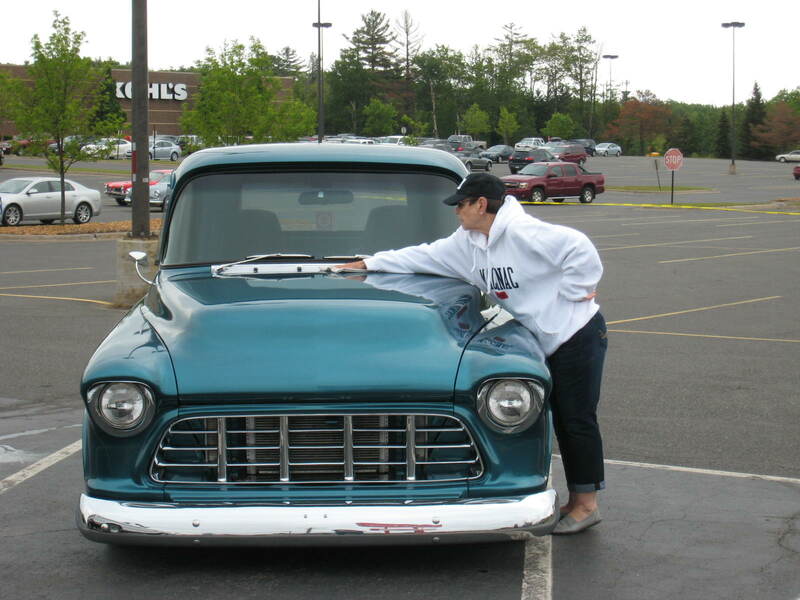 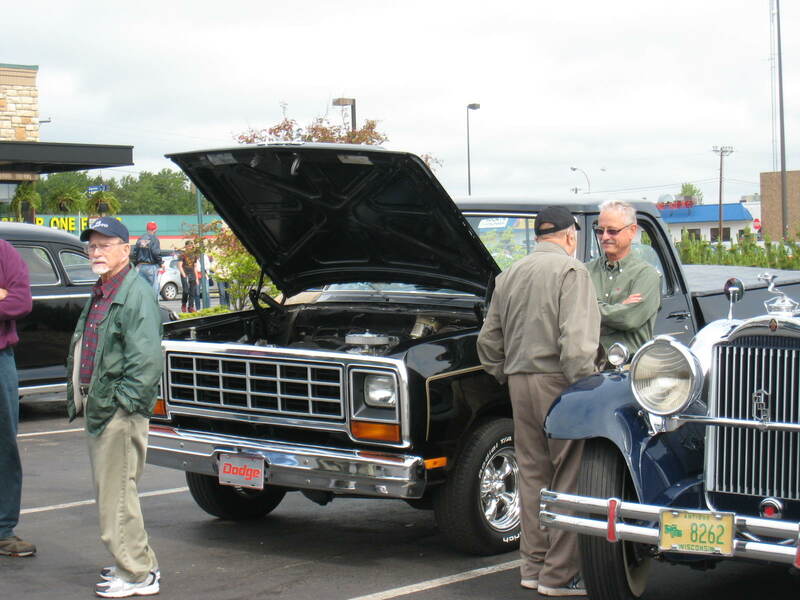 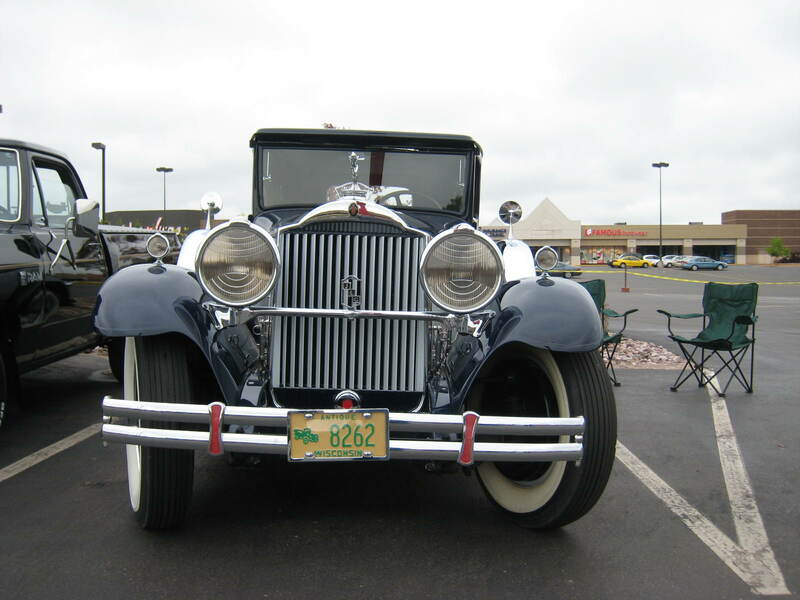 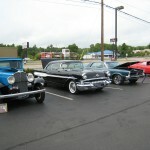 Take a look at all the pictures below that were taken during the Car Show & Cruise at Applebee’s in Marquette Township!